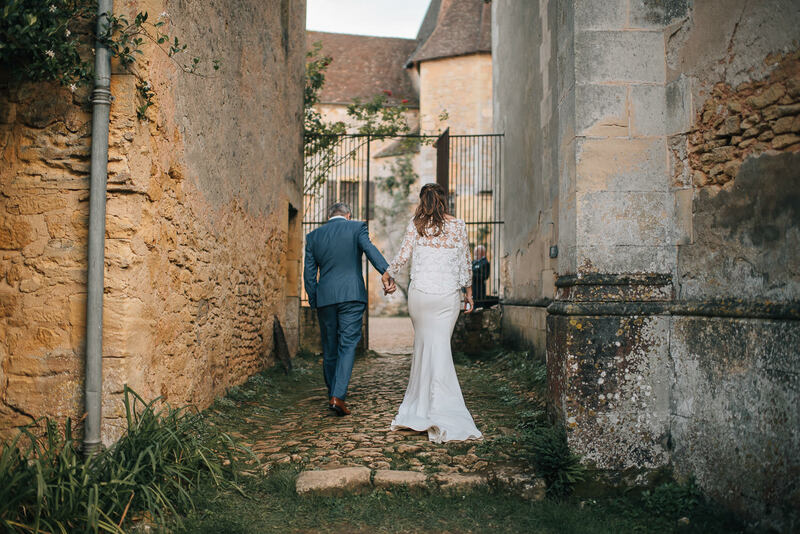 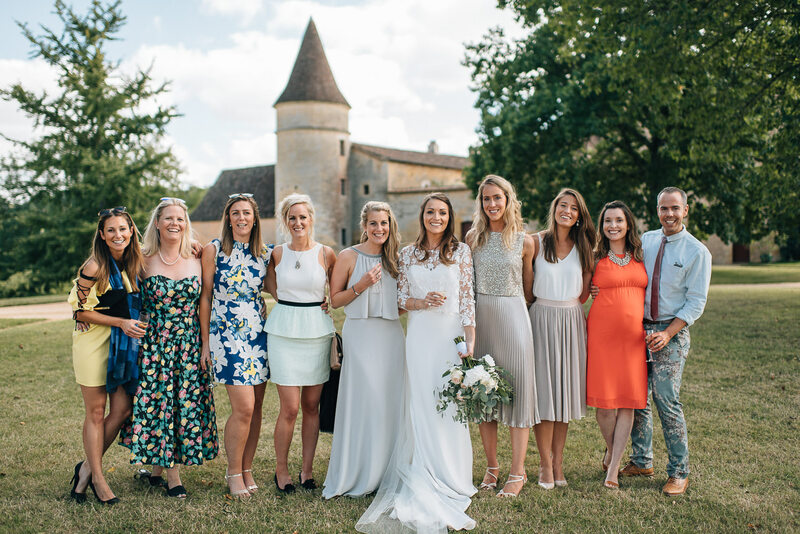 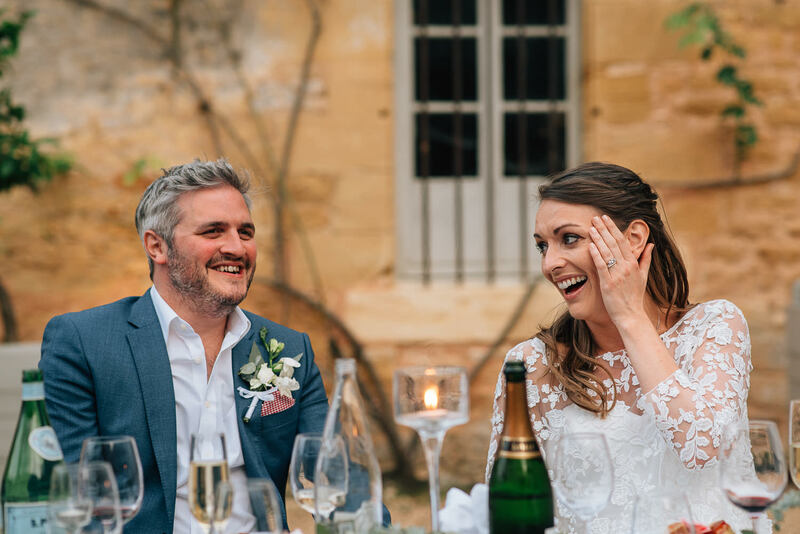 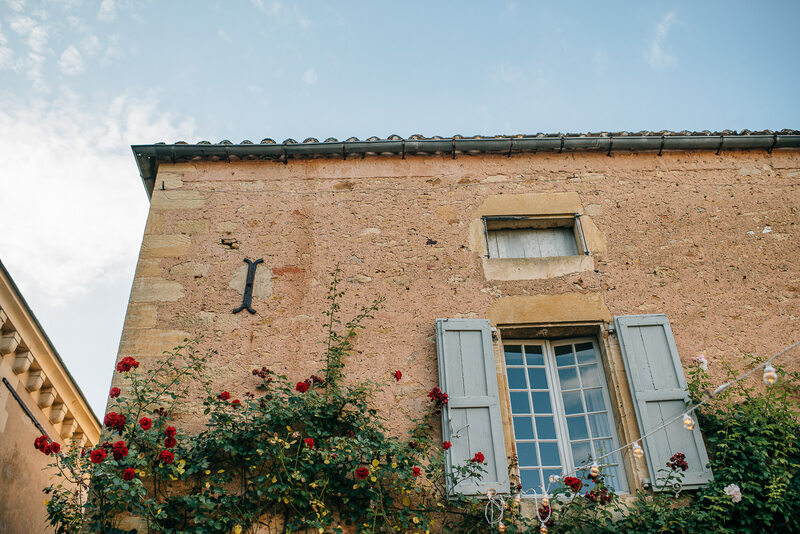 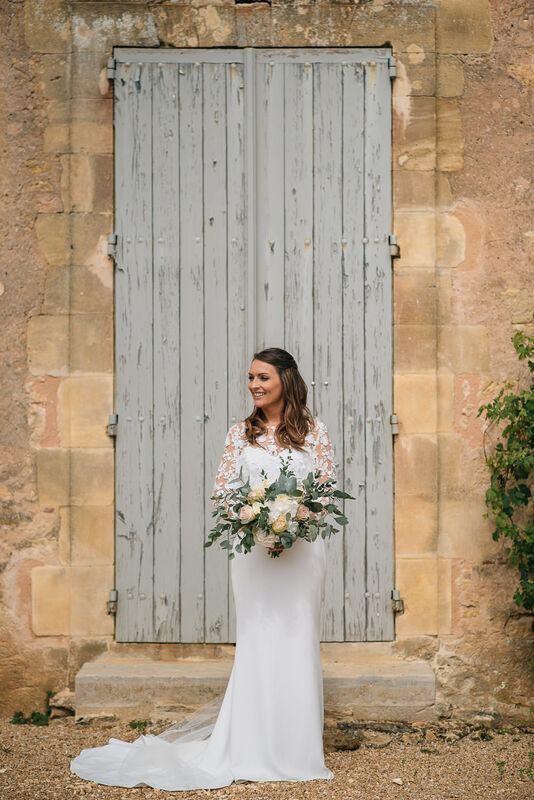 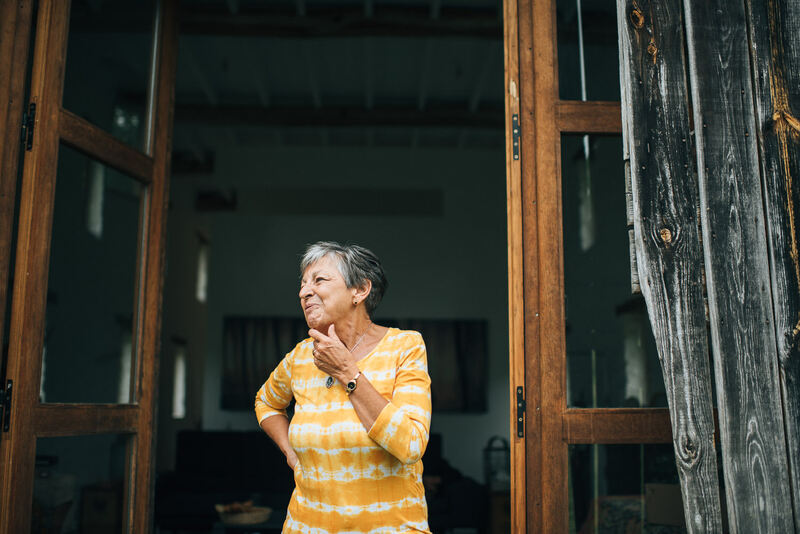 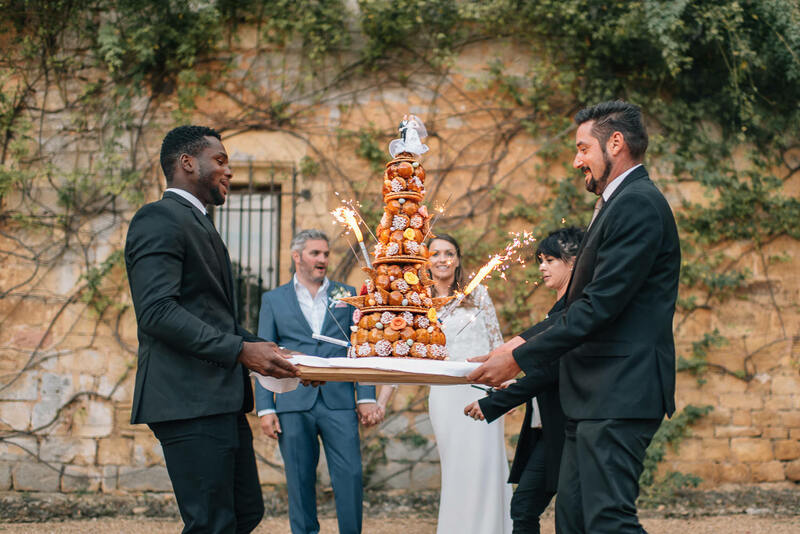 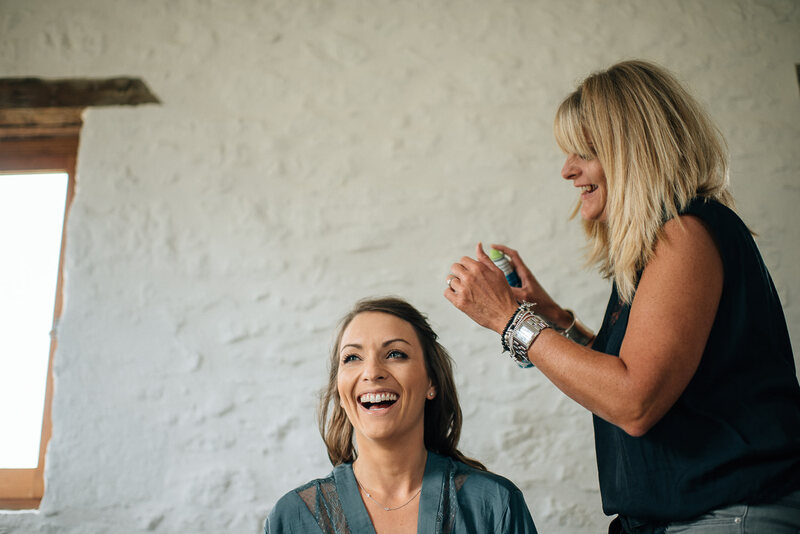 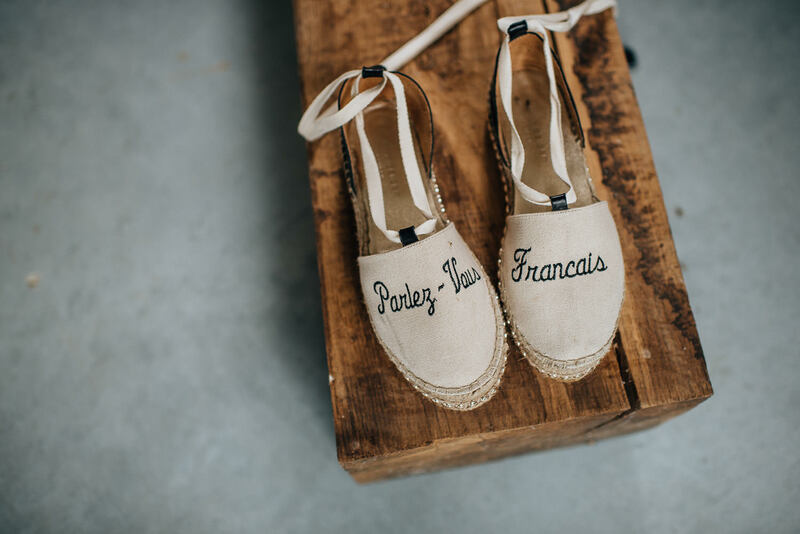 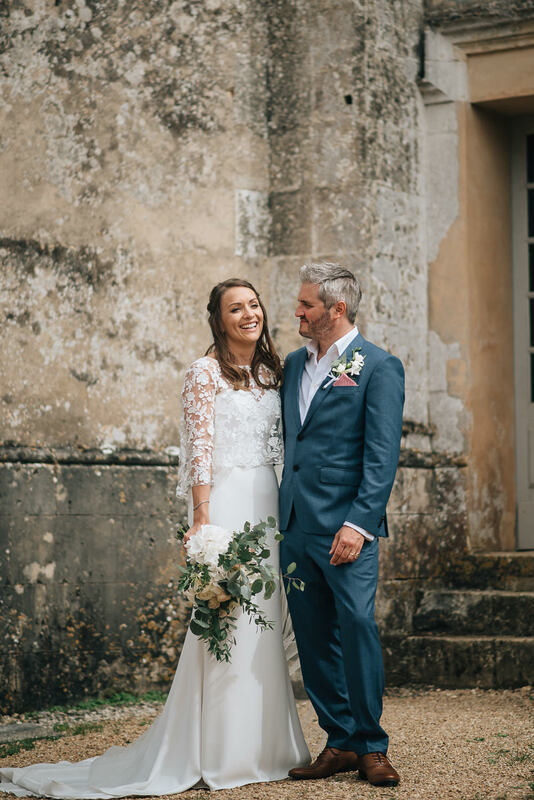 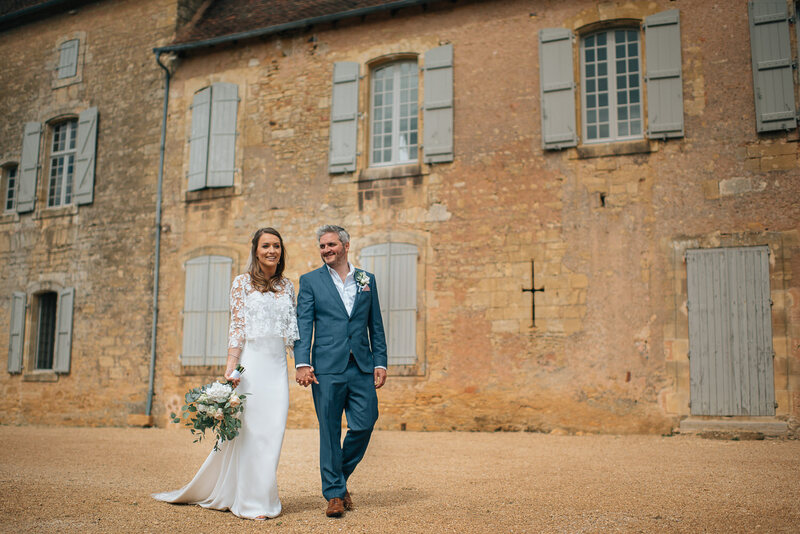 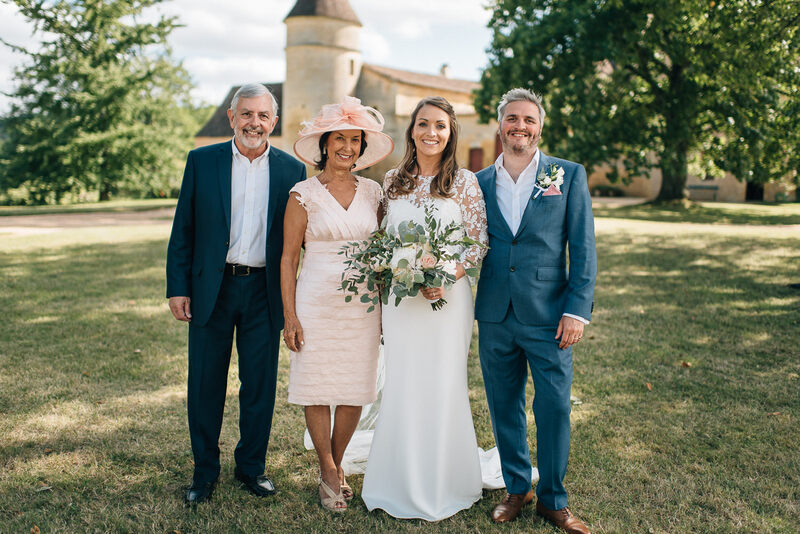 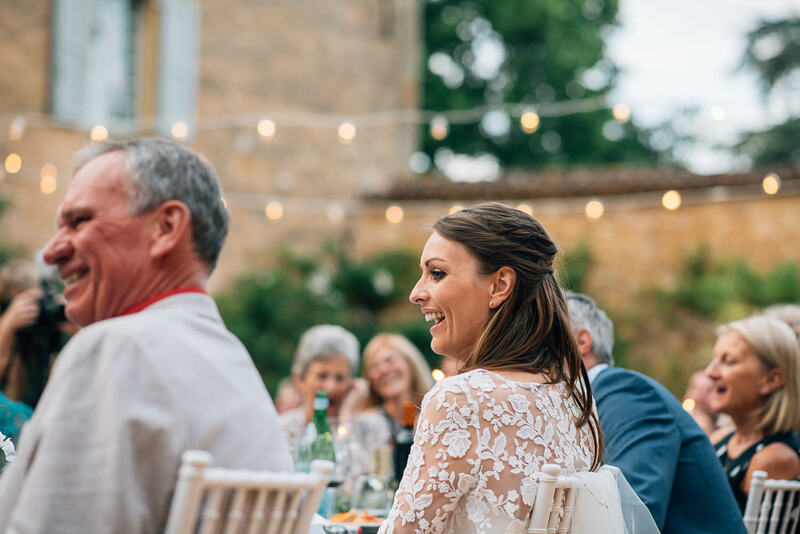 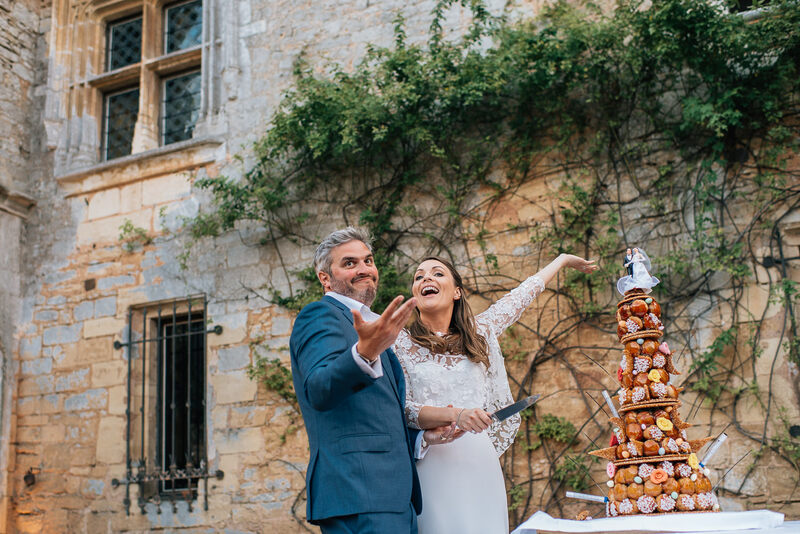 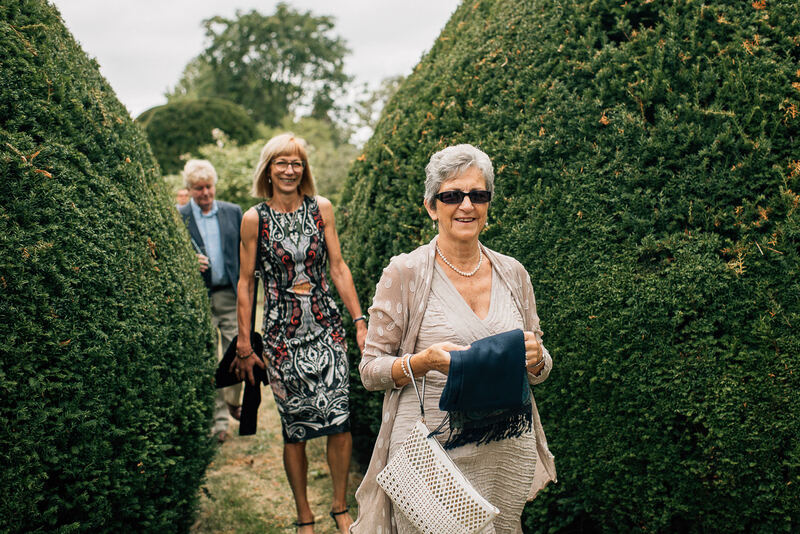 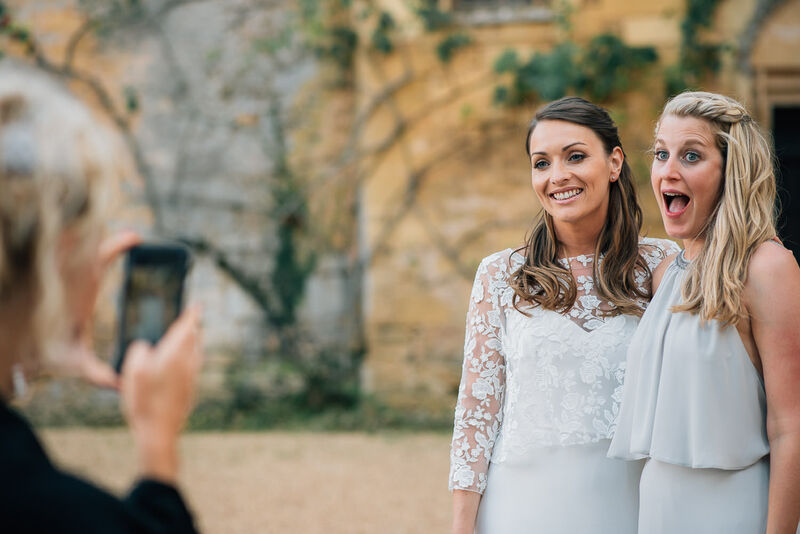 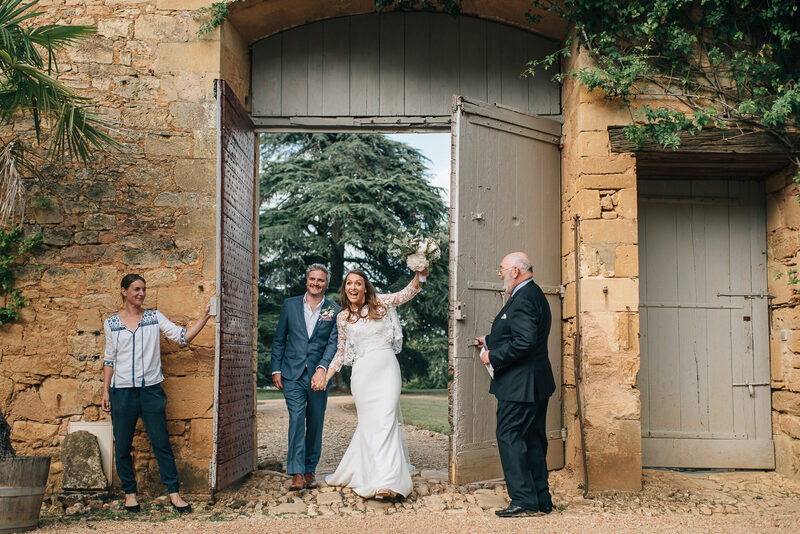 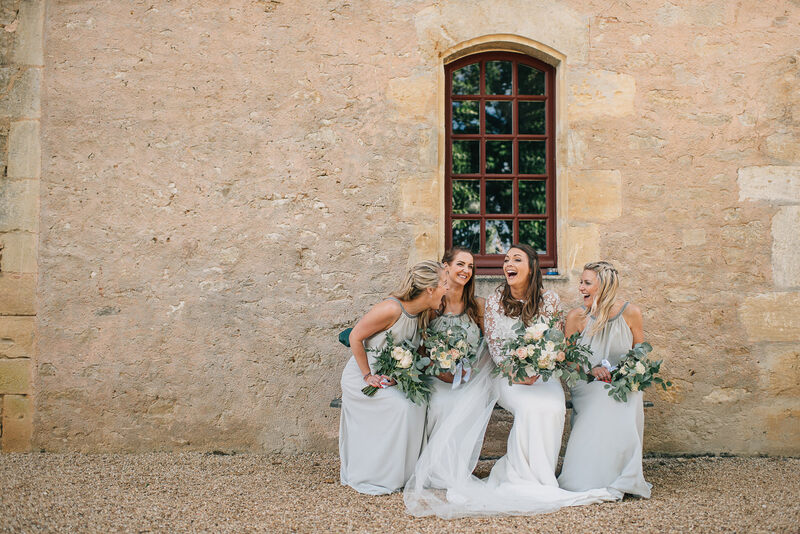 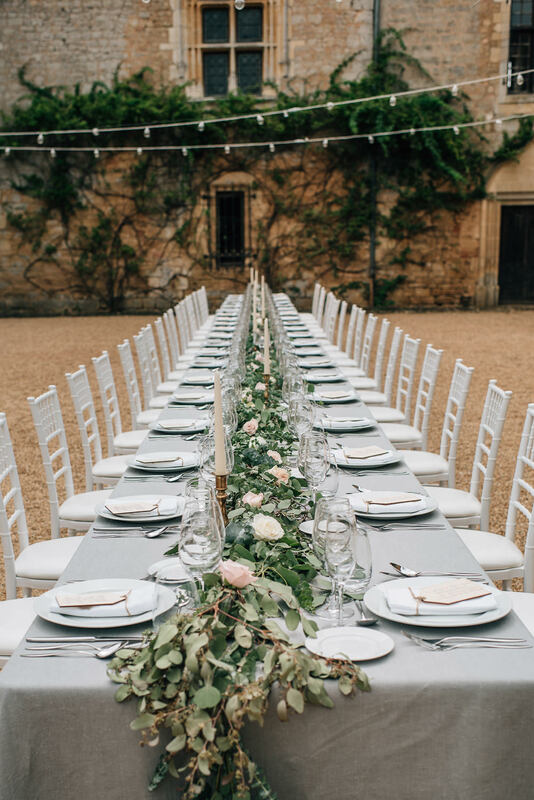 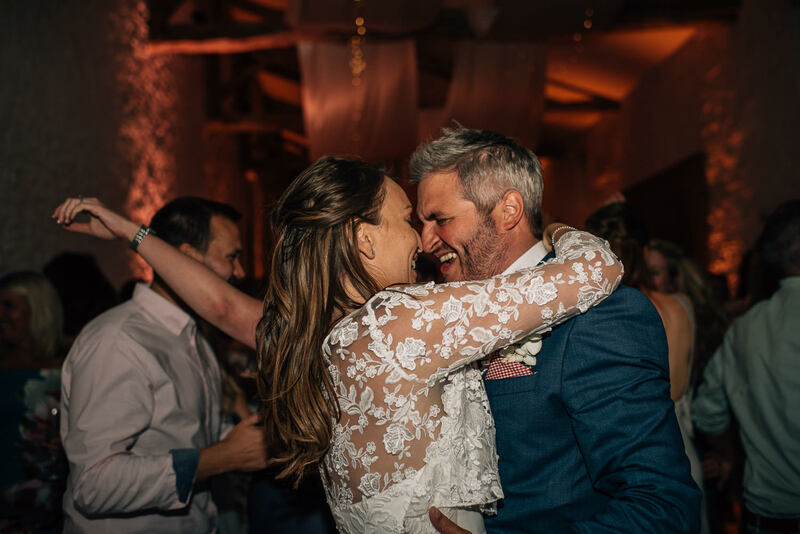 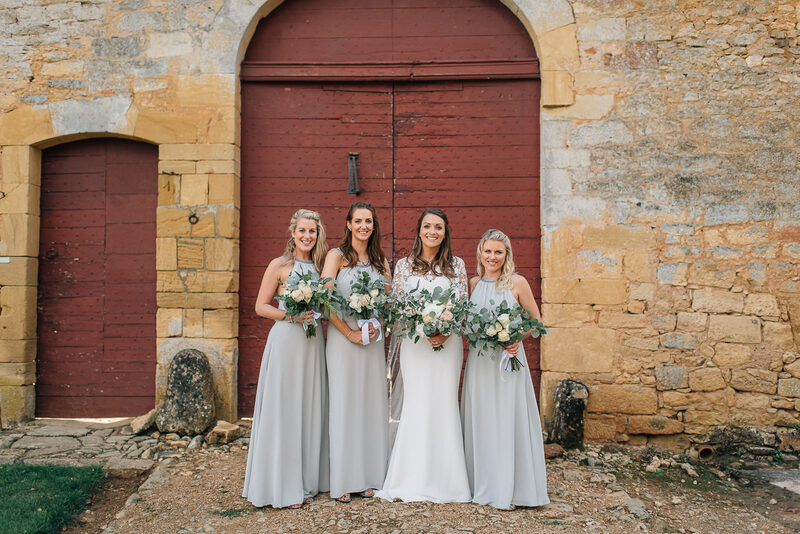 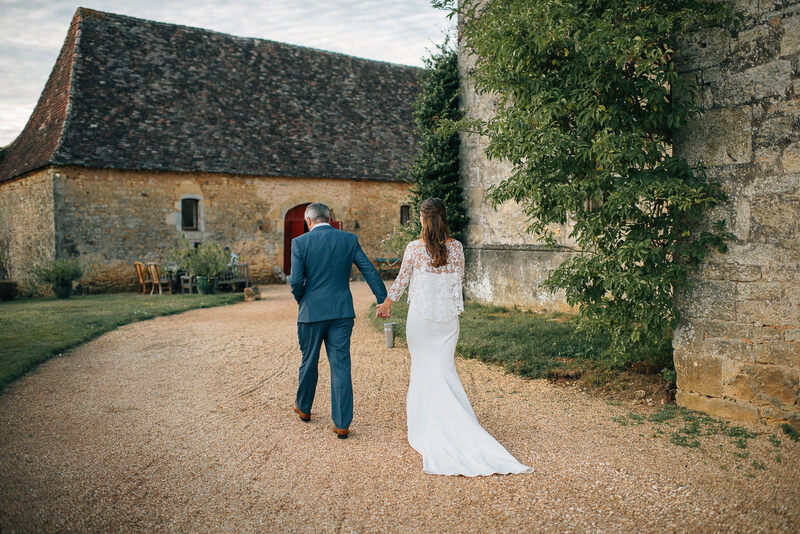 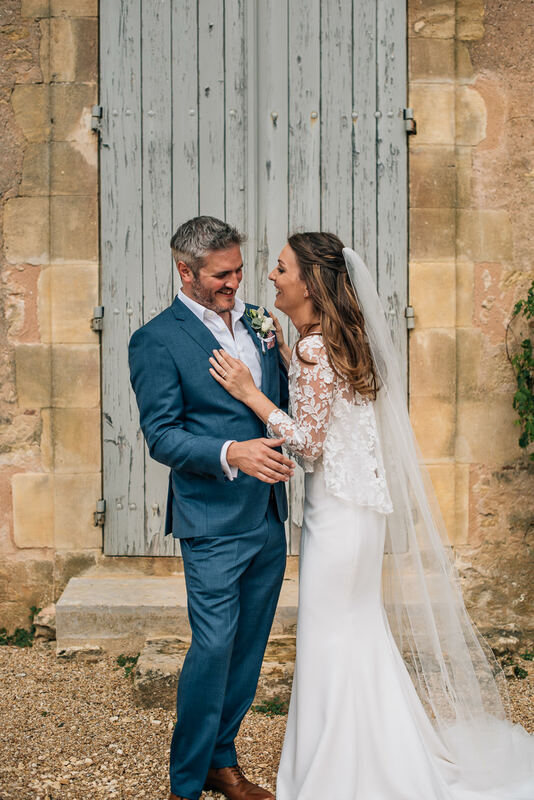 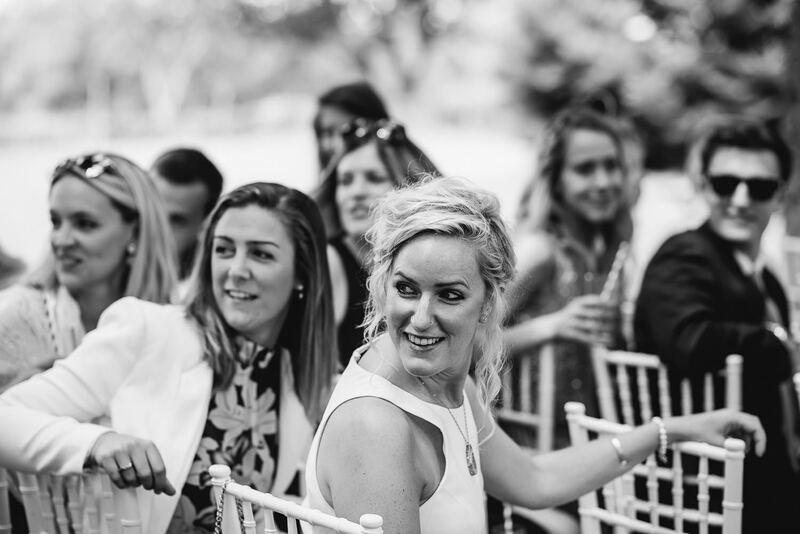 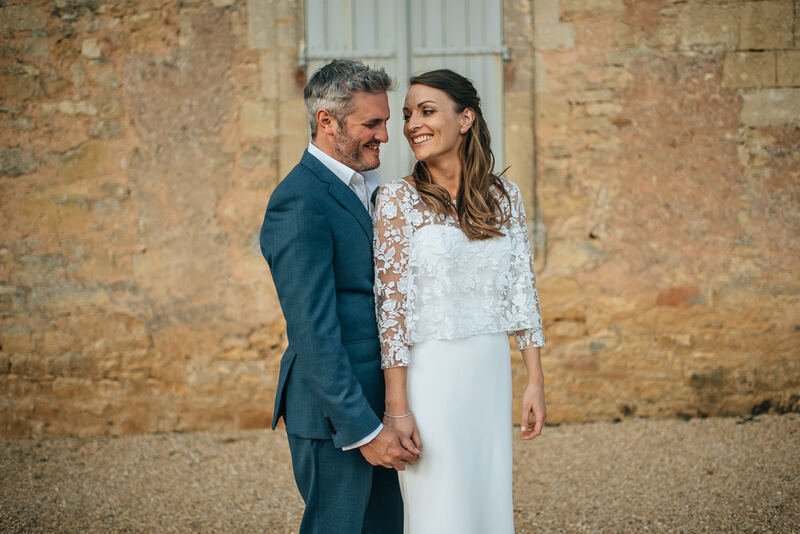 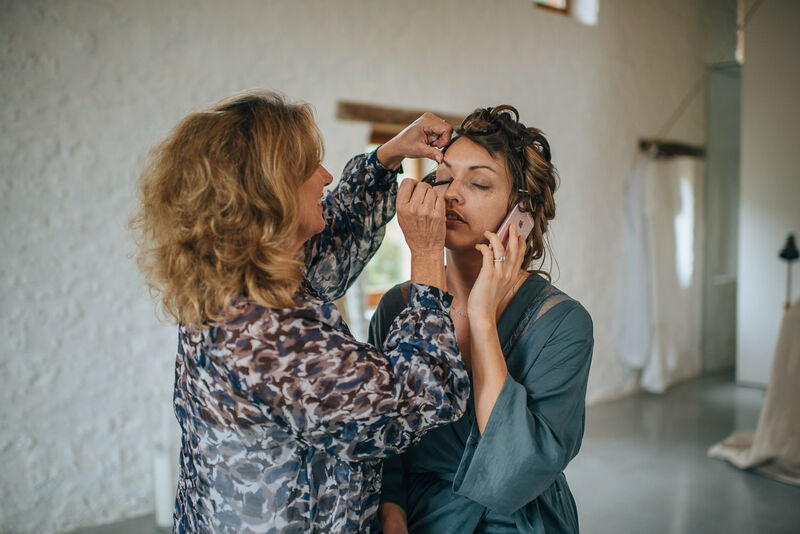 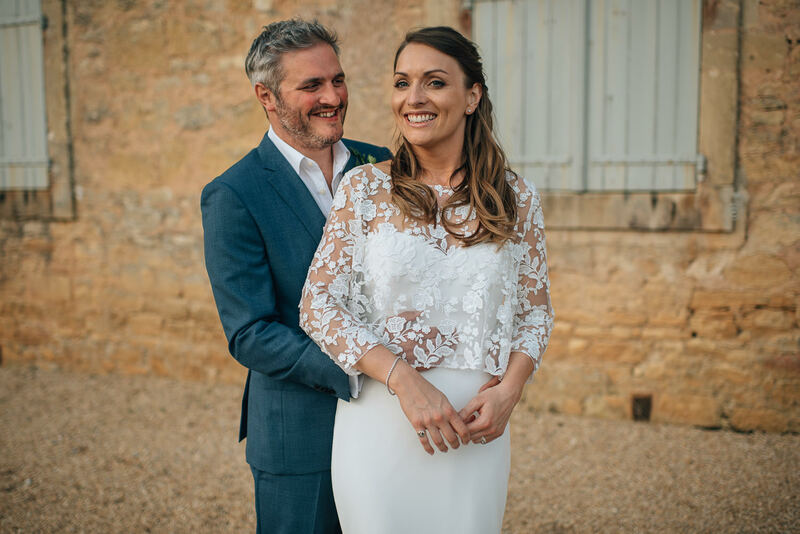 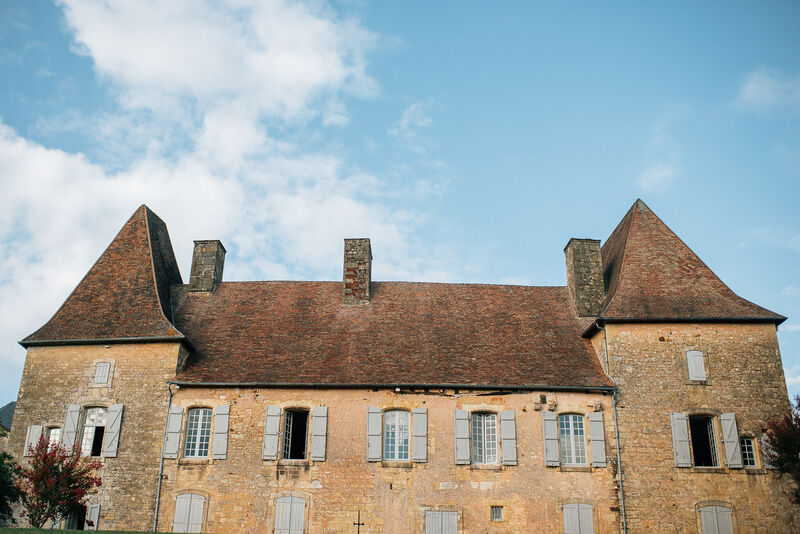 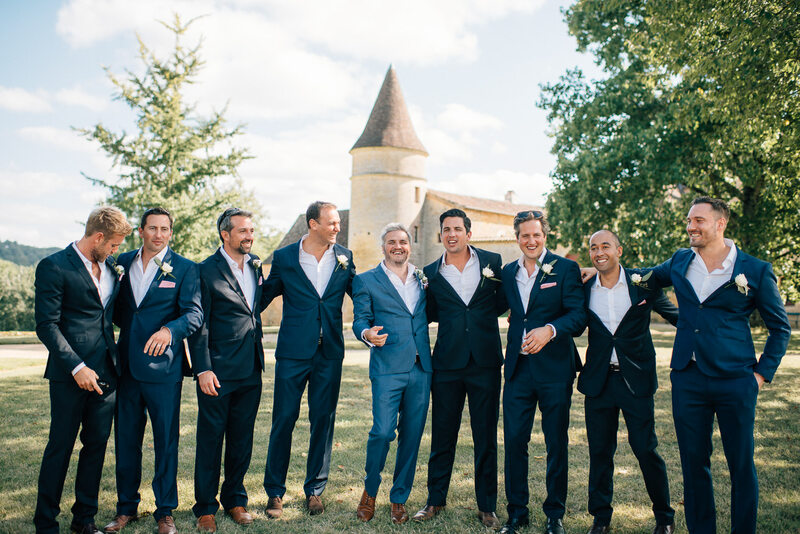 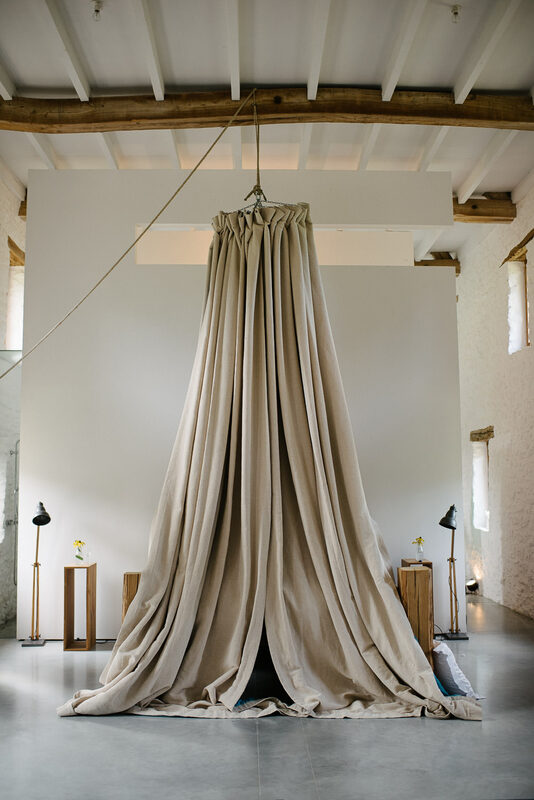 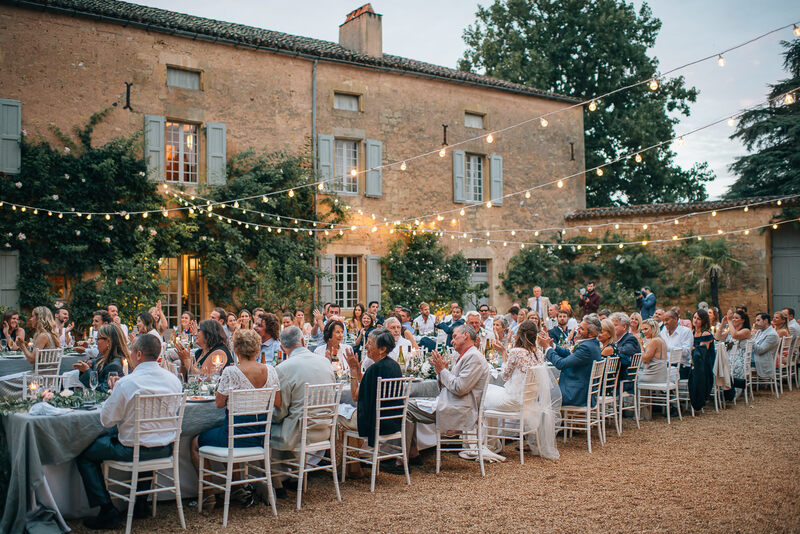 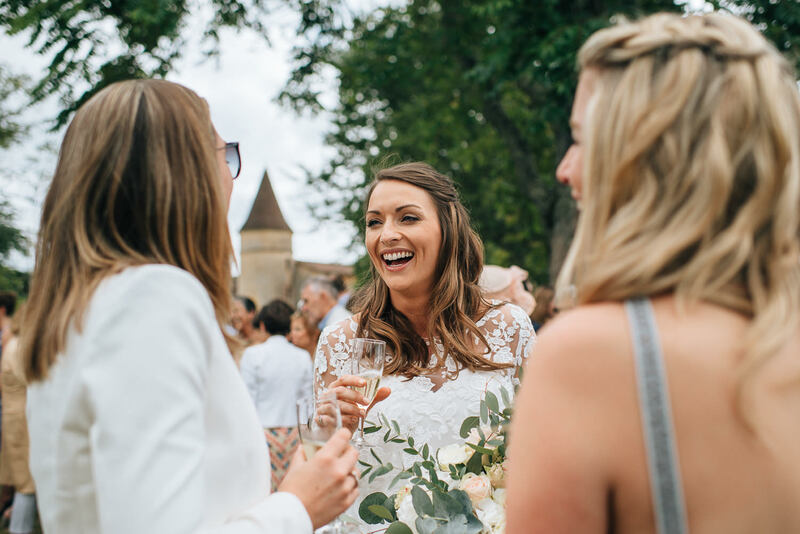 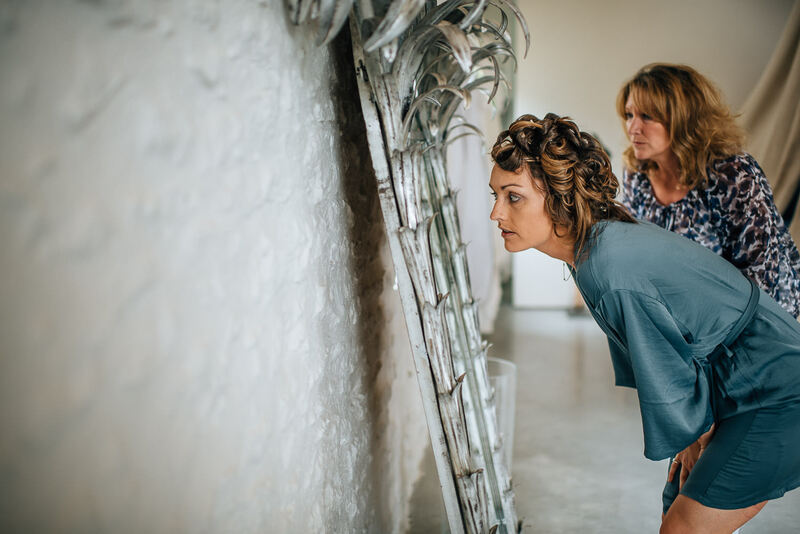 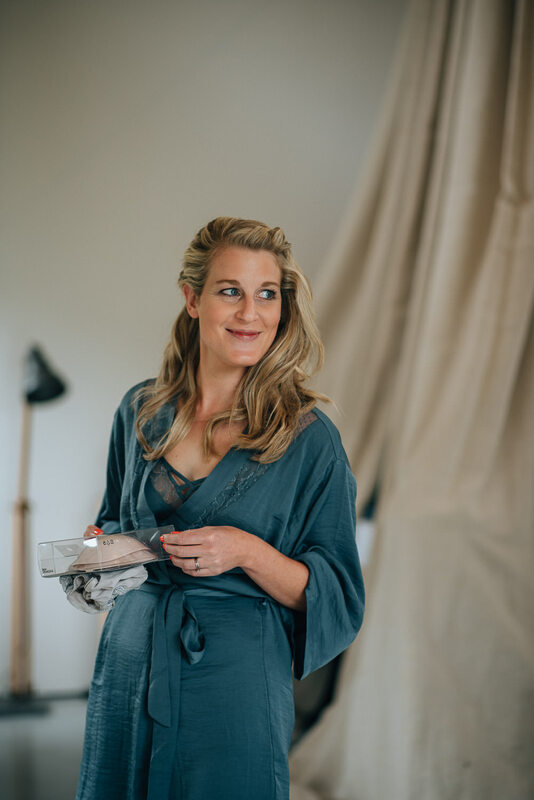 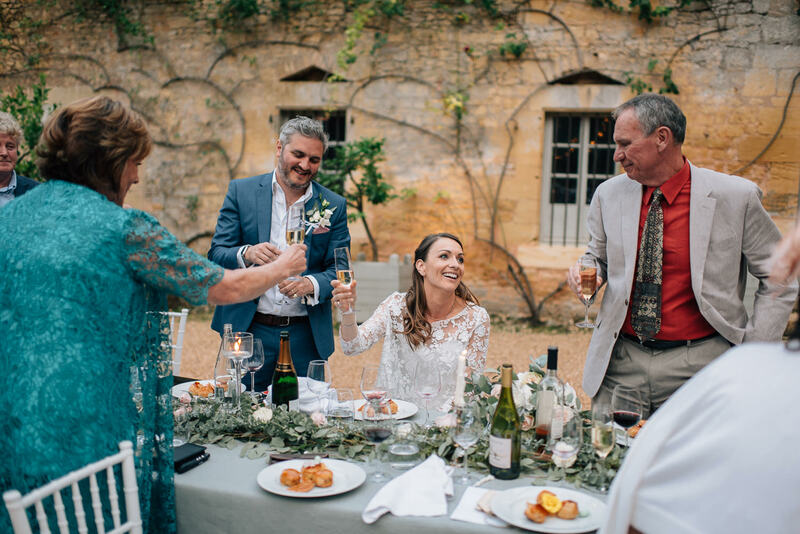 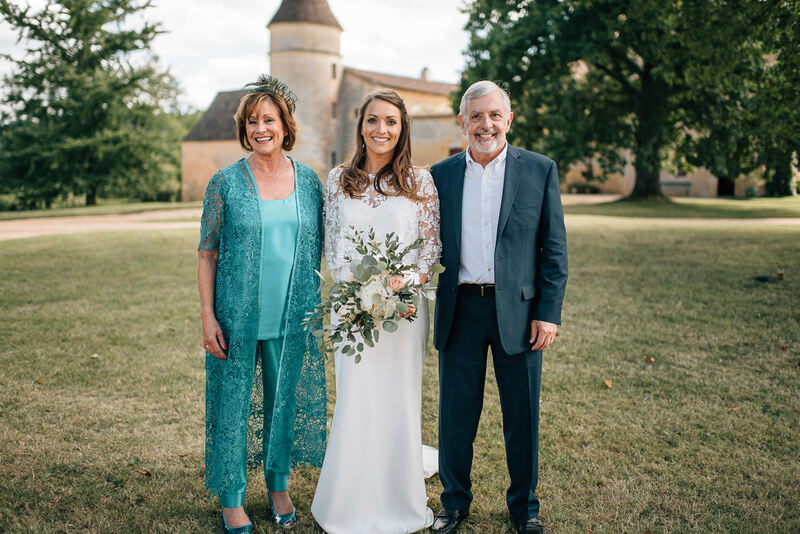 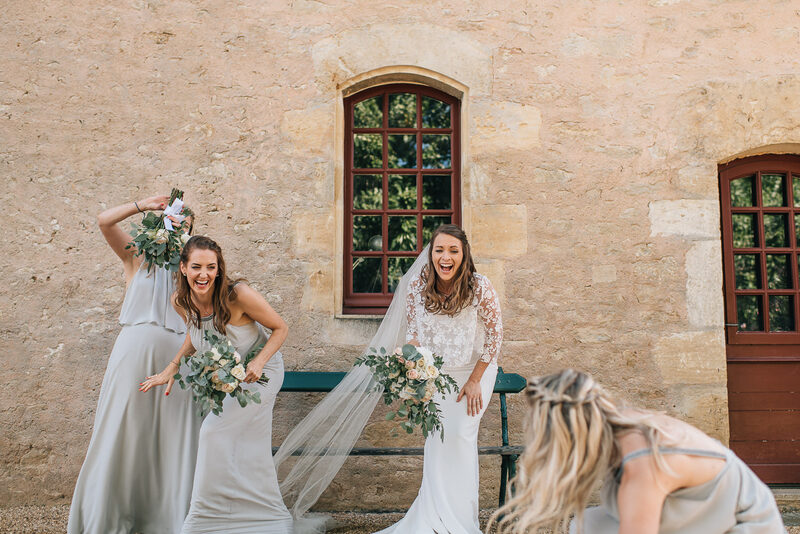 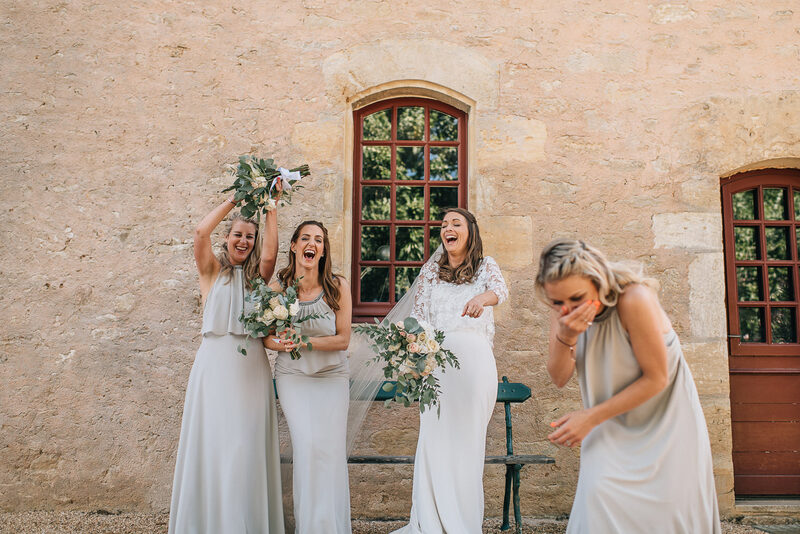 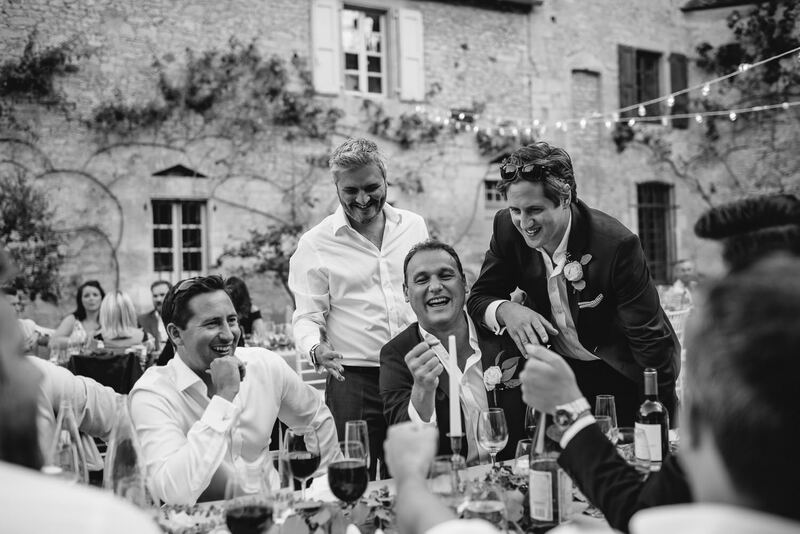 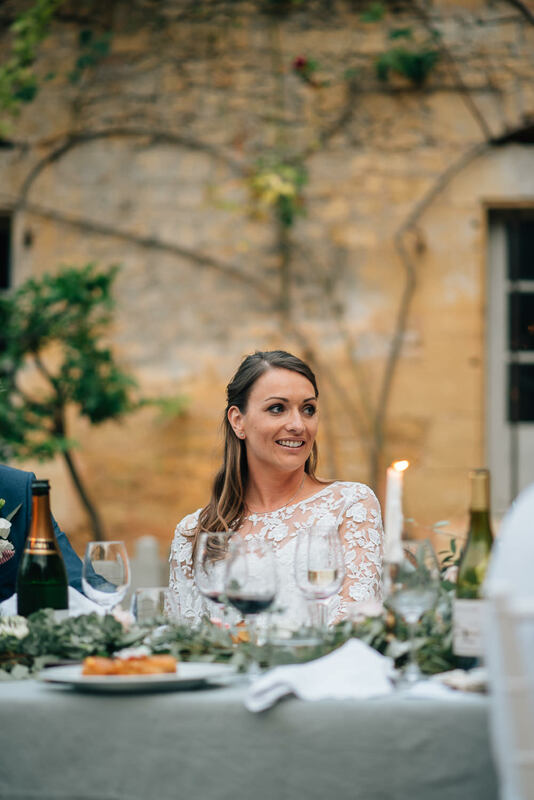 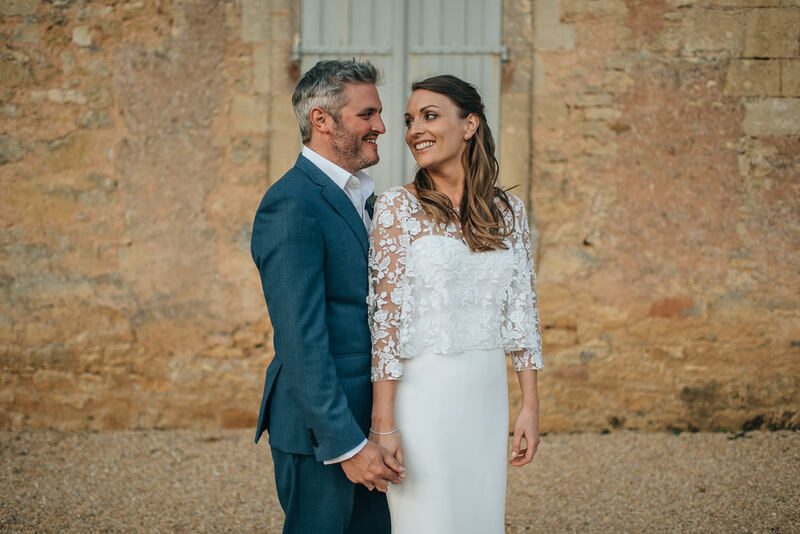 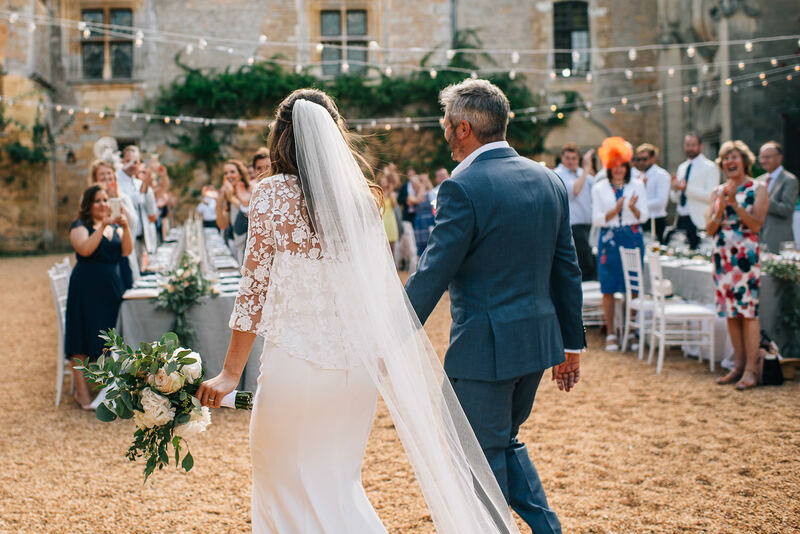 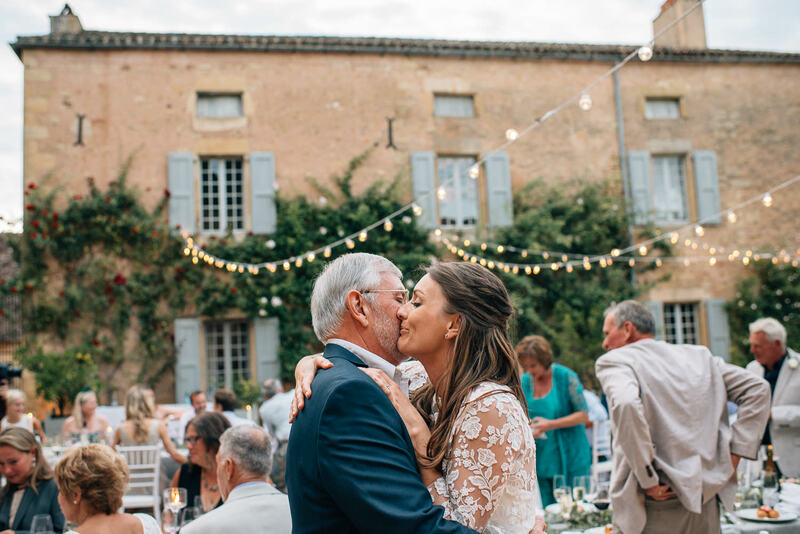 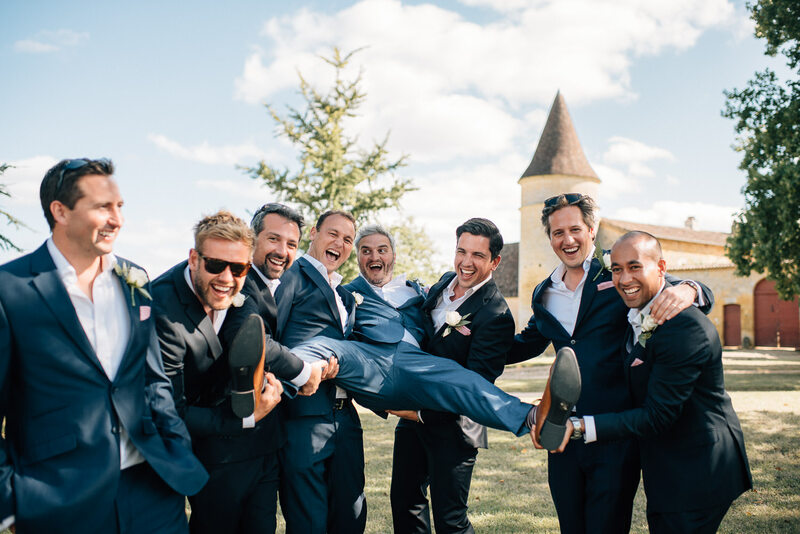 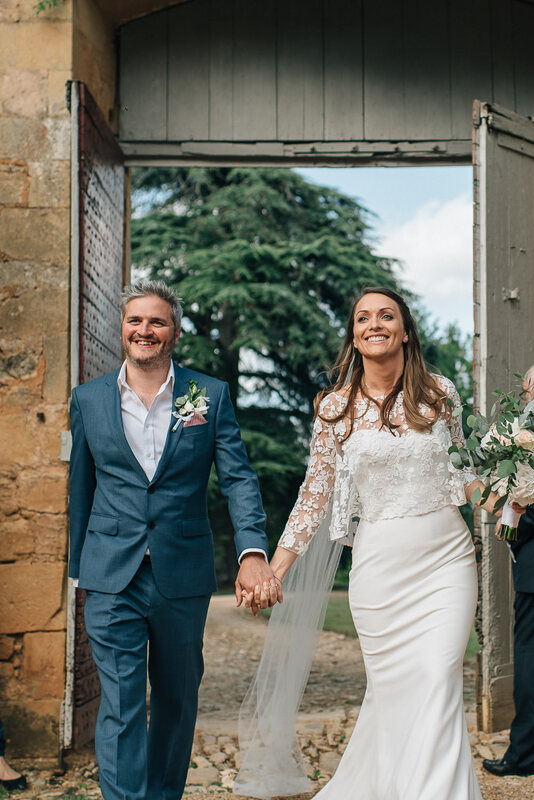 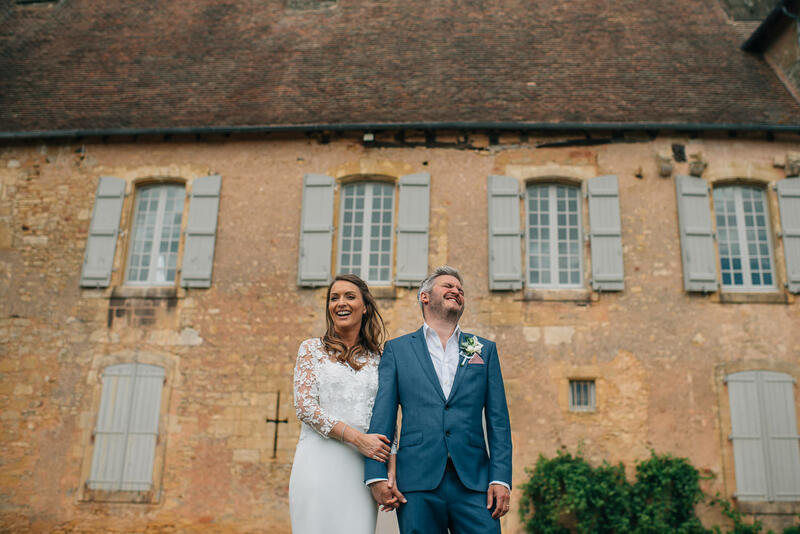 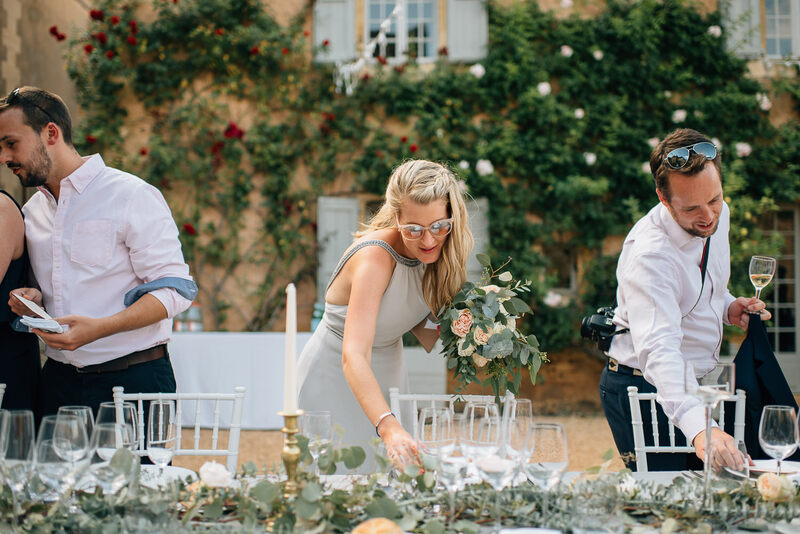 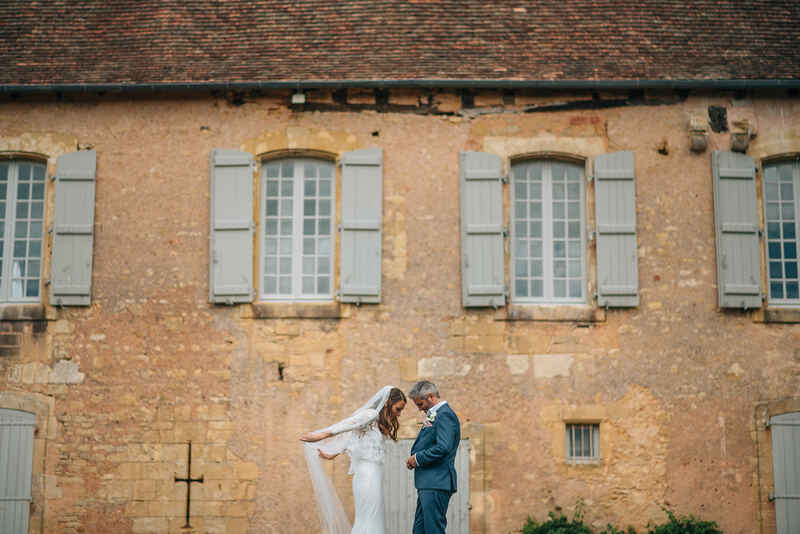 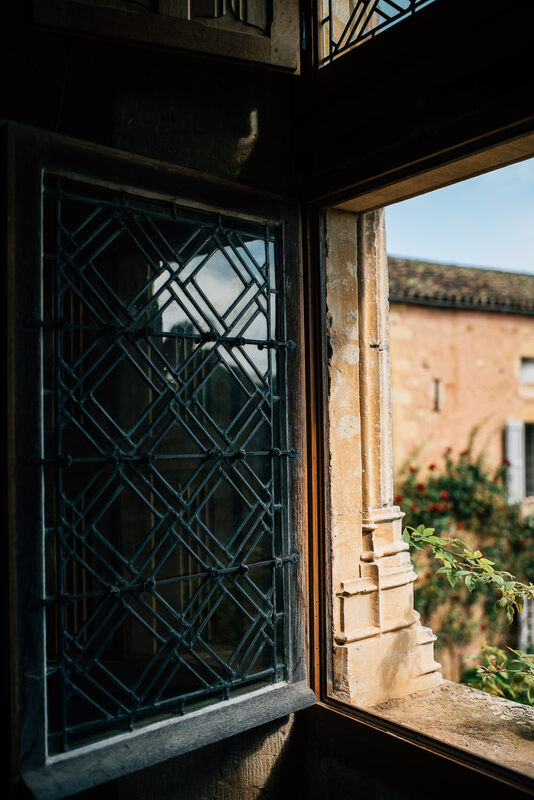 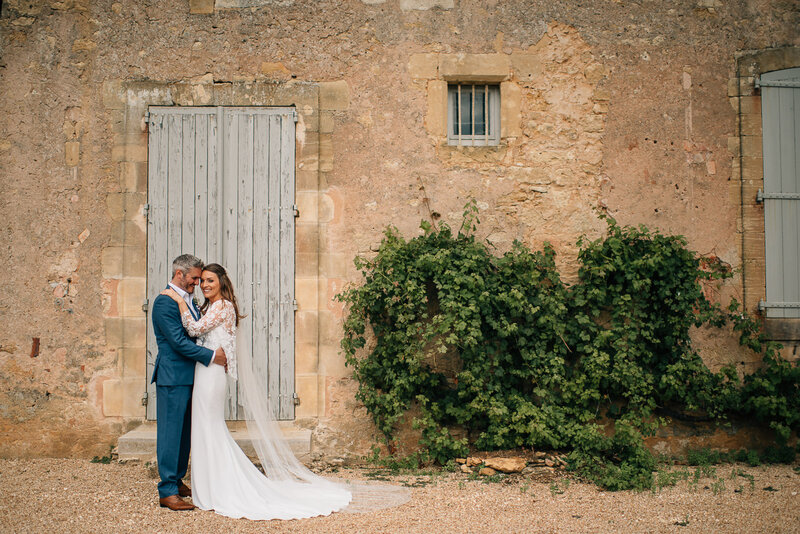 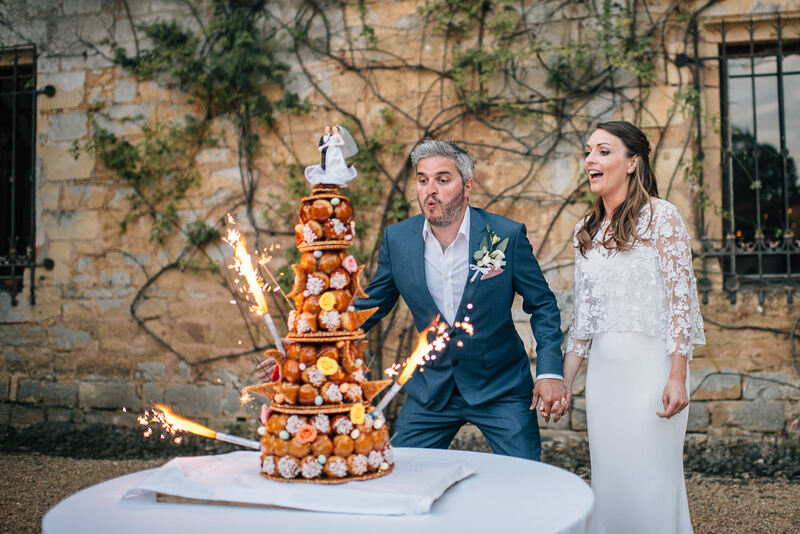 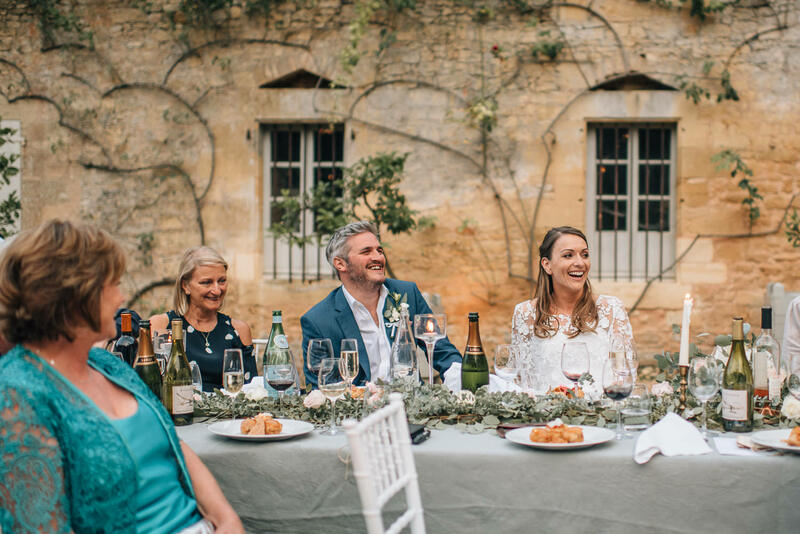 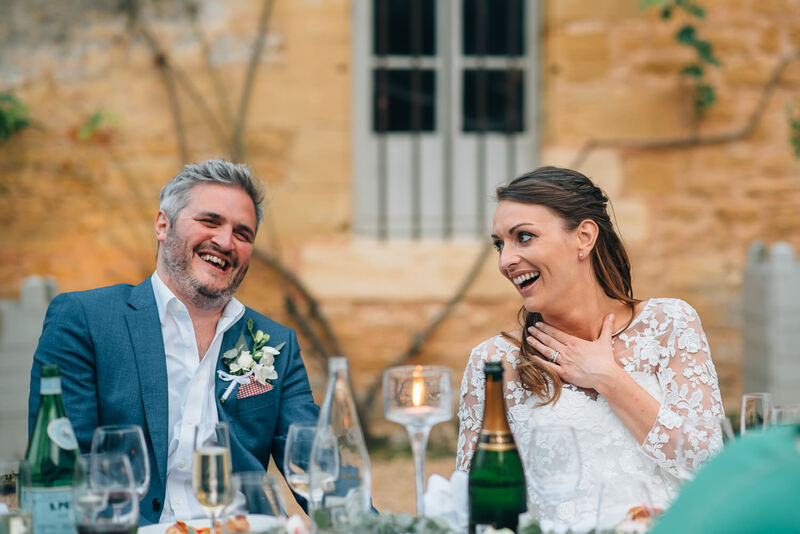 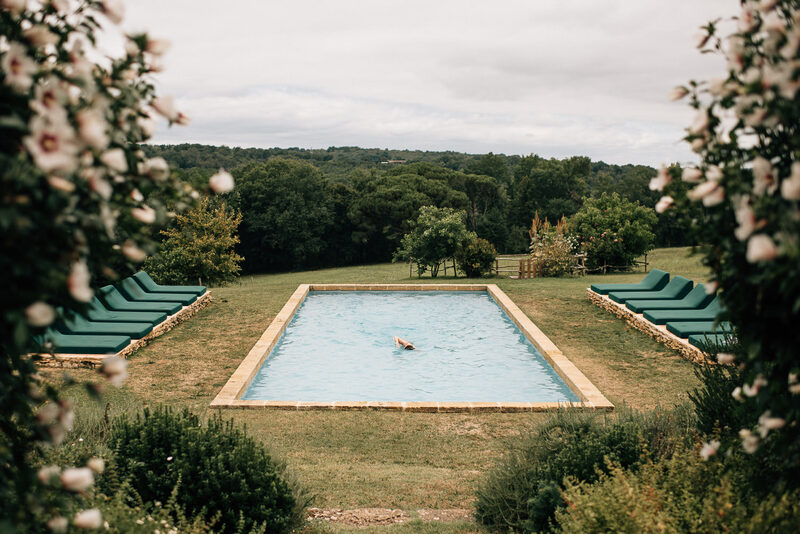 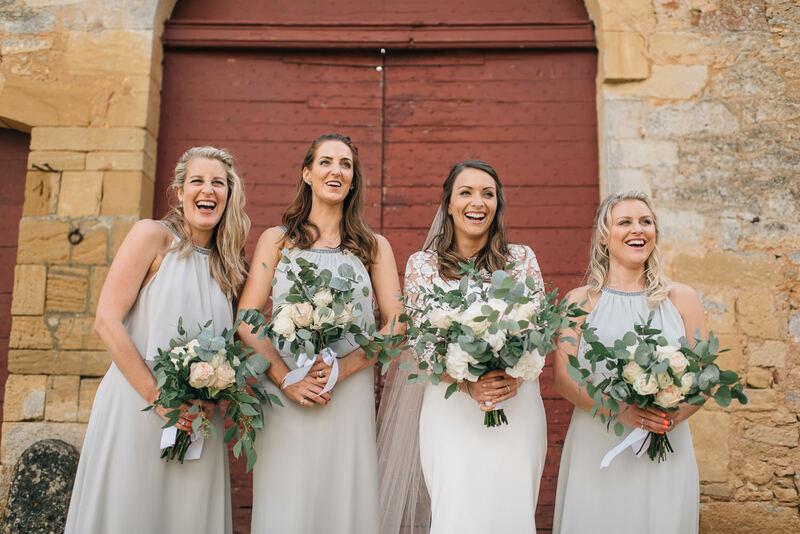 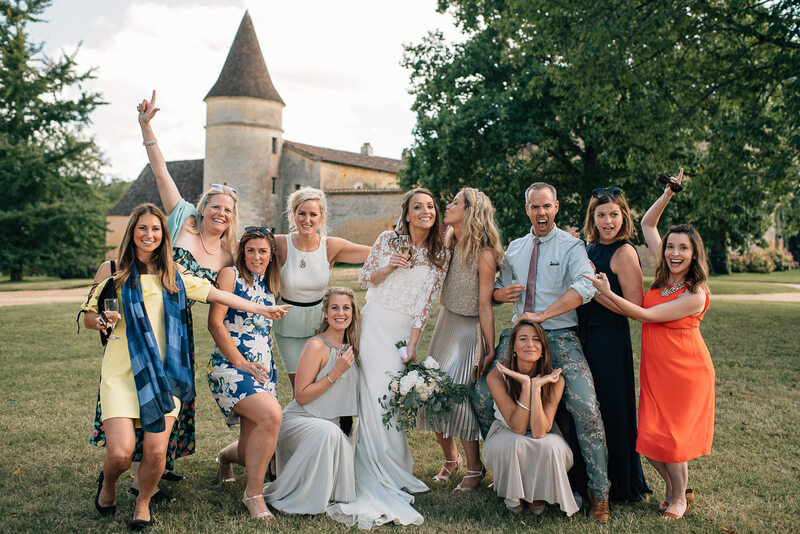 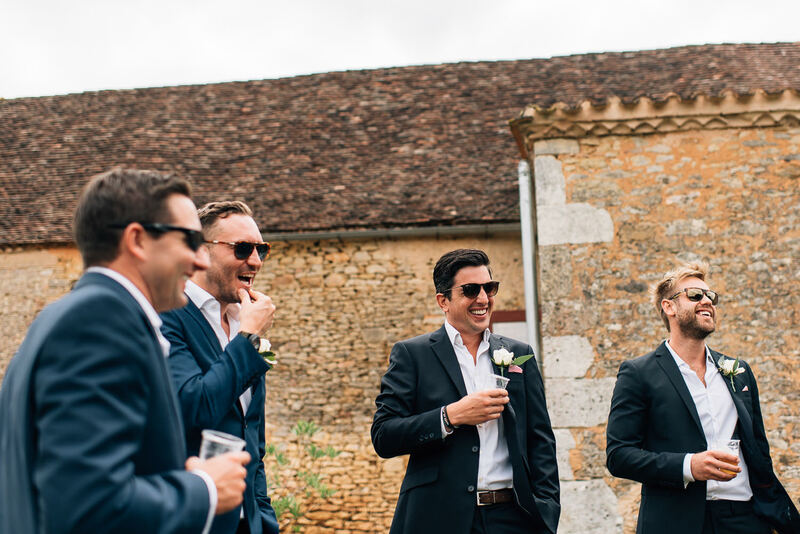 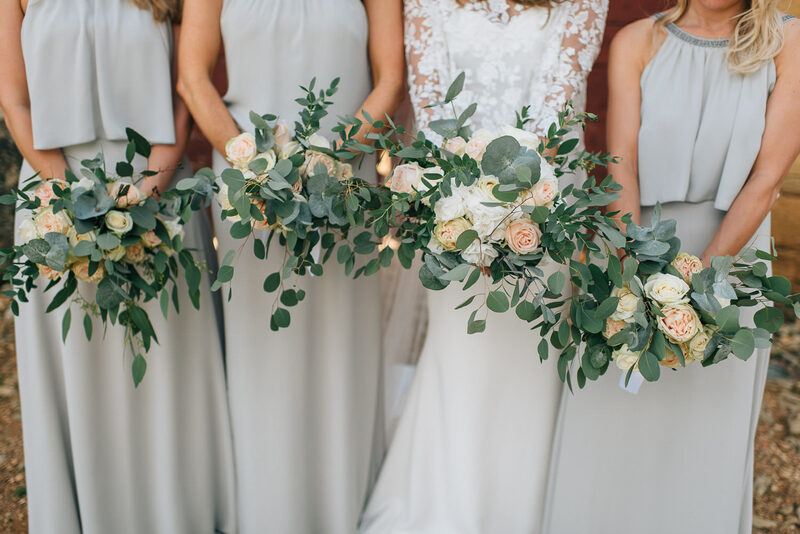 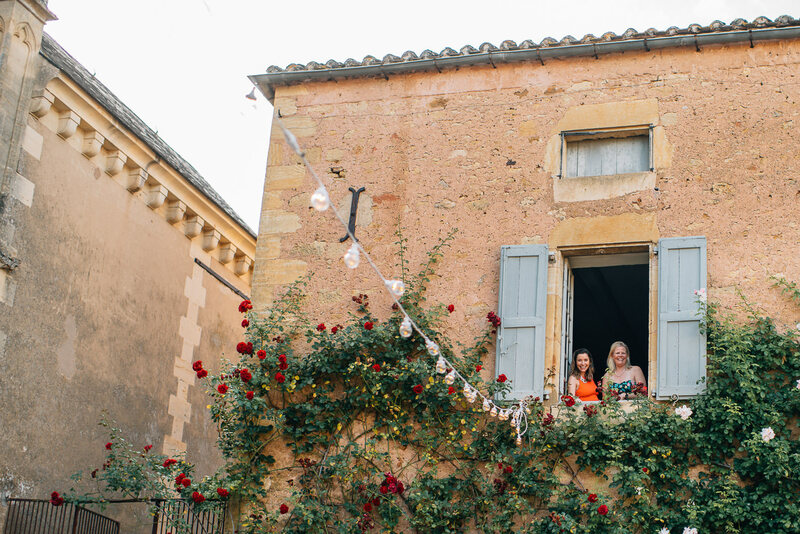 Ben and Nadine’s Chateau de la Bourlie wedding was something straight out of a fairy tale. 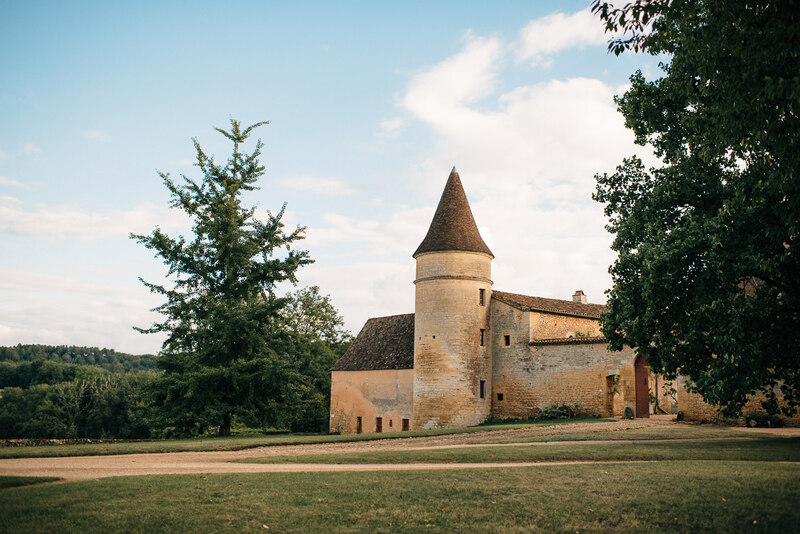 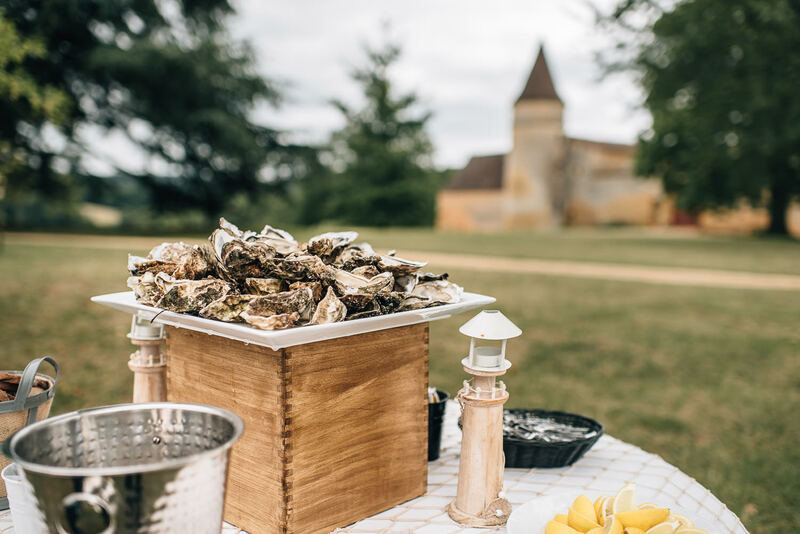 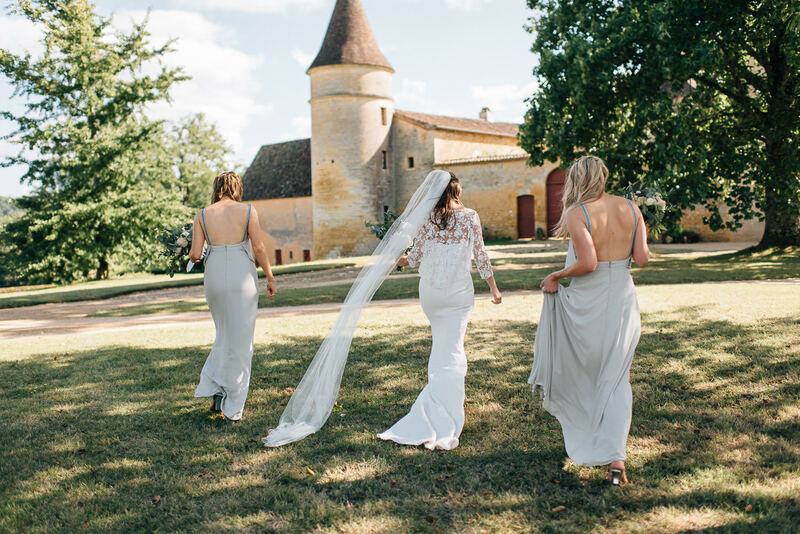 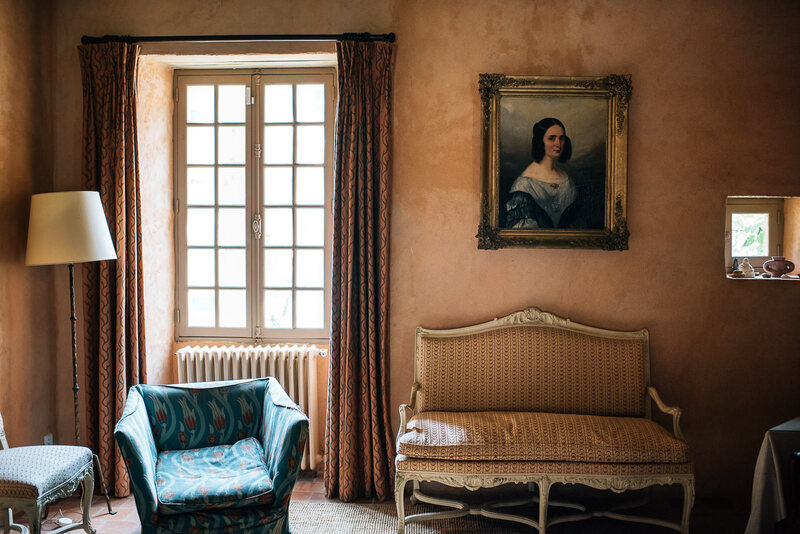 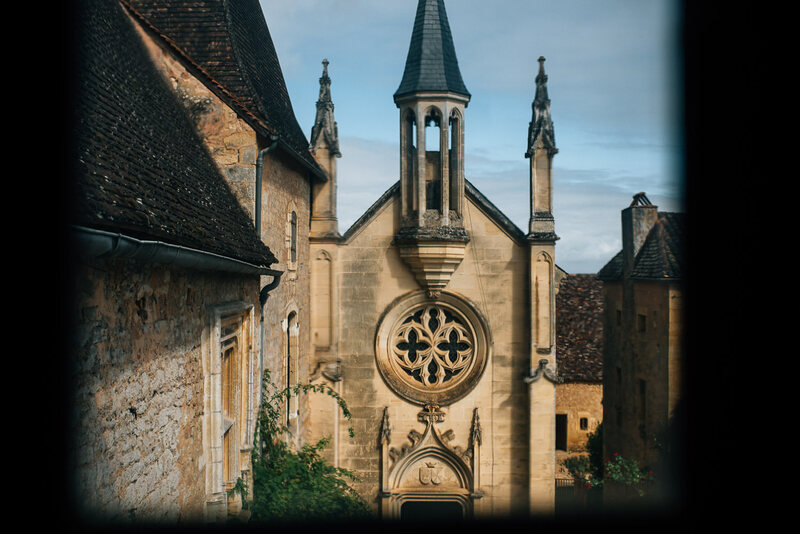 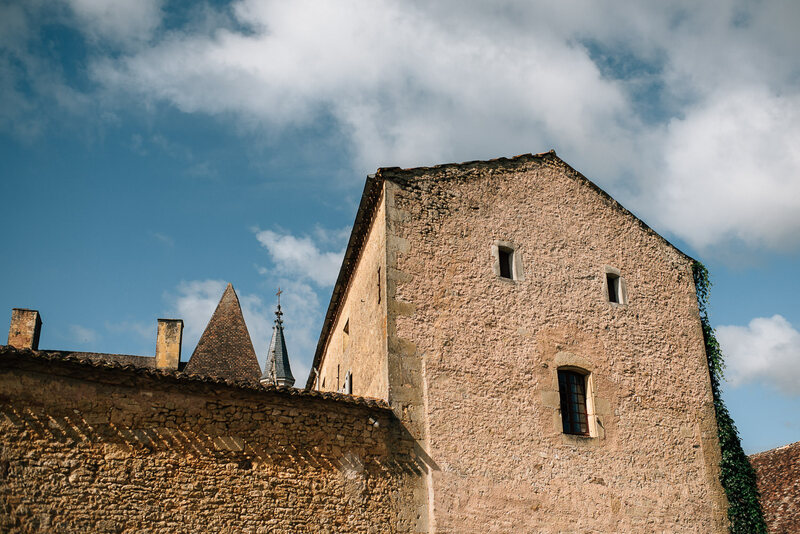 Situated a couple of hours outside of Bordeaux, the idyllic Château de la Bourlie complete with 14th Century Chapel provided a fitting backdrop for such an occasion. 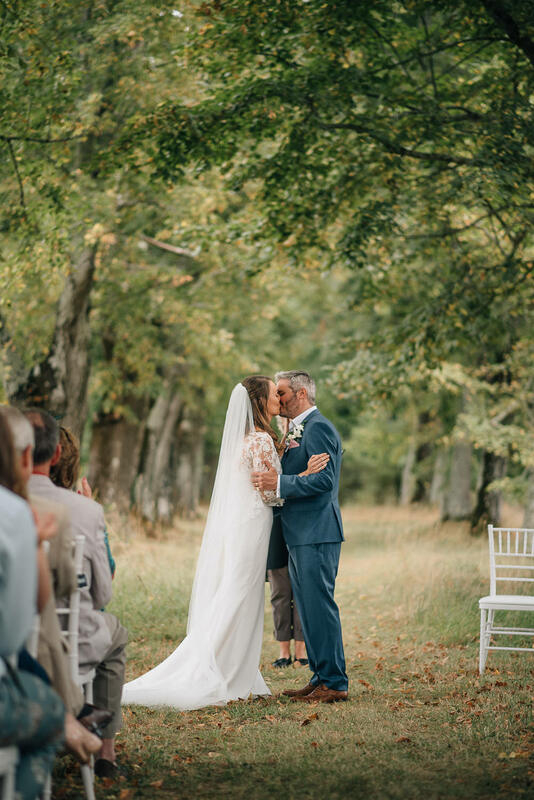 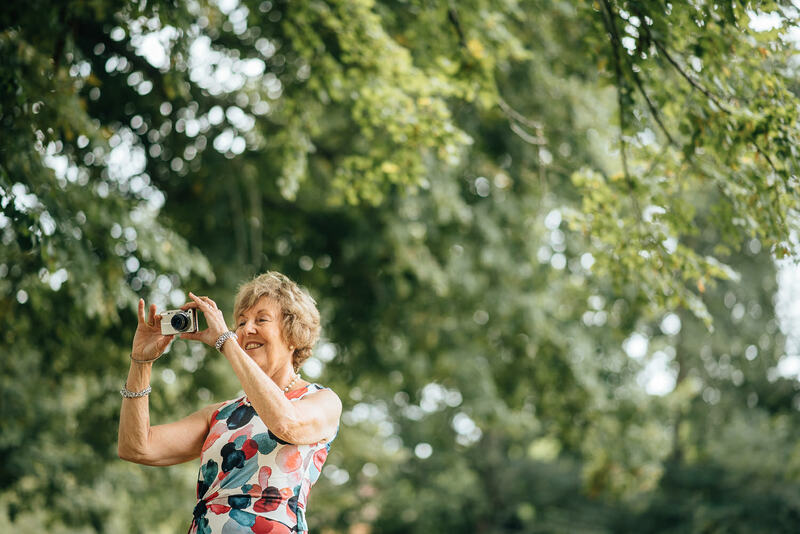 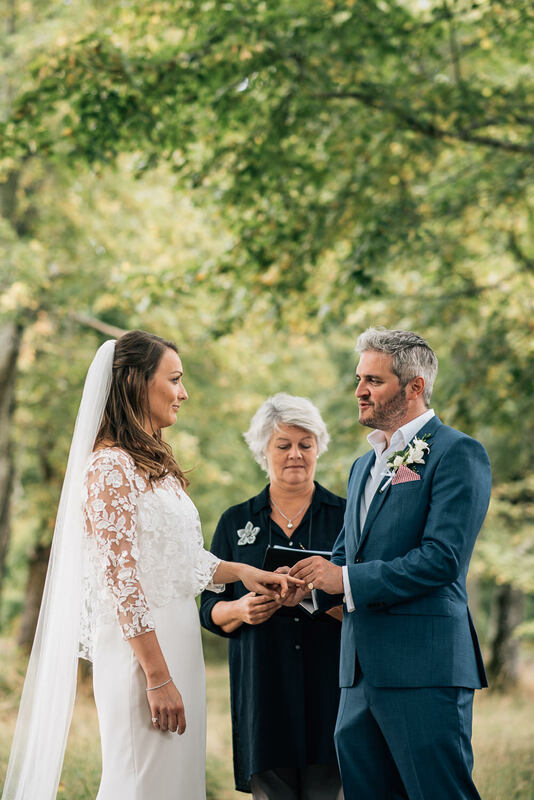 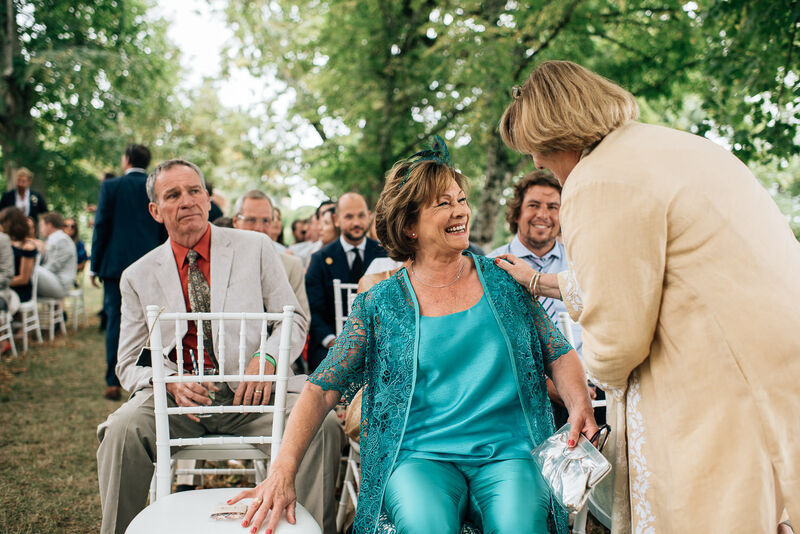 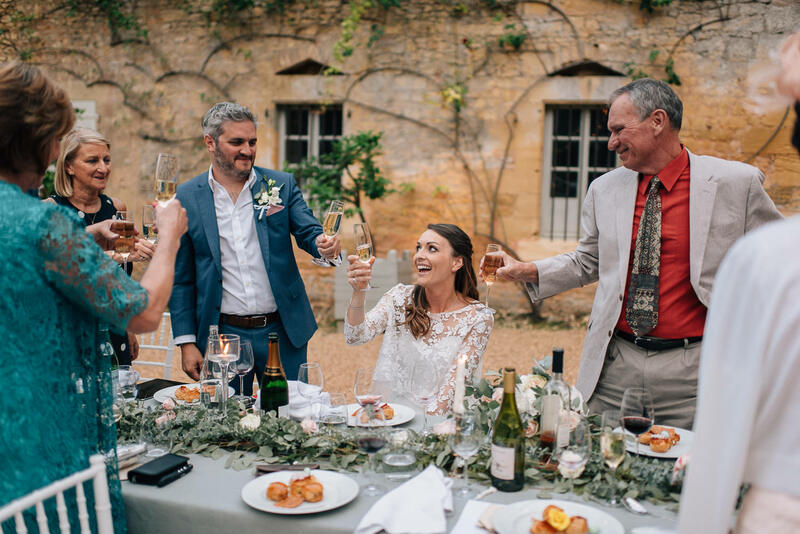 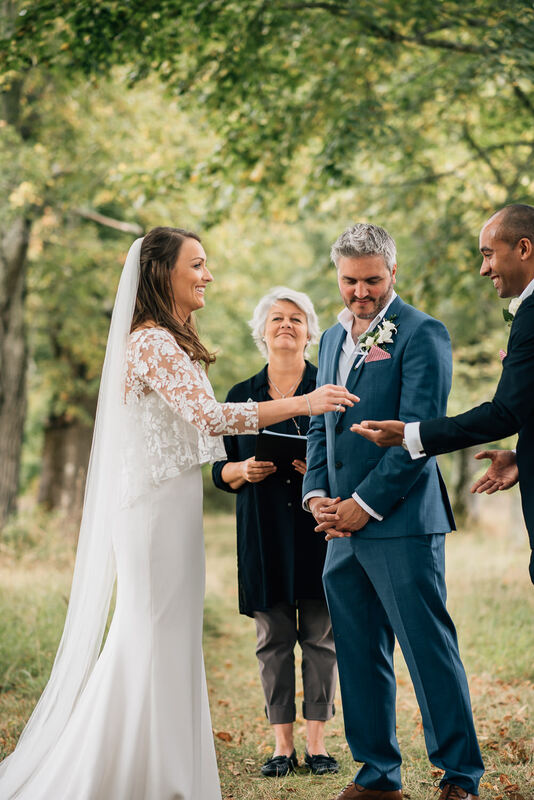 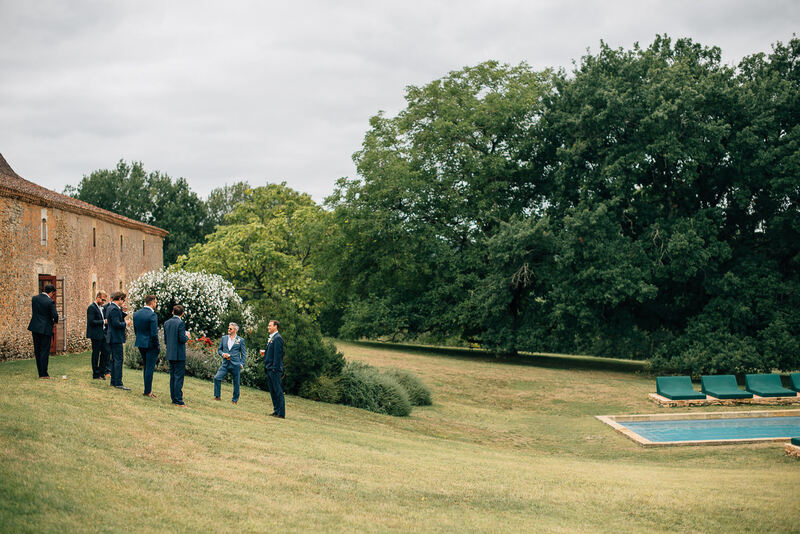 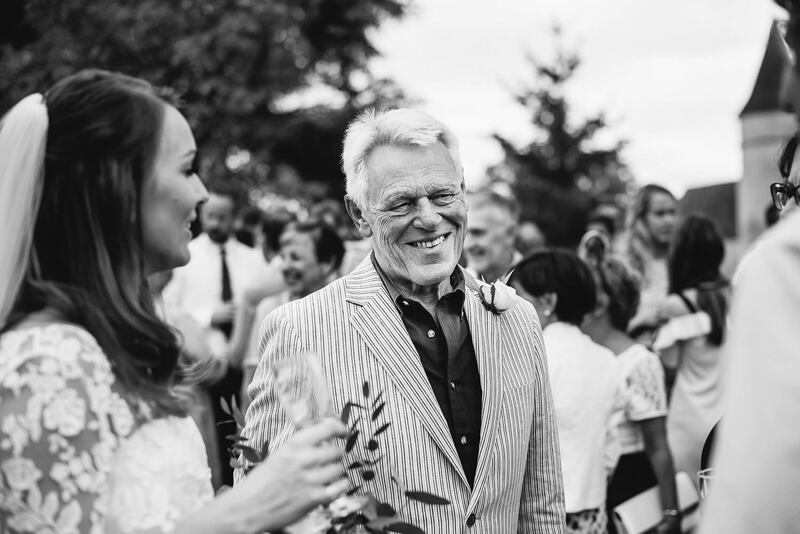 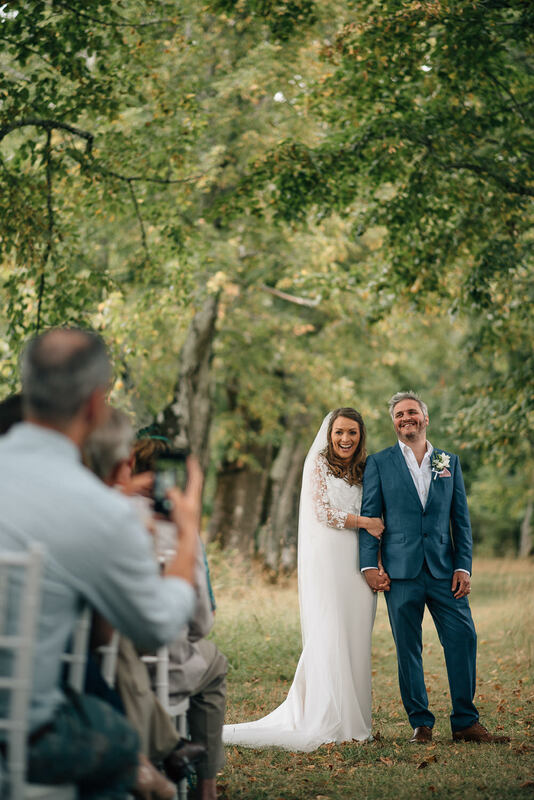 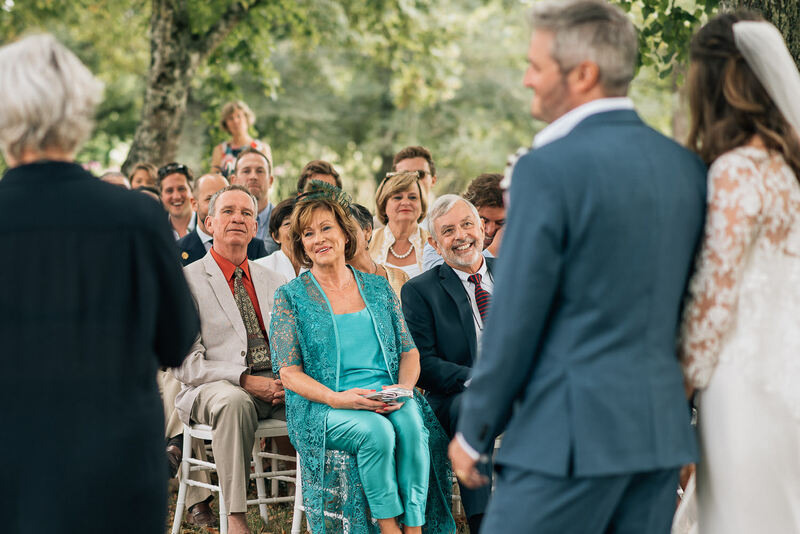 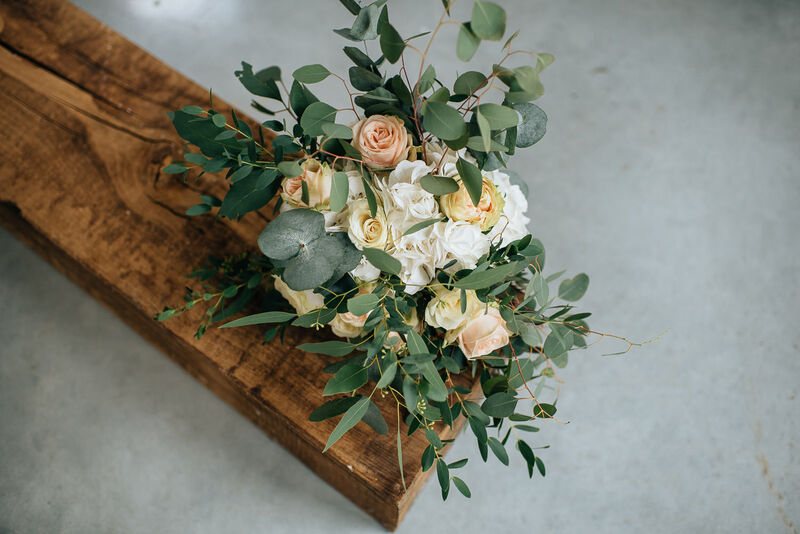 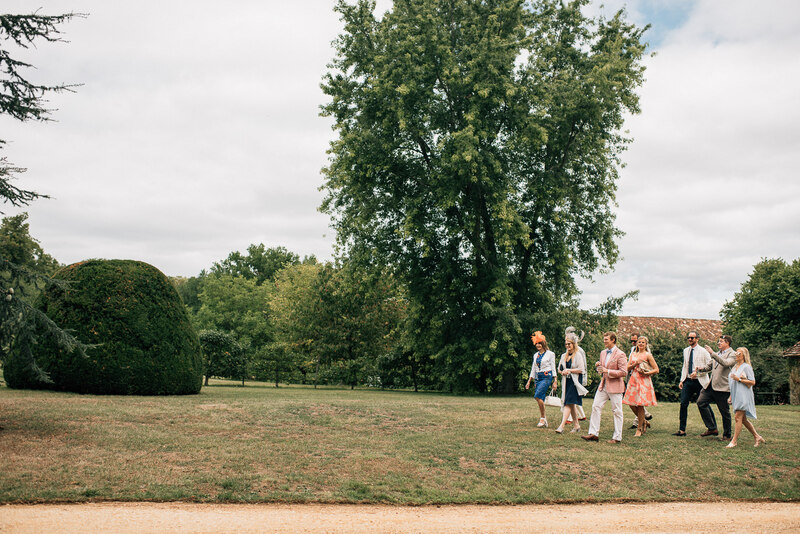 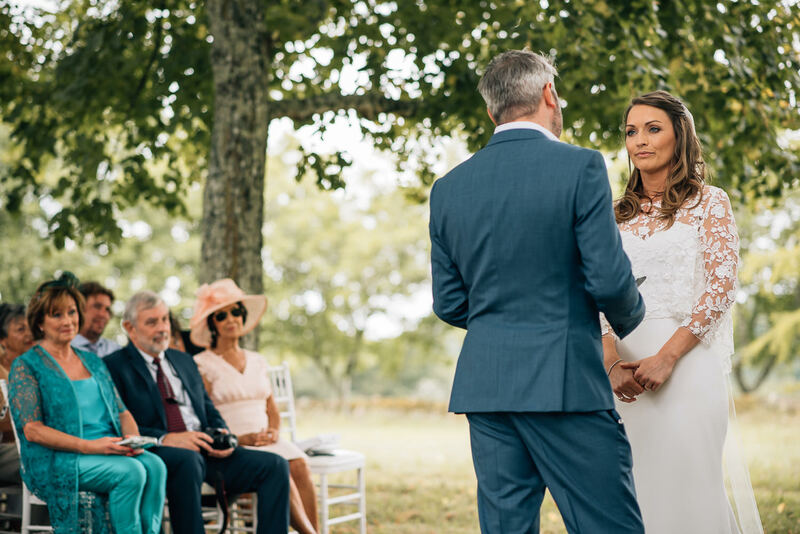 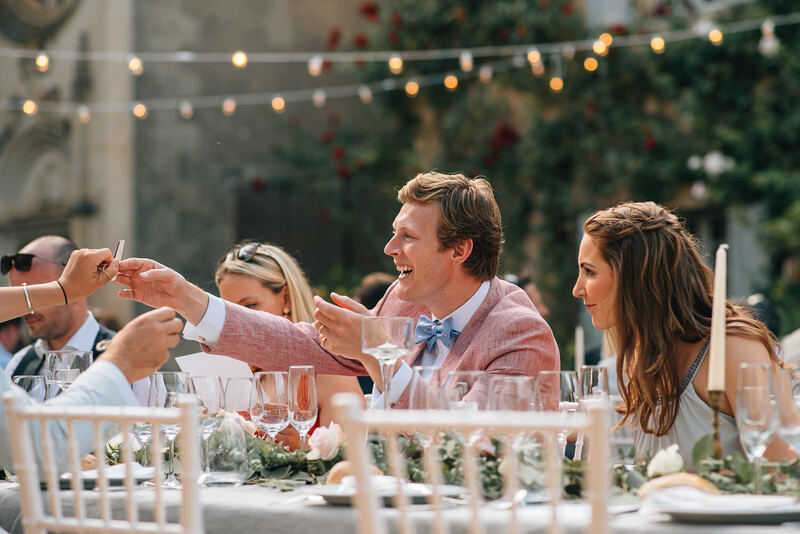 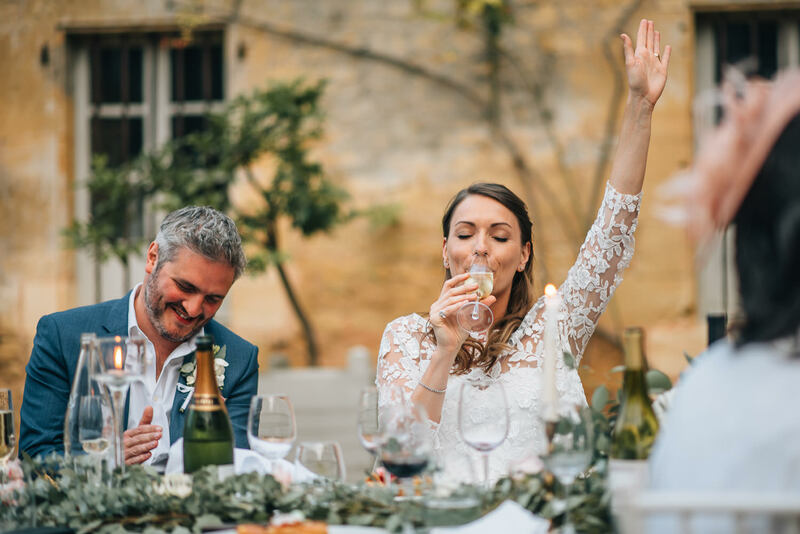 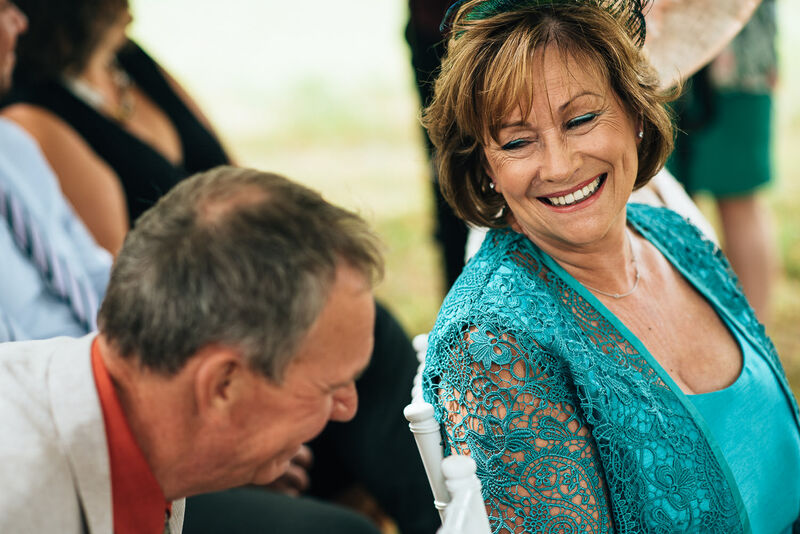 A tree lined ceremony set in a French chateau orchard was as romantic as it sounds. 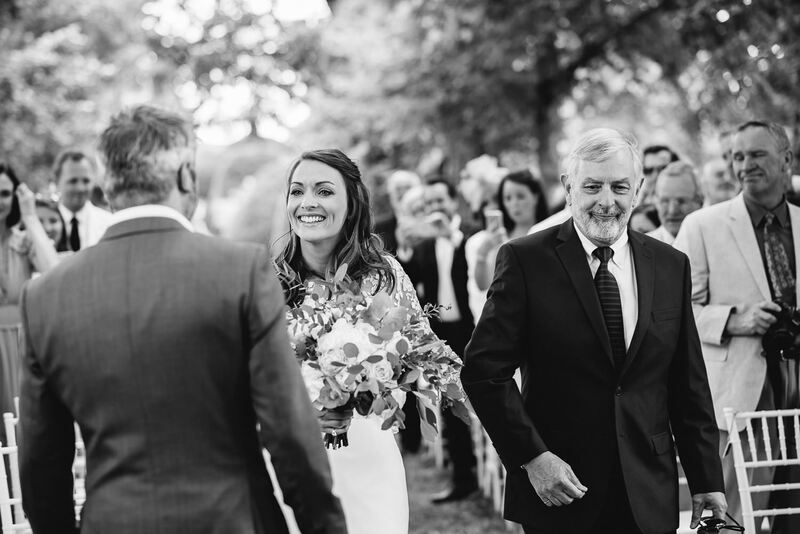 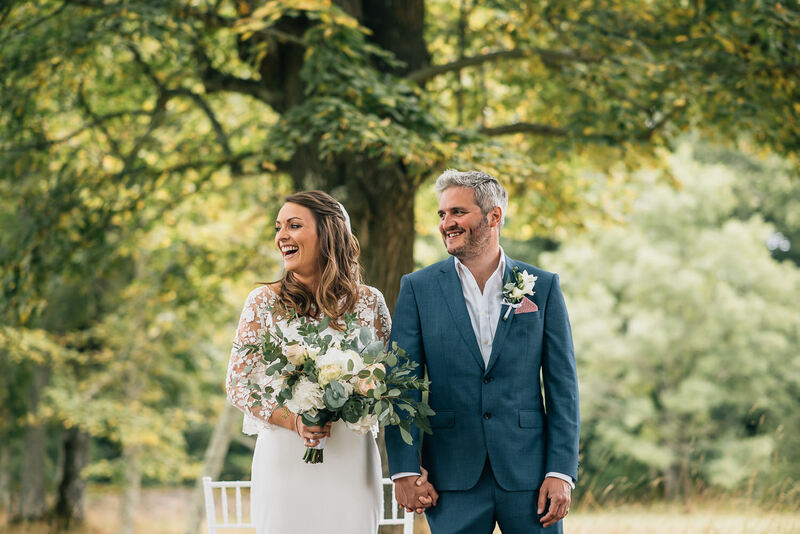 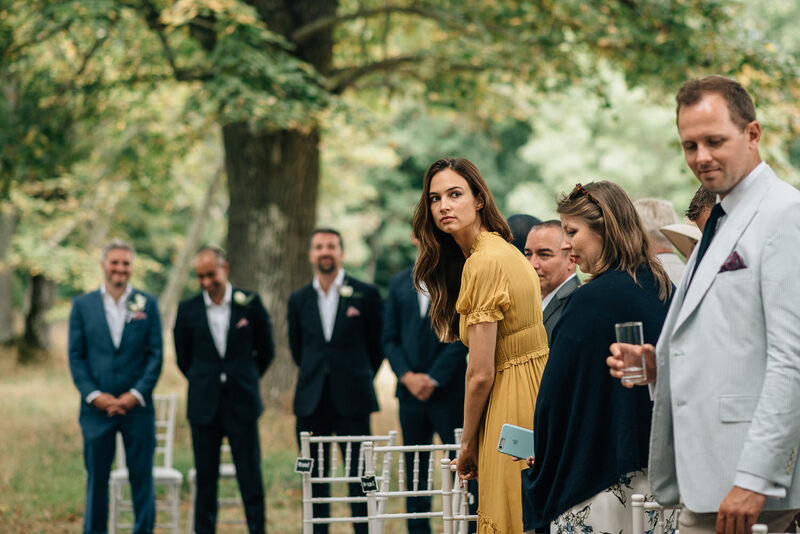 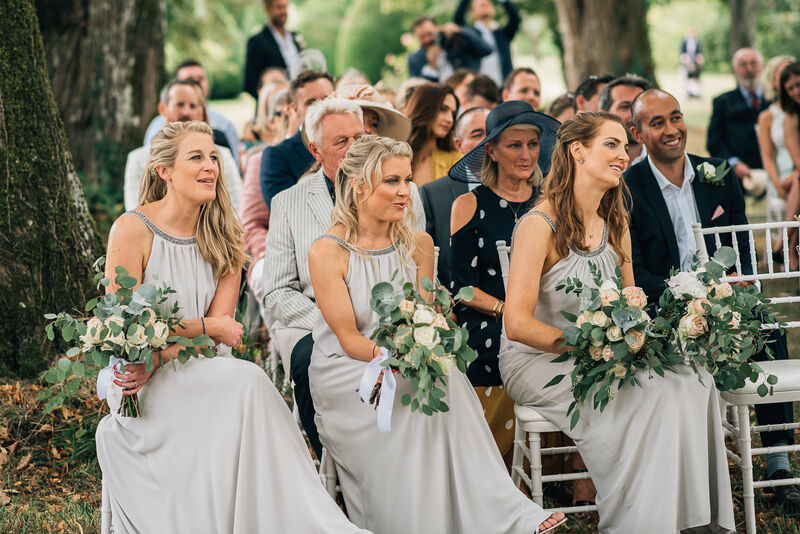 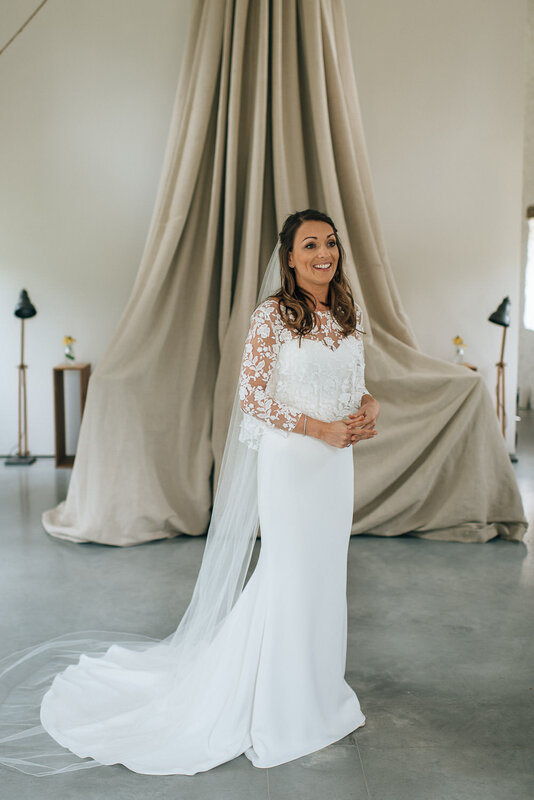 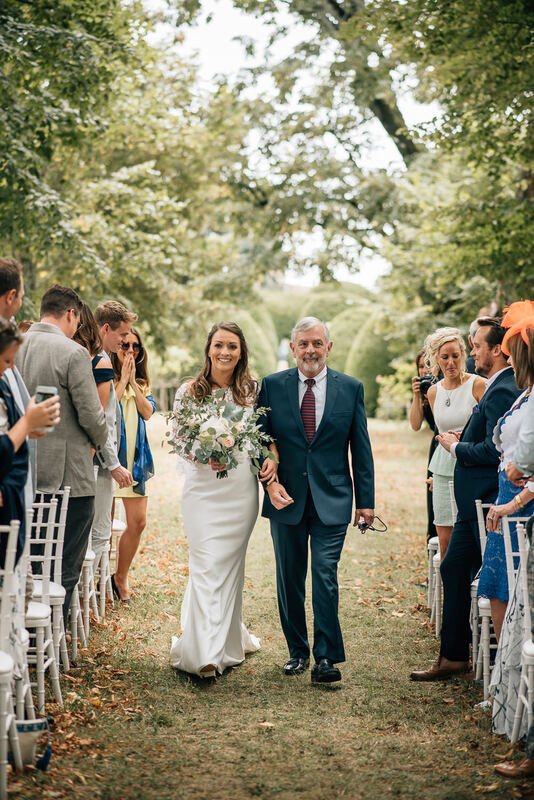 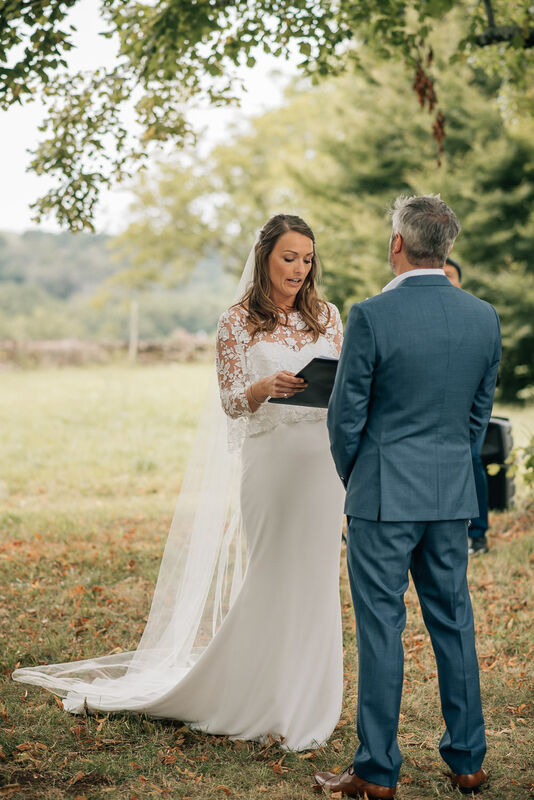 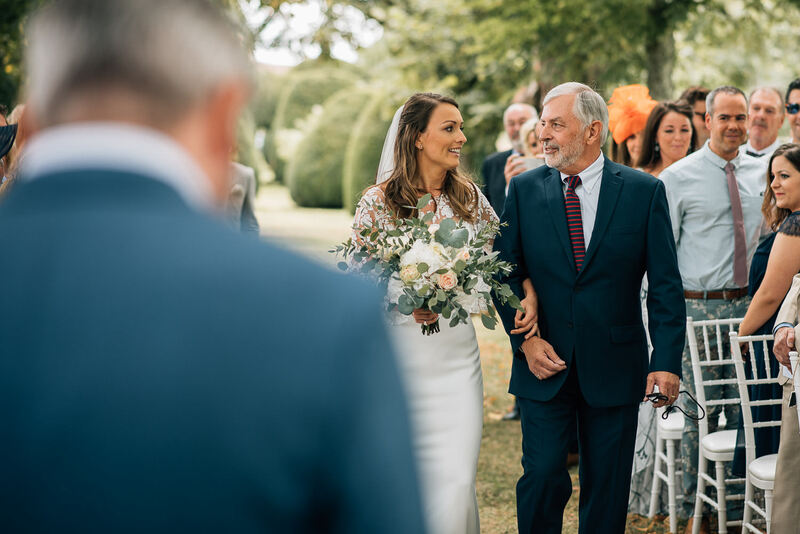 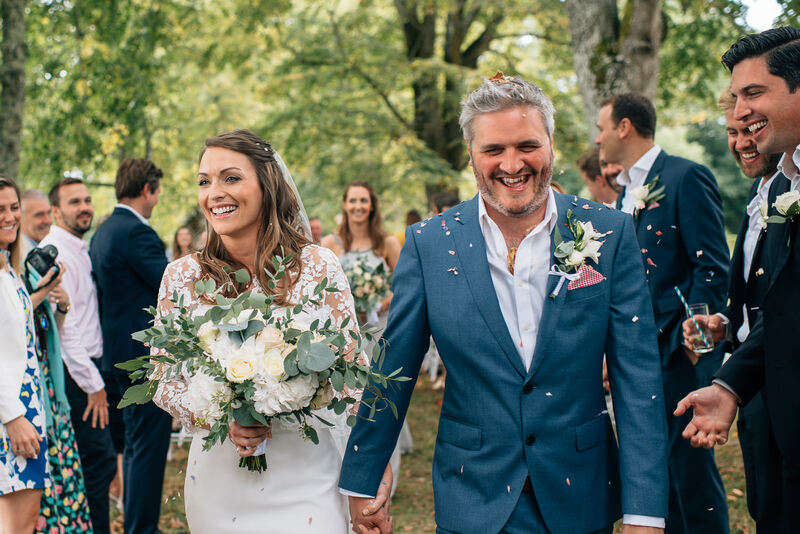 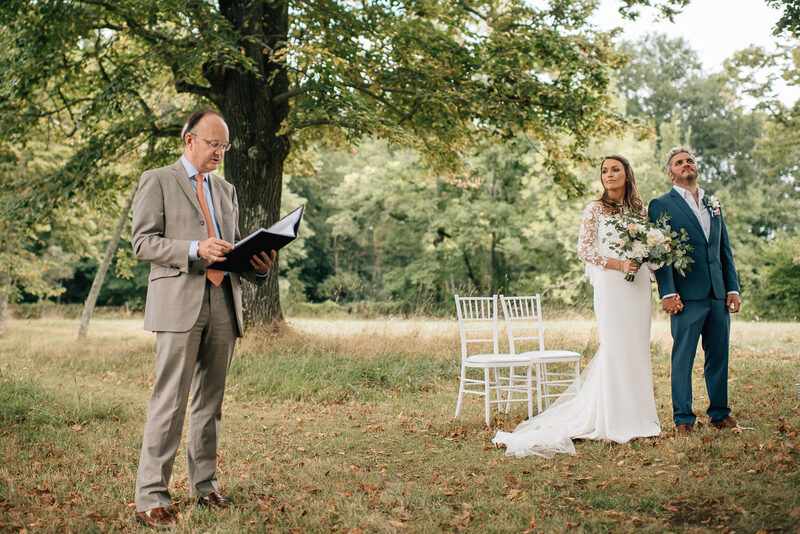 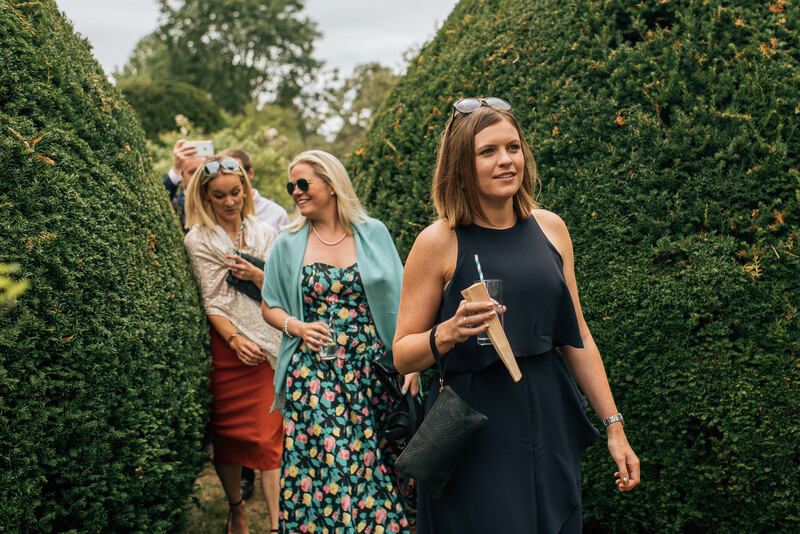 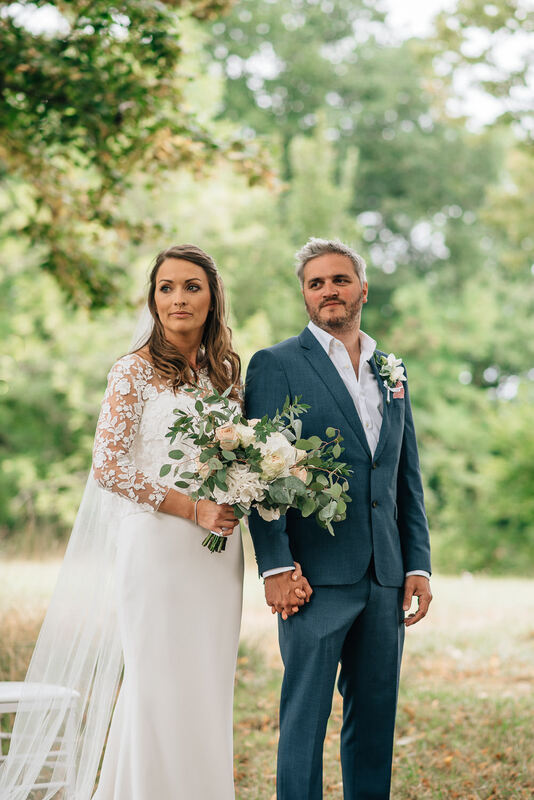 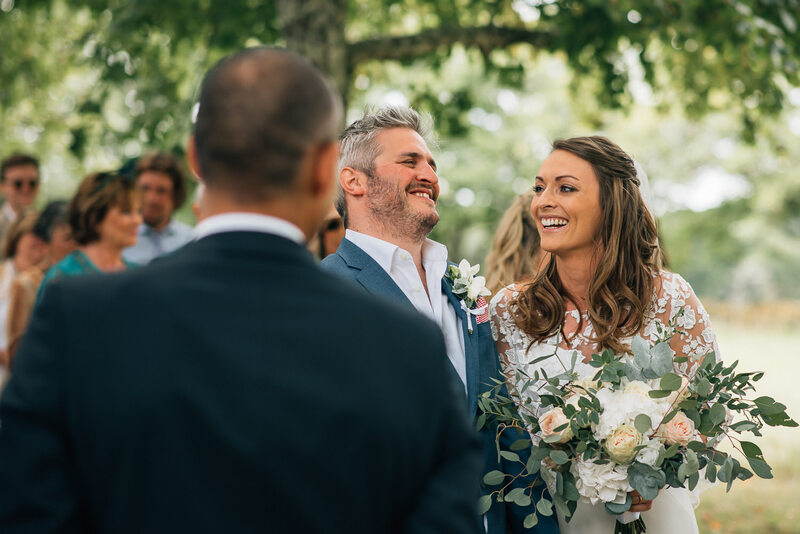 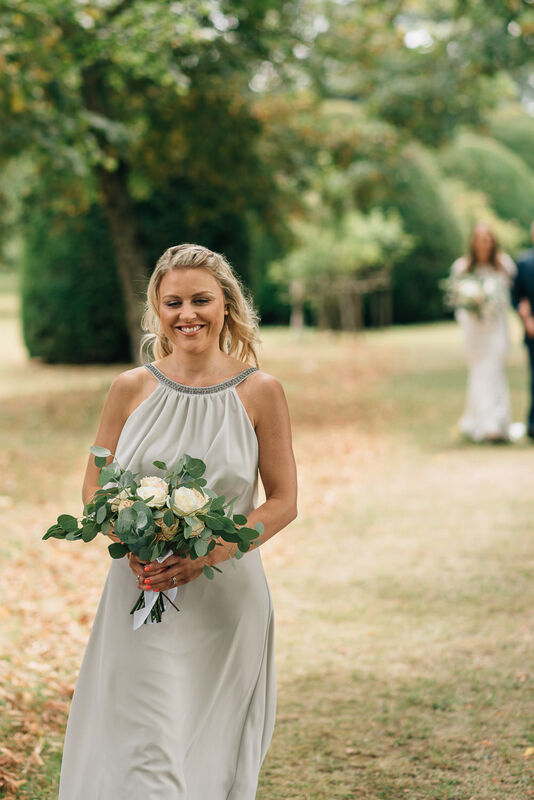 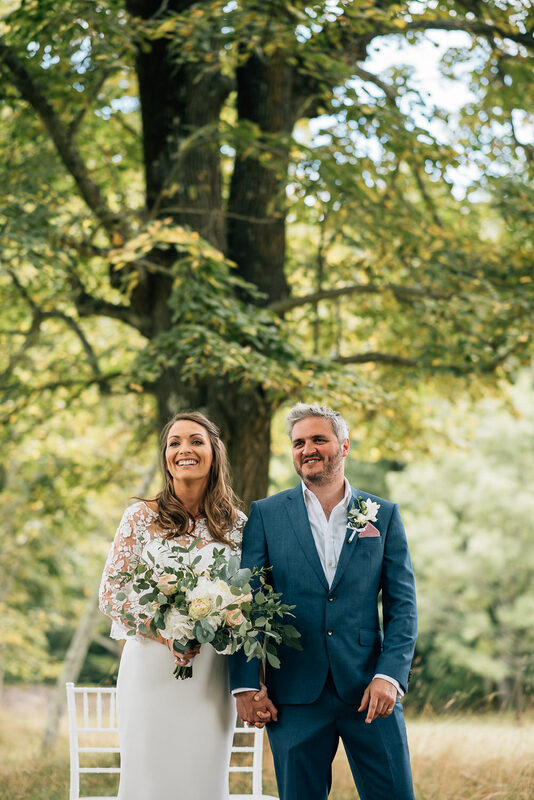 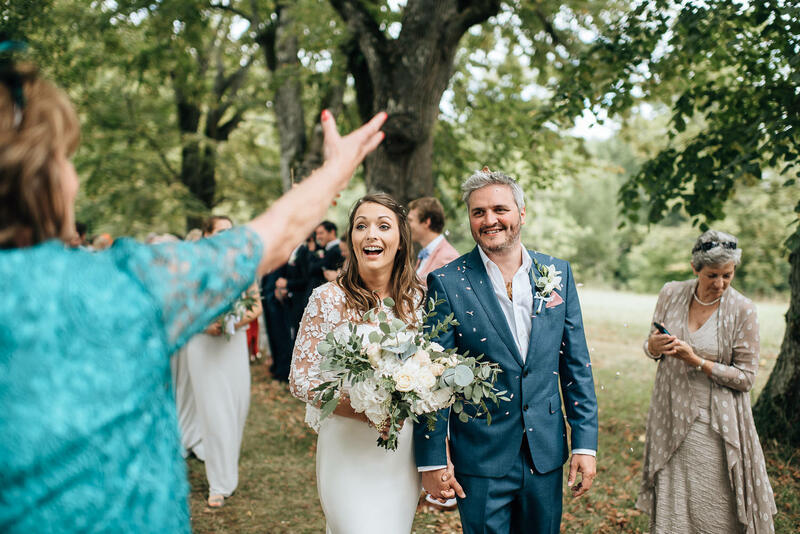 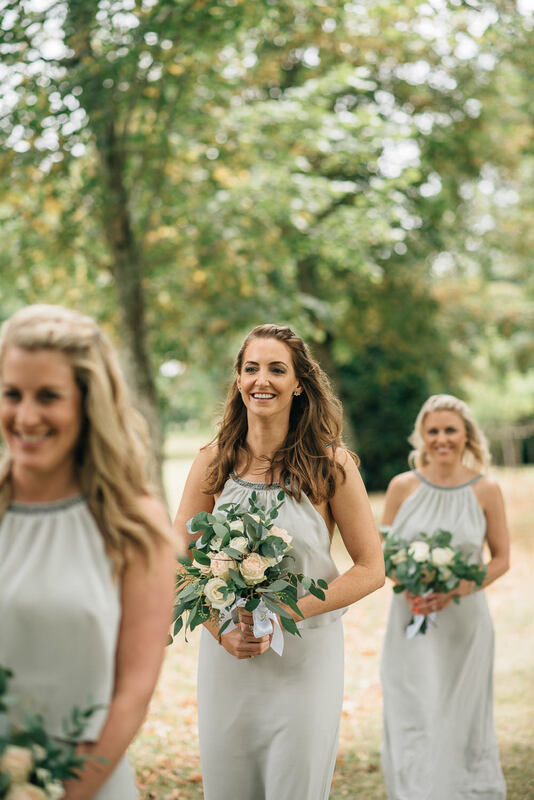 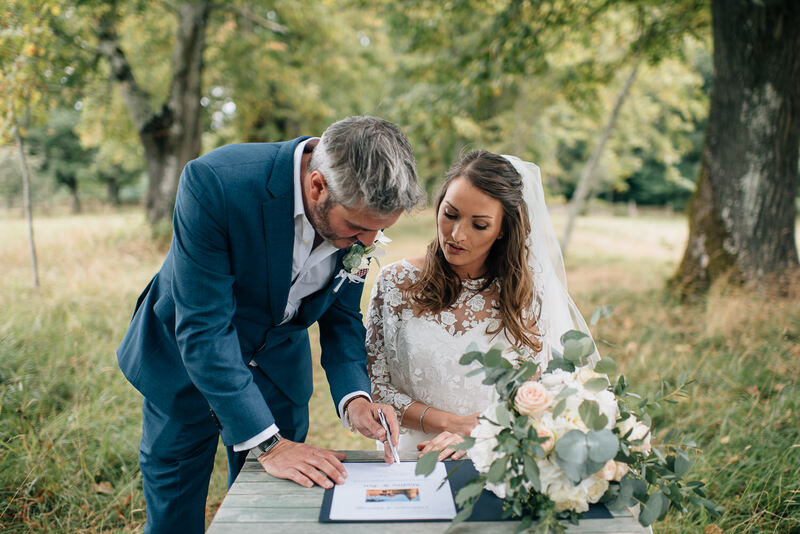 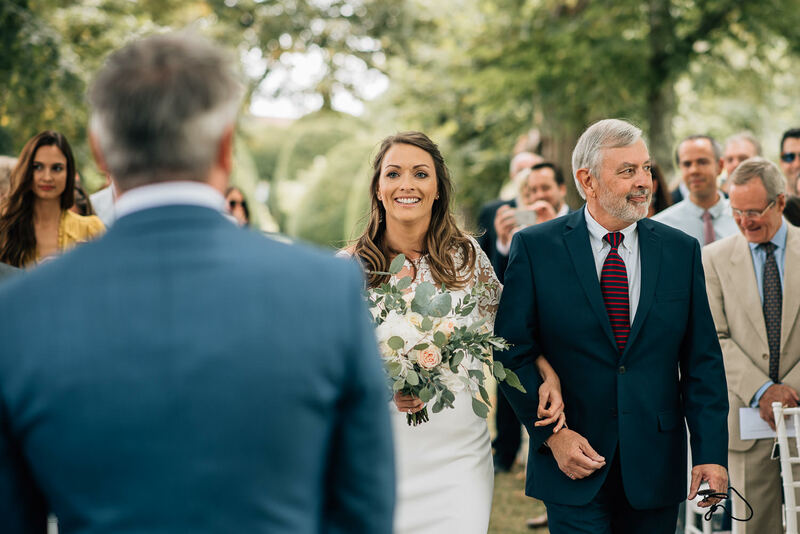 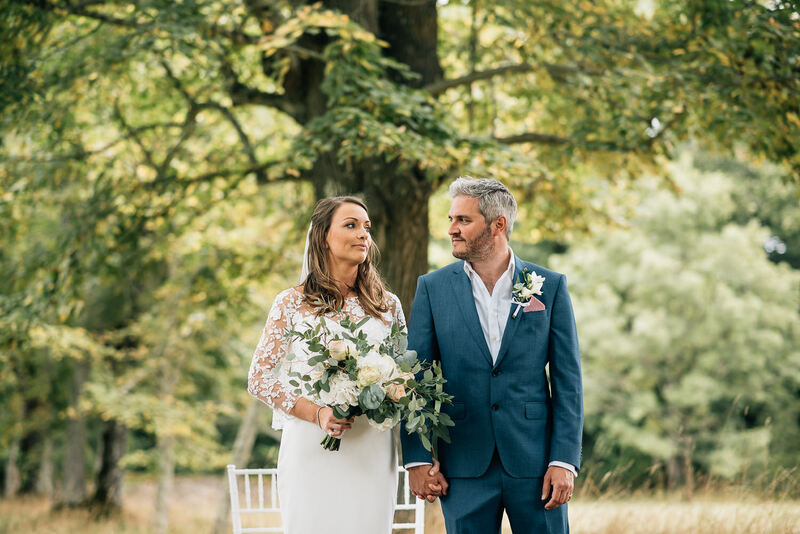 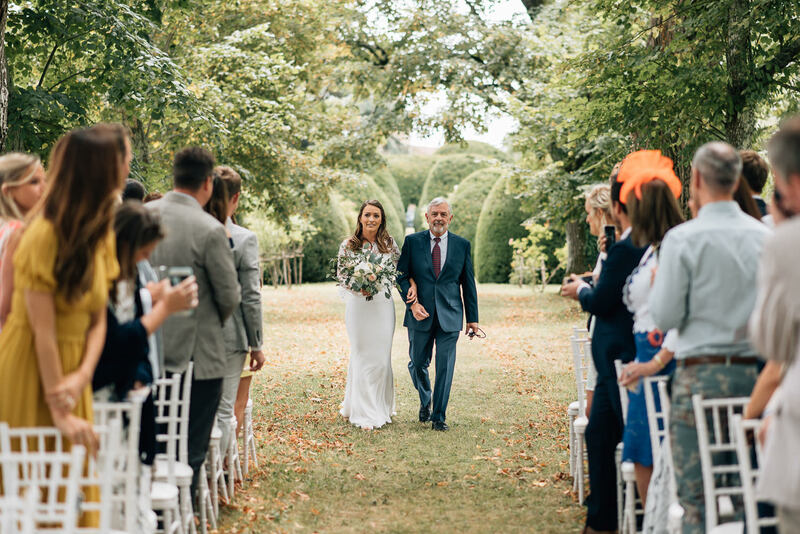 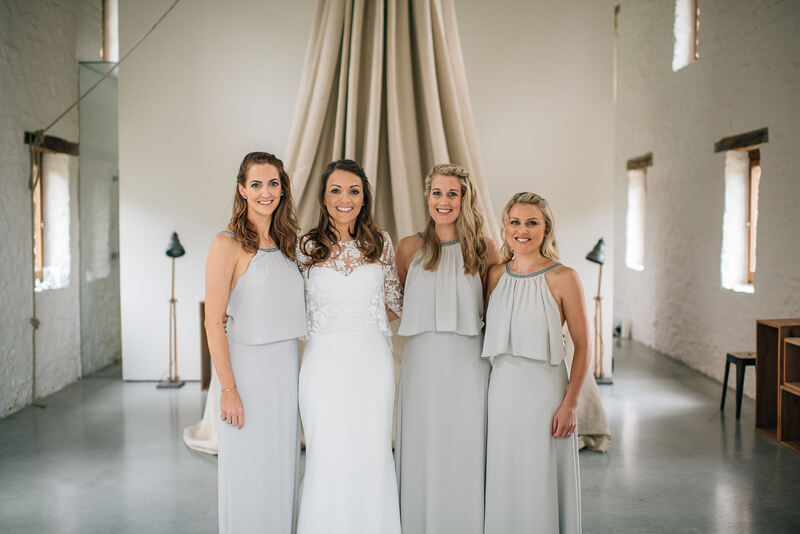 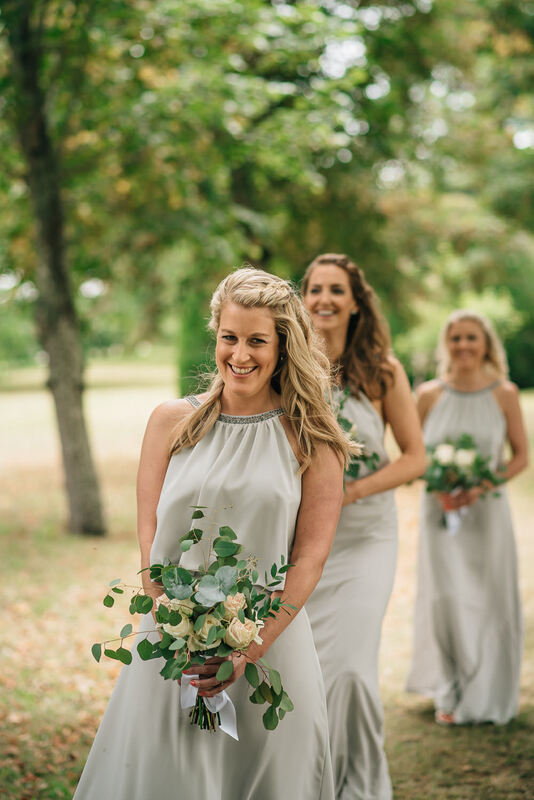 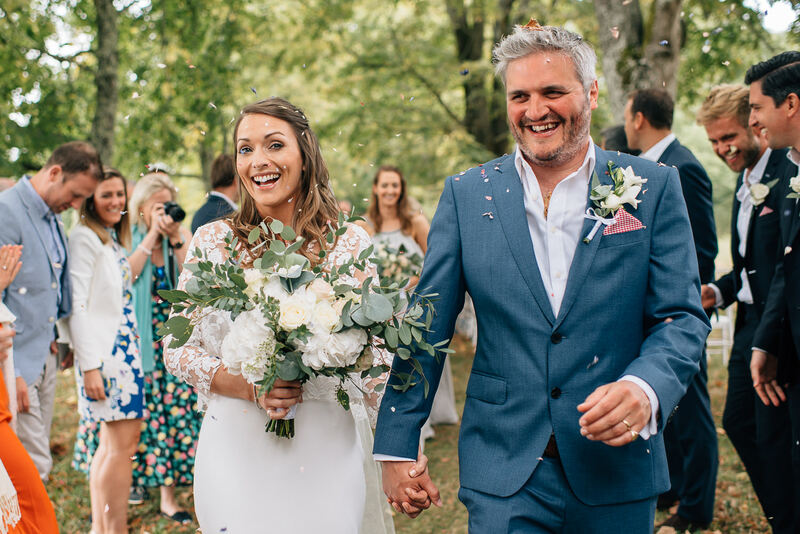 Nadine looked stunning in her Rime Arodaky & Enzoani dress as she emerged to walk towards an expectant Ben, ably supported by his small army of ushers. 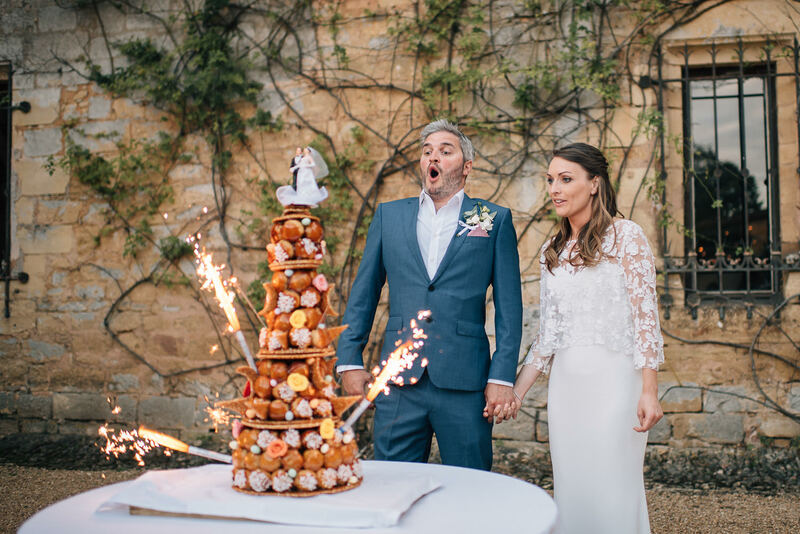 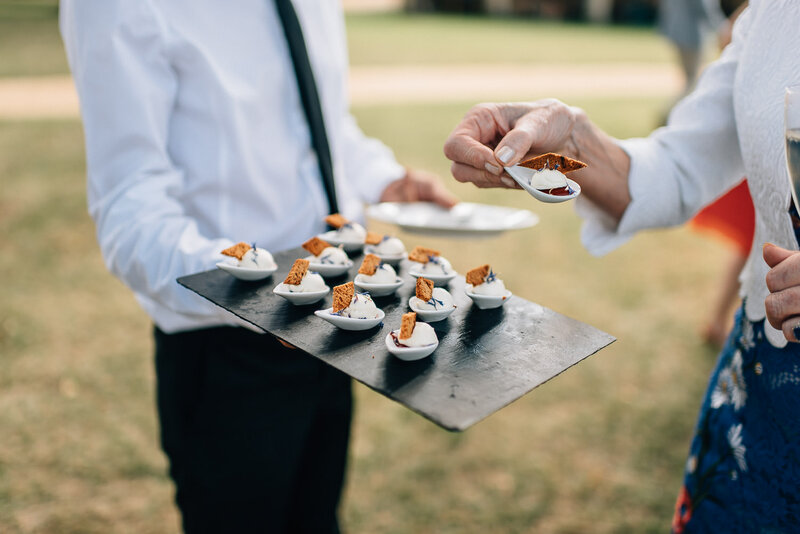 If fellow foodie Ben’s Instagram was anything to go by the catering was going to be something special and on this front it did not disappoint! 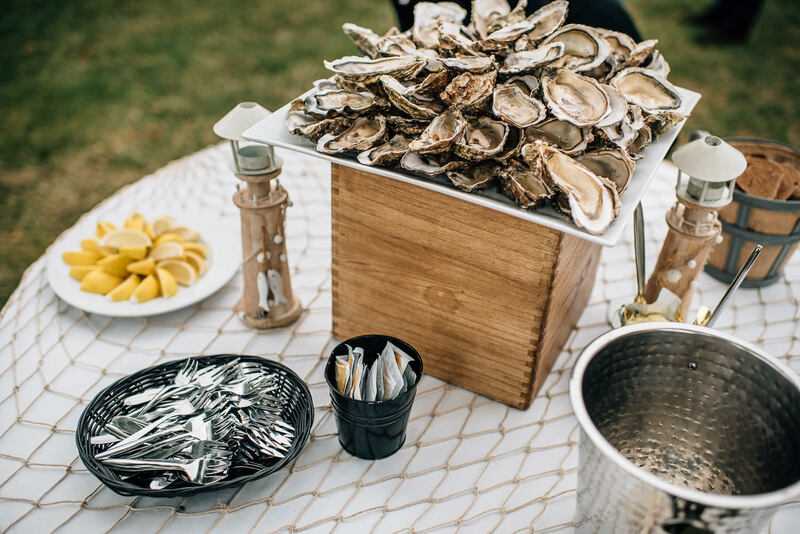 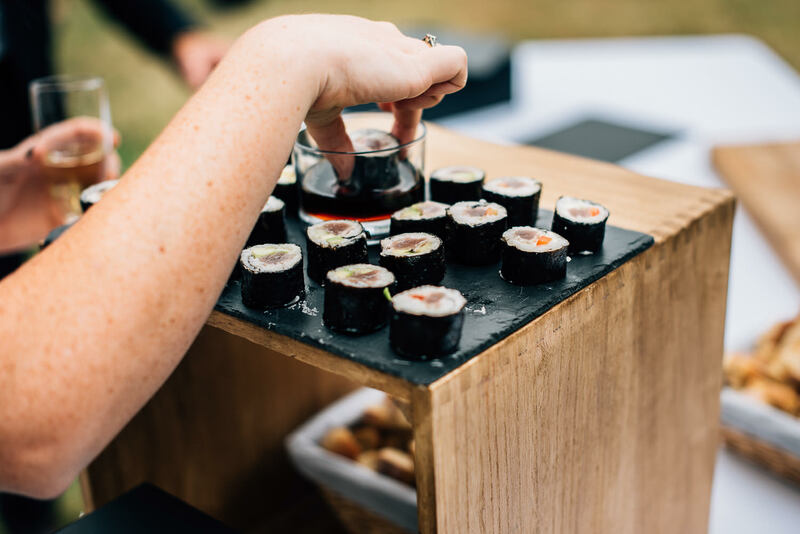 Rounds of oysters, sushi and some of the finest rose we’ve ever tasted. 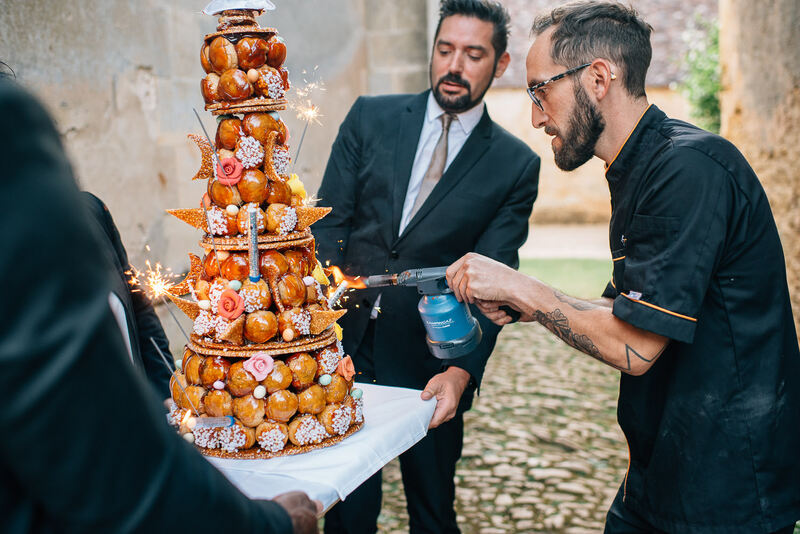 The piece of resistance however was the gigantic flaming croque en bouche (when in France hey!). 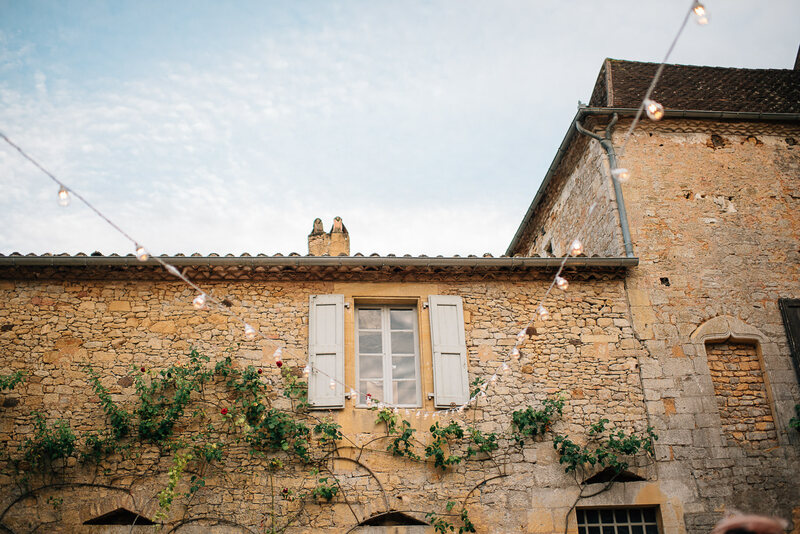 The dinner/reception was held in the chateau courtyard which looked like something out of a movie beautifully lit up with festoon lights. 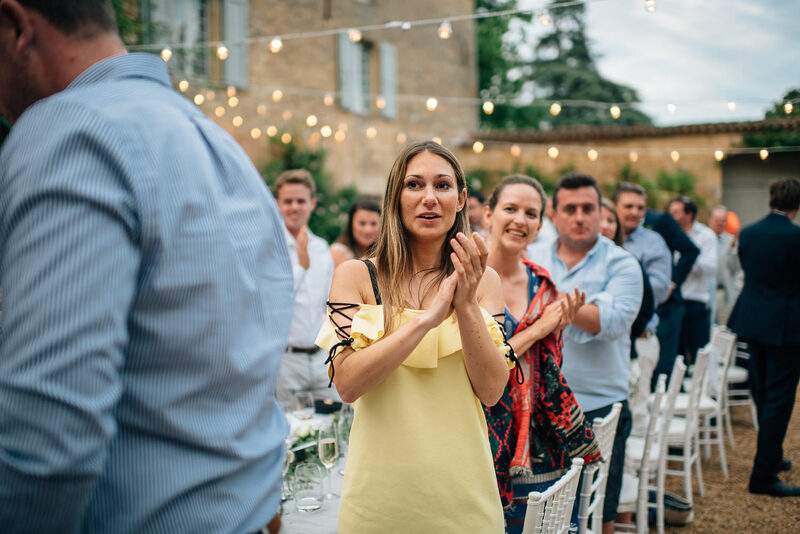 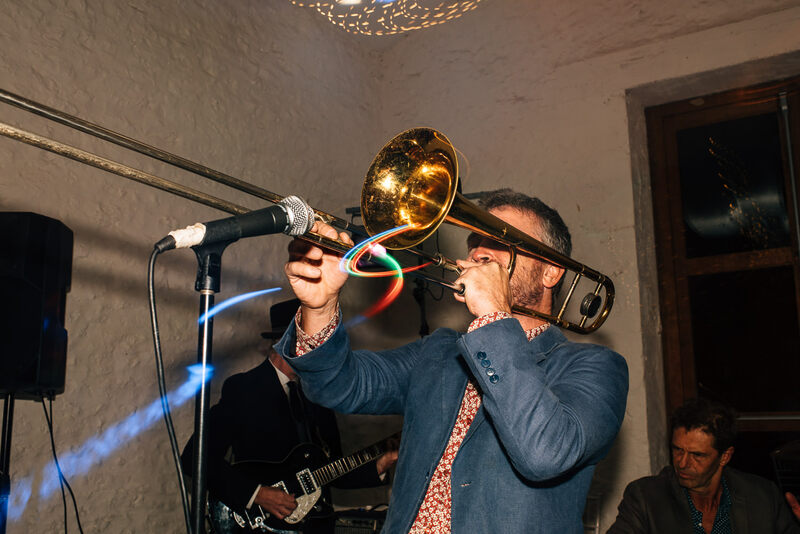 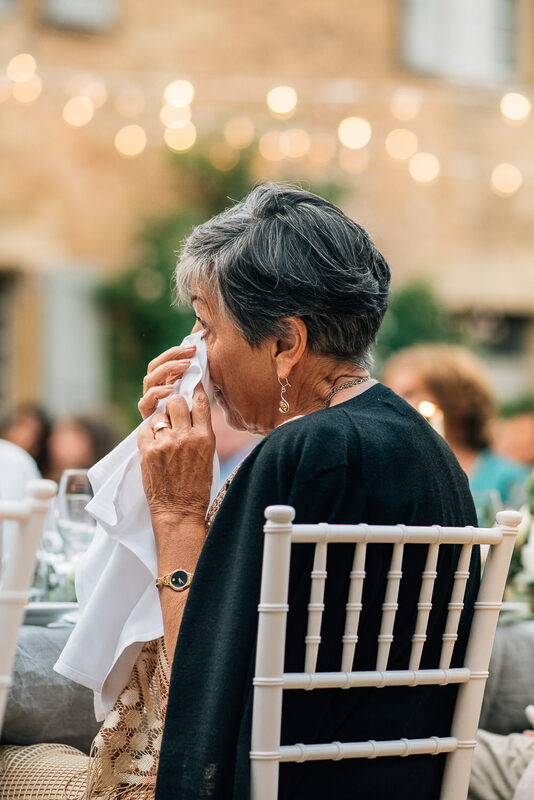 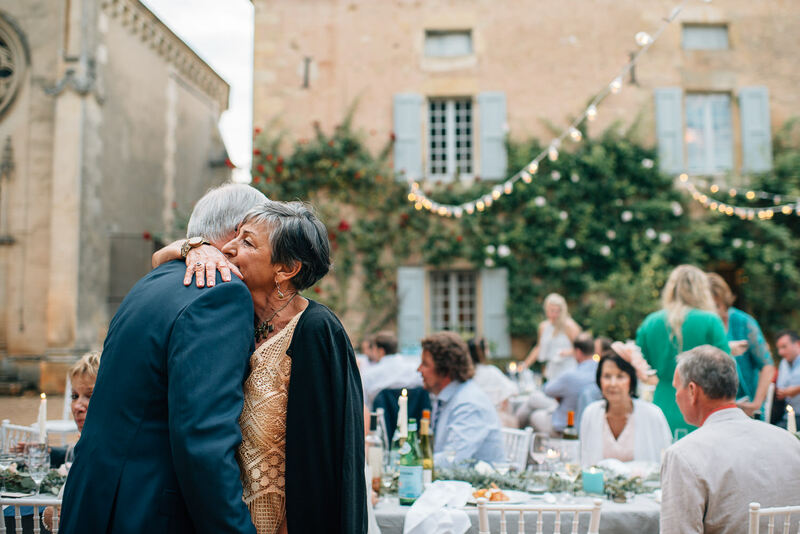 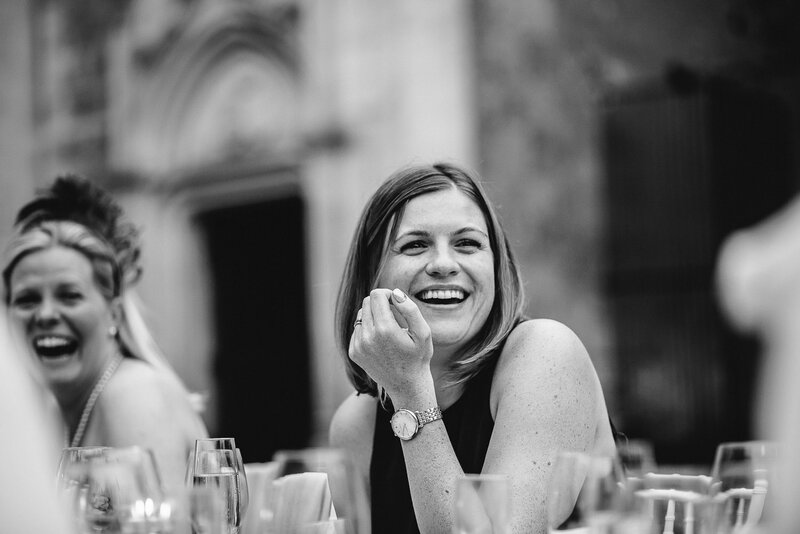 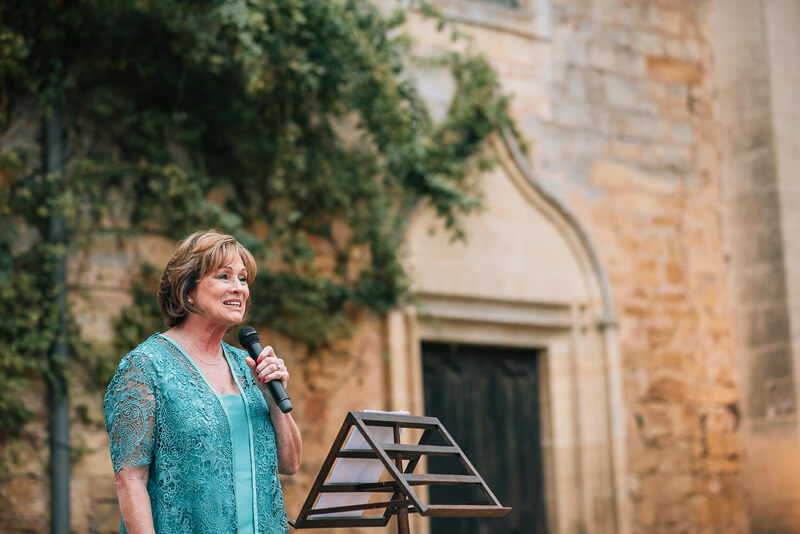 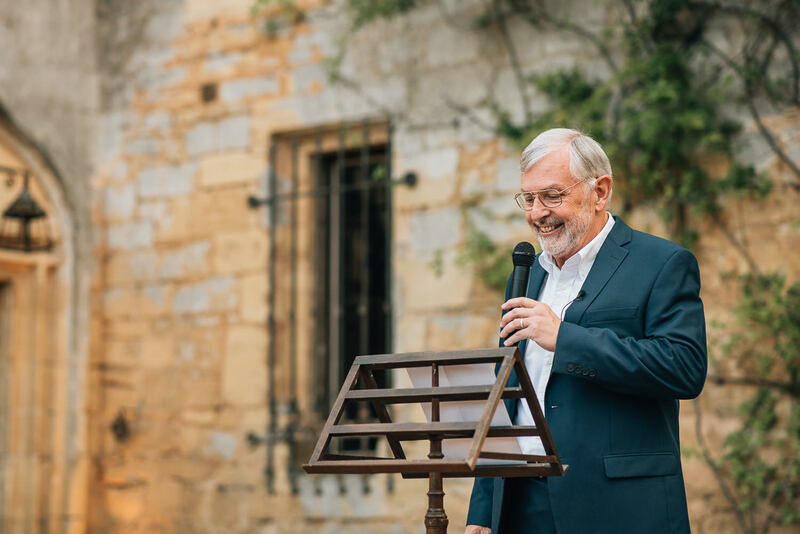 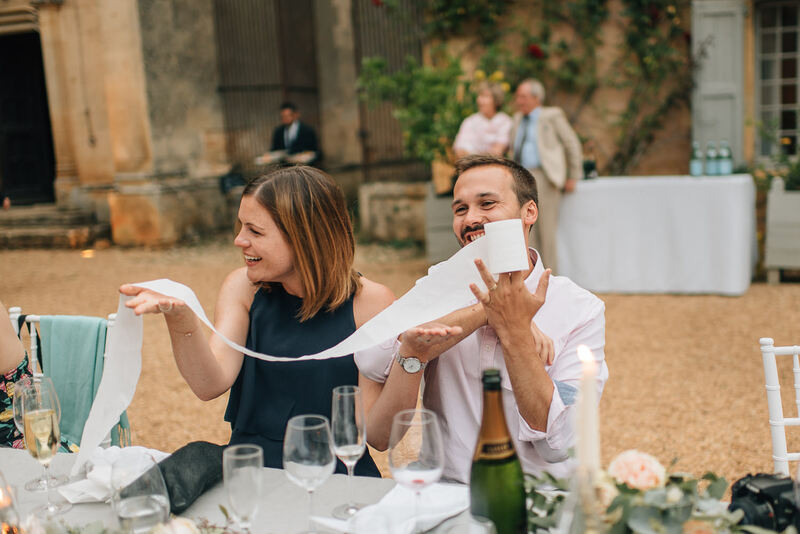 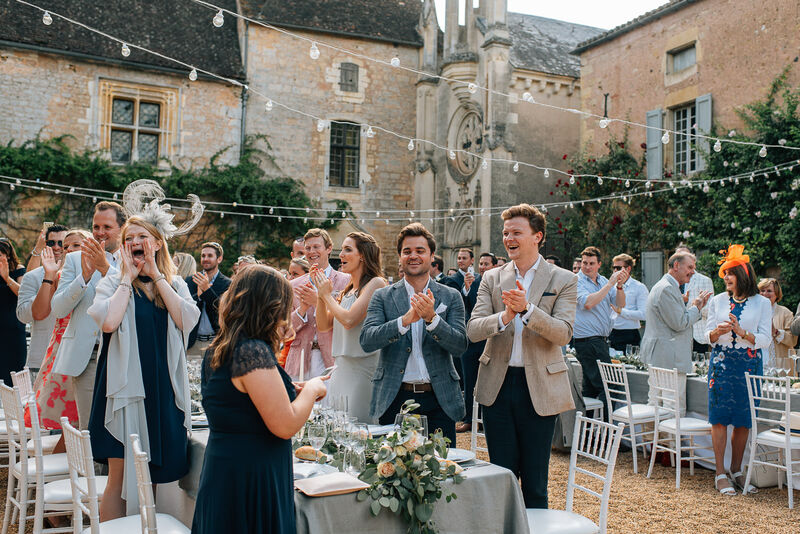 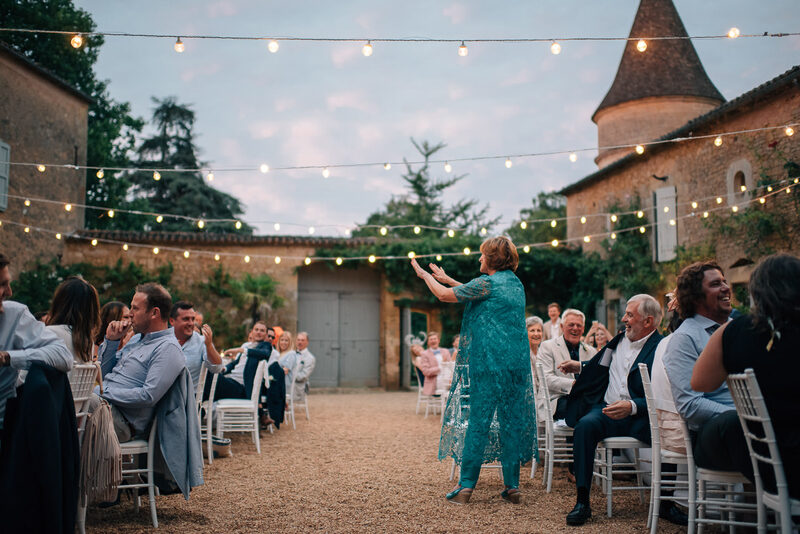 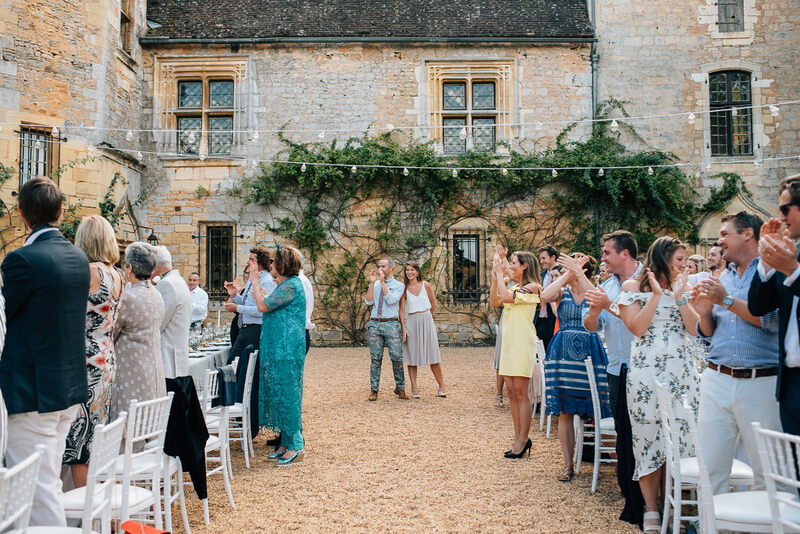 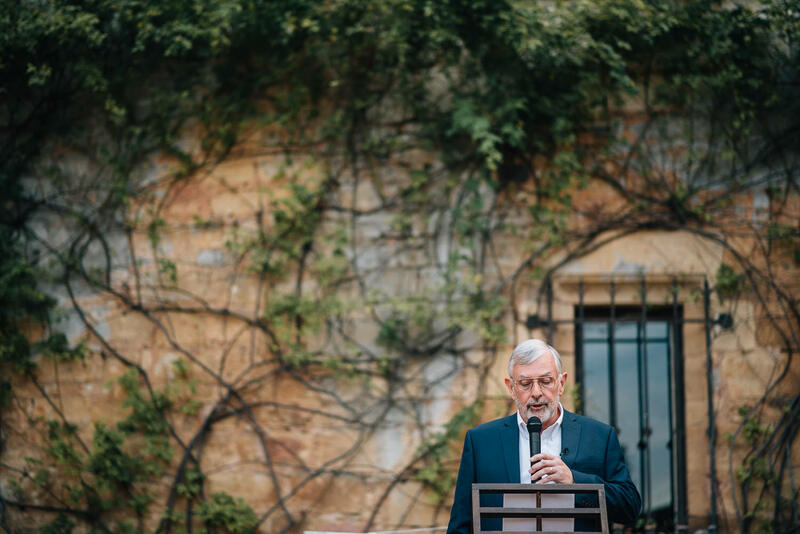 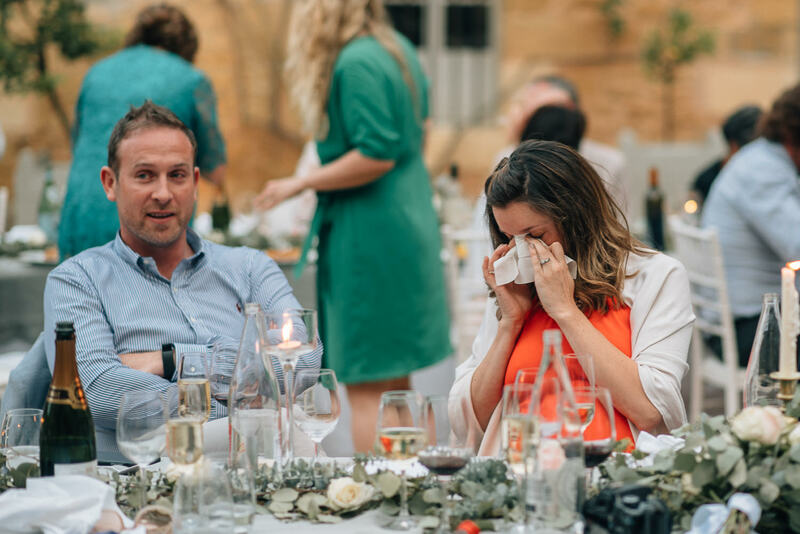 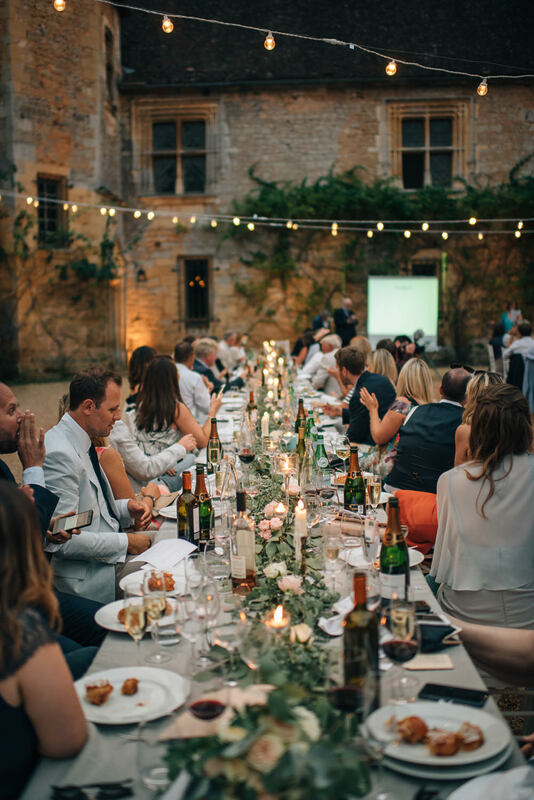 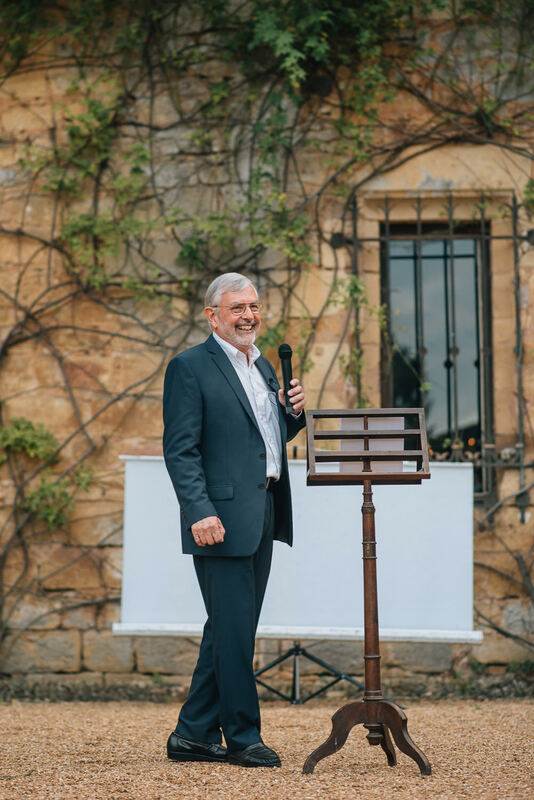 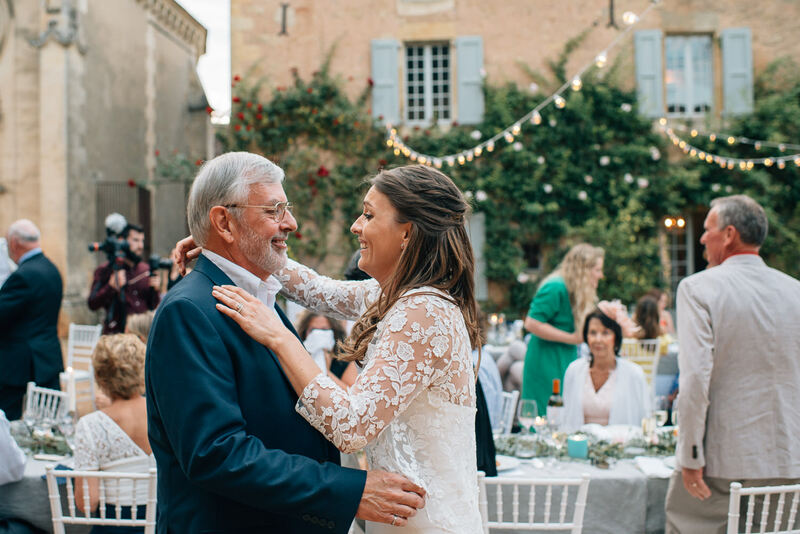 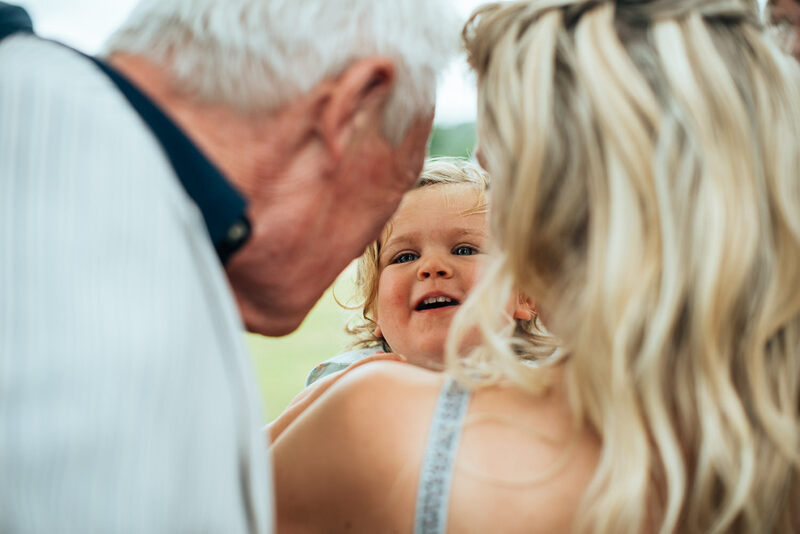 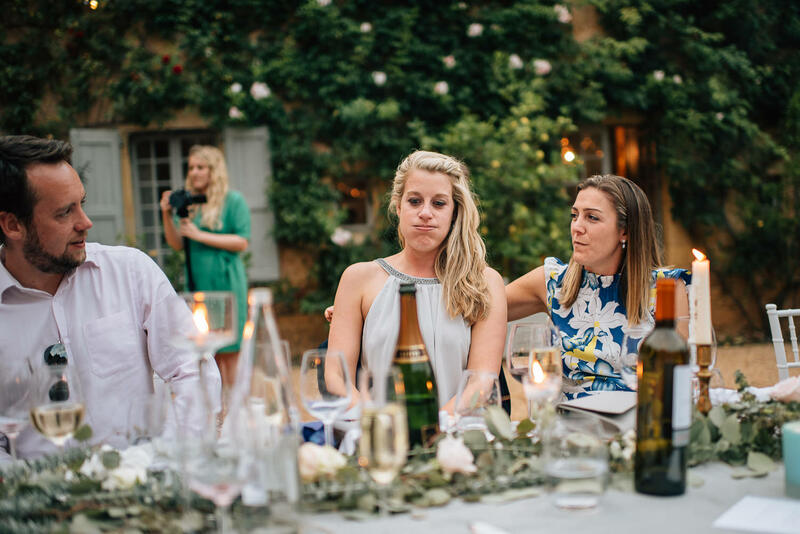 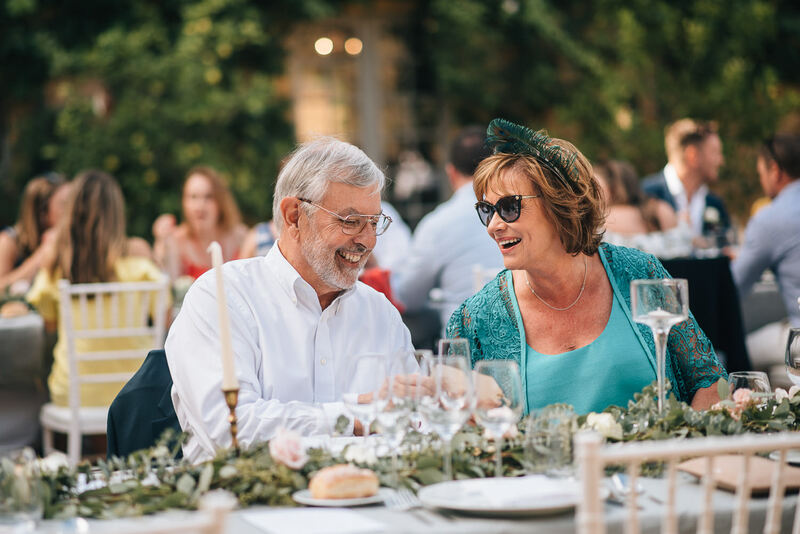 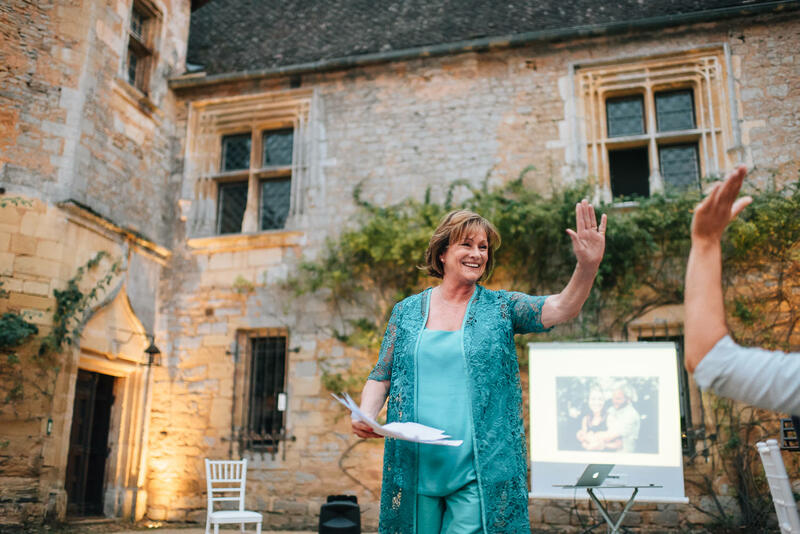 As the sun dipped below the chateau courtyard and the speeches drew to a close there was hardly a dry eye in the house. 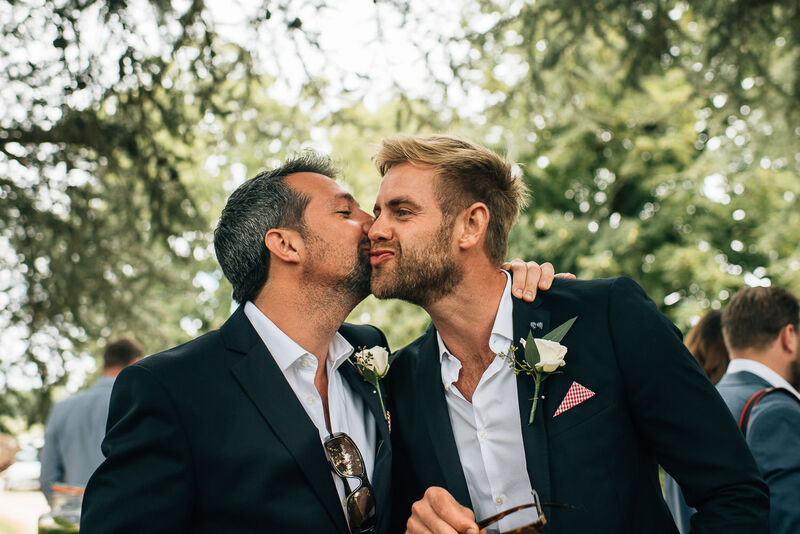 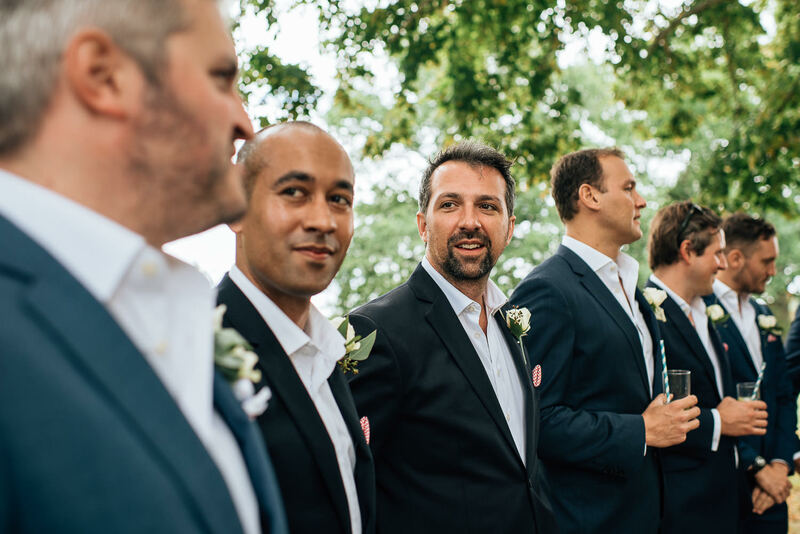 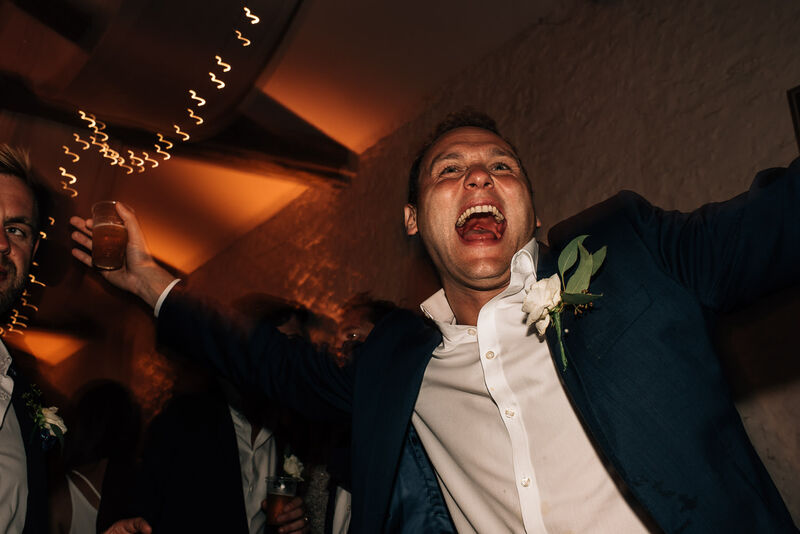 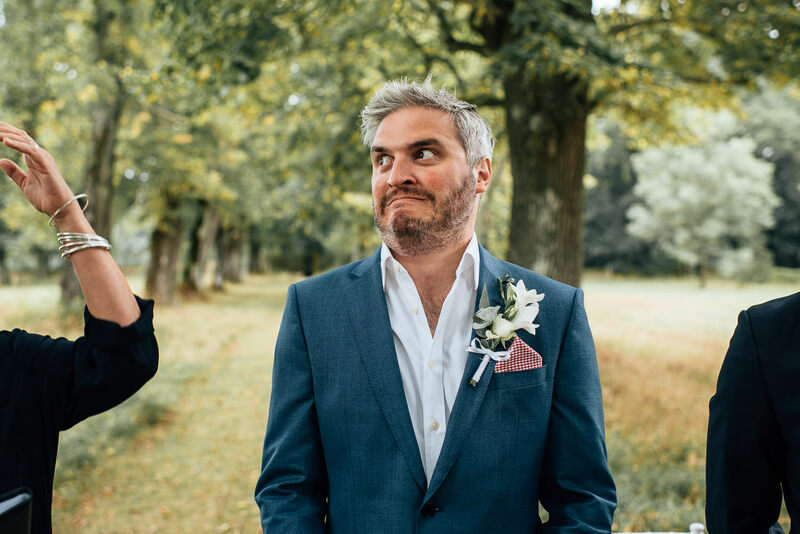 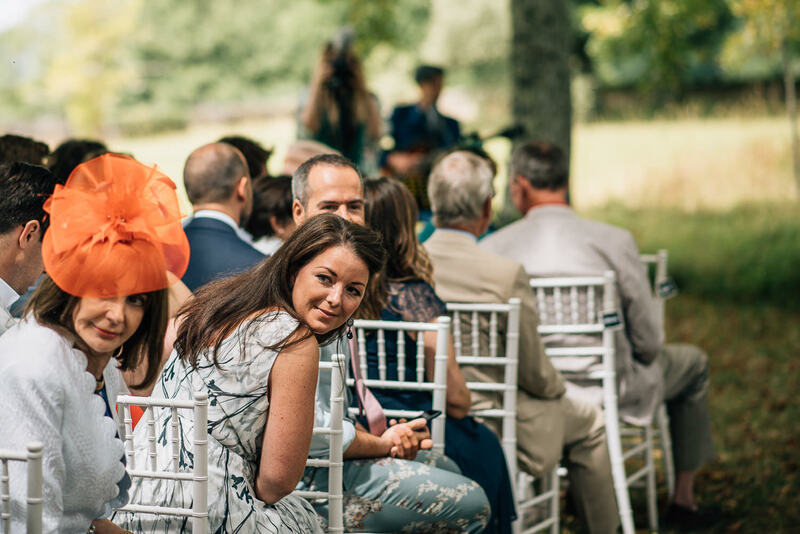 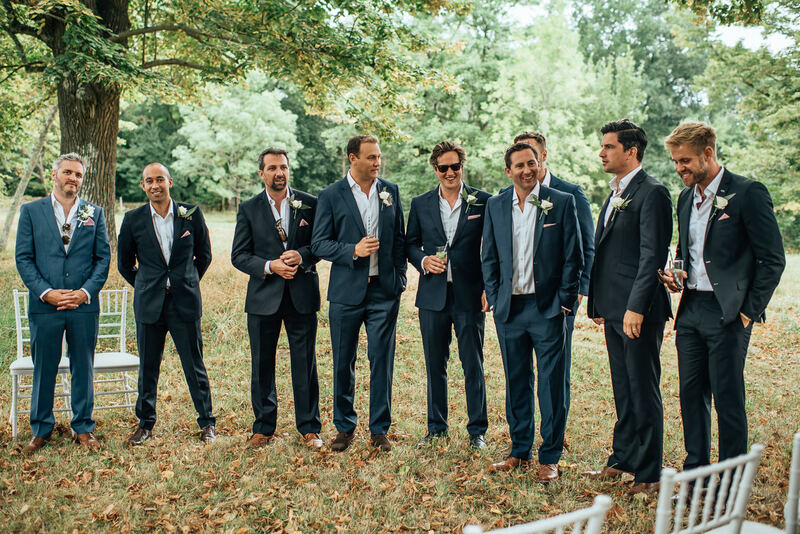 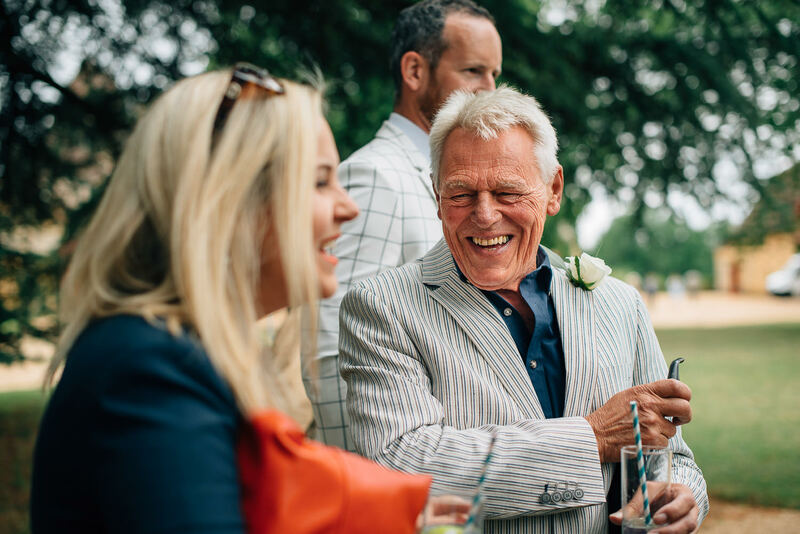 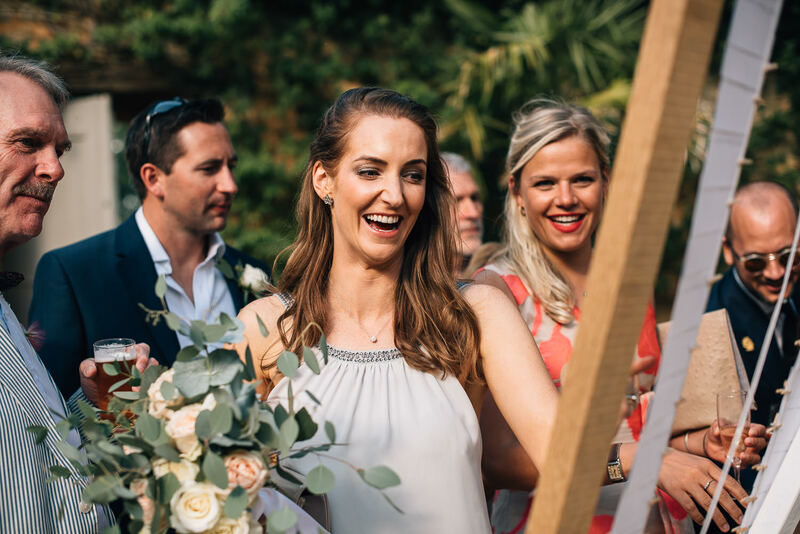 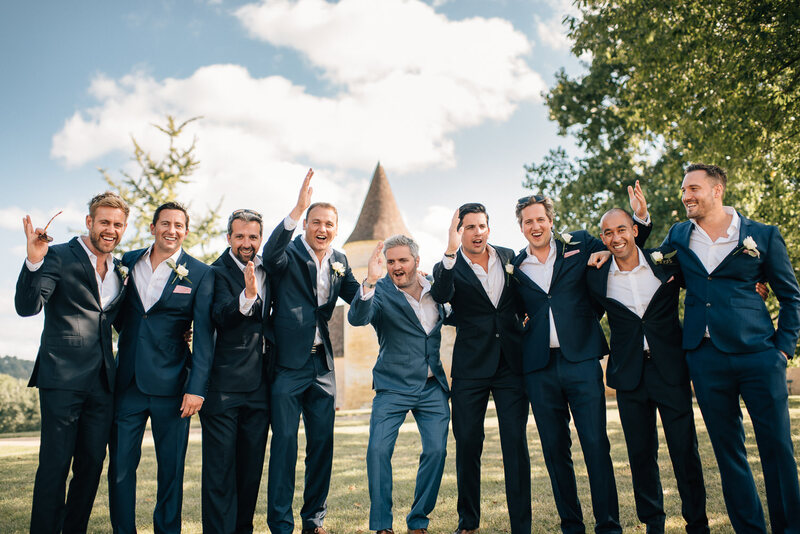 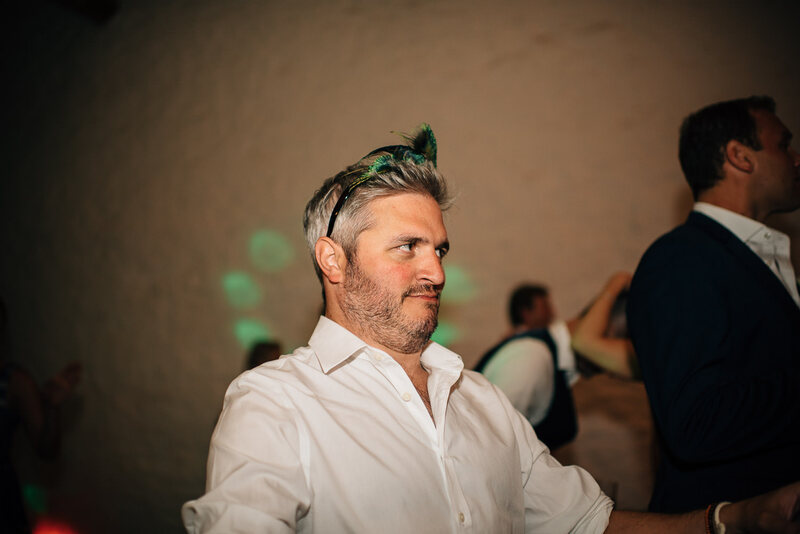 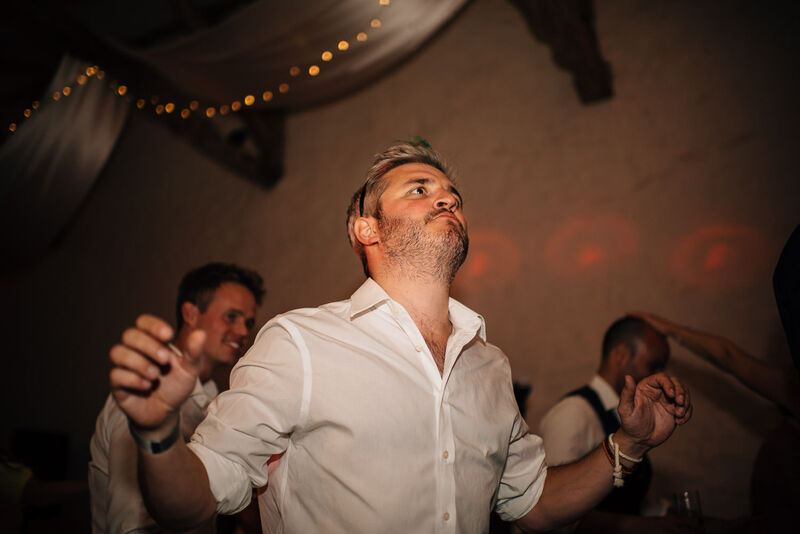 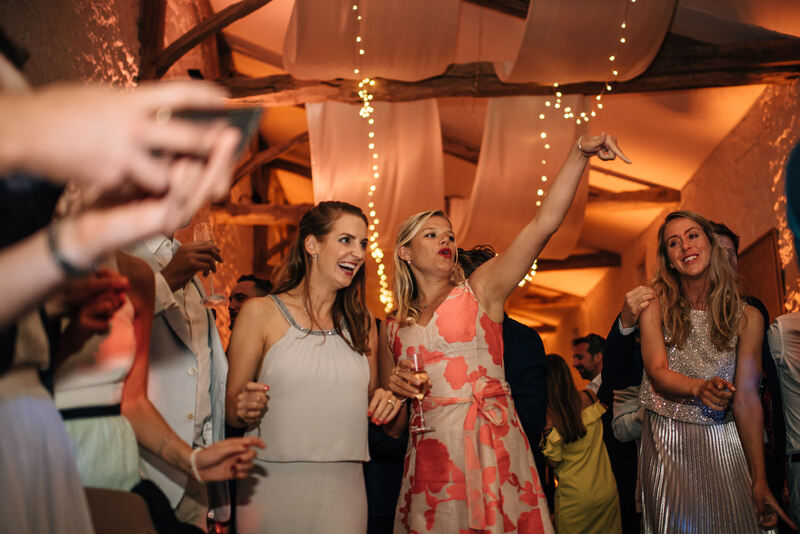 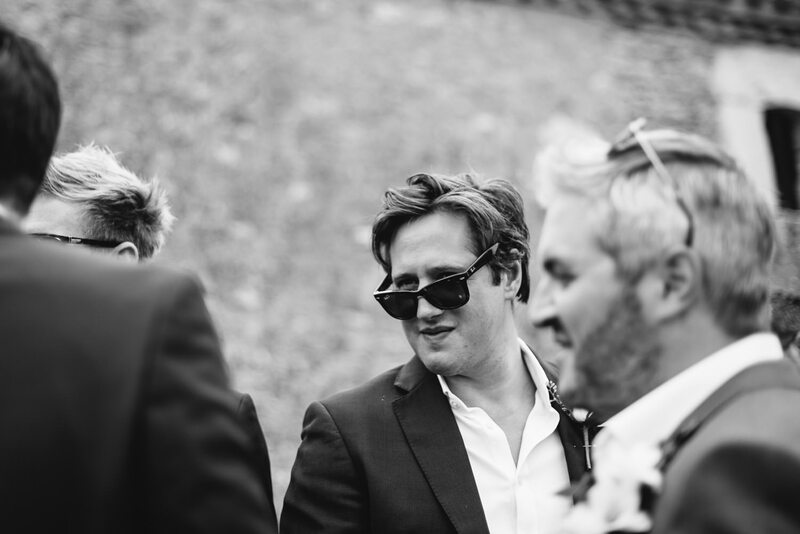 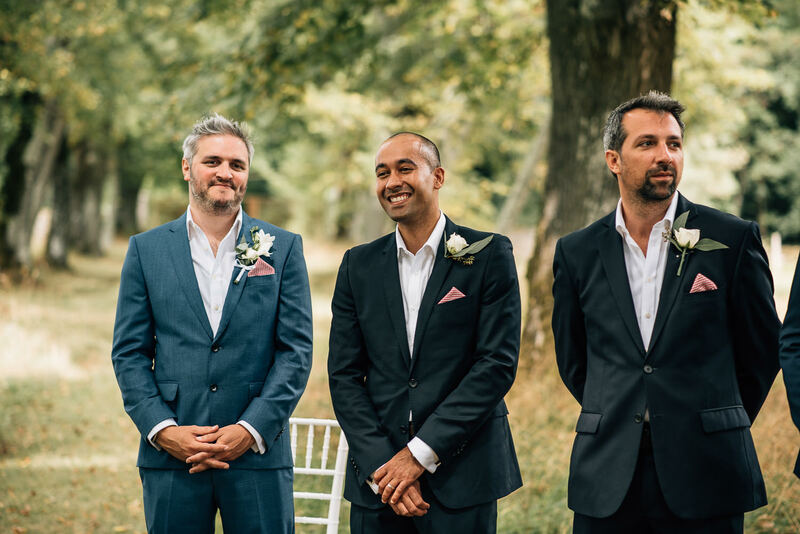 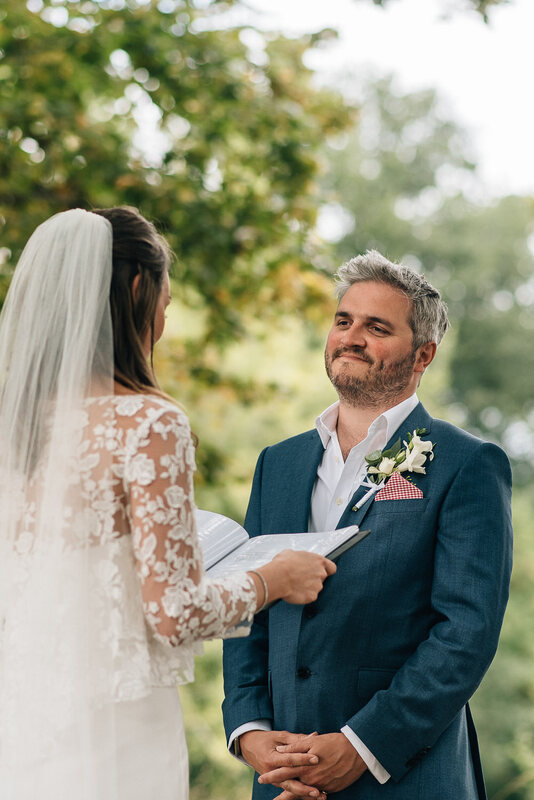 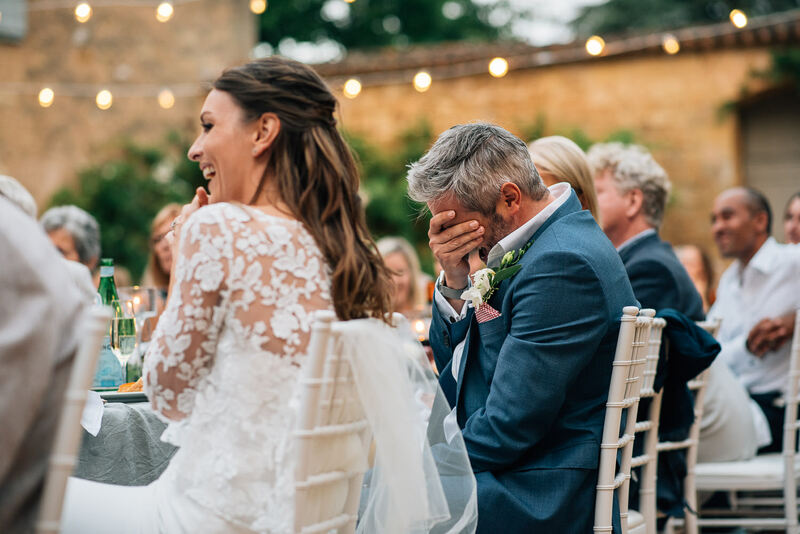 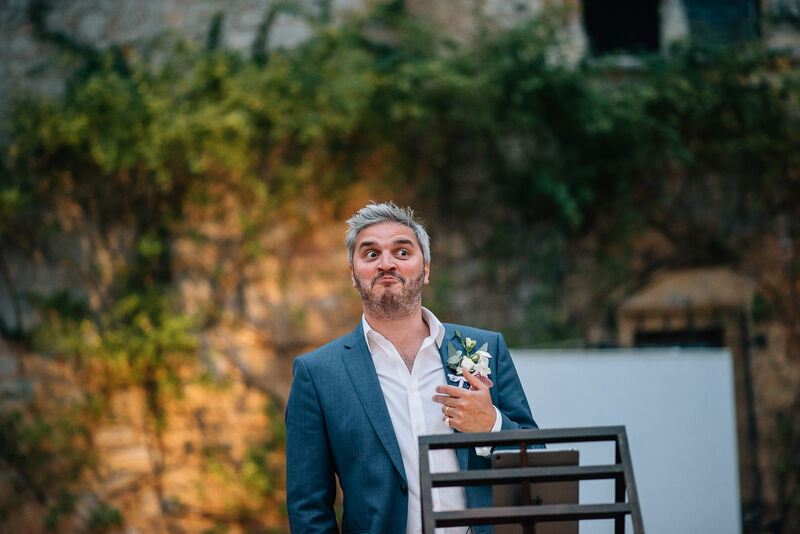 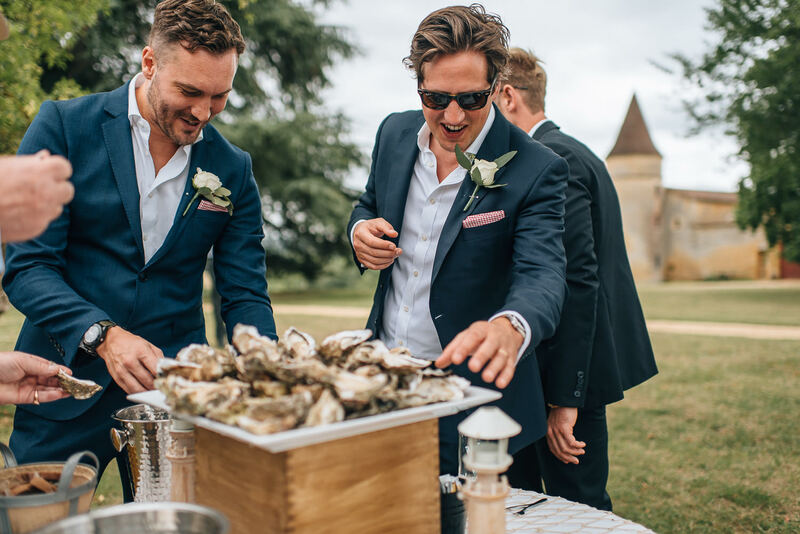 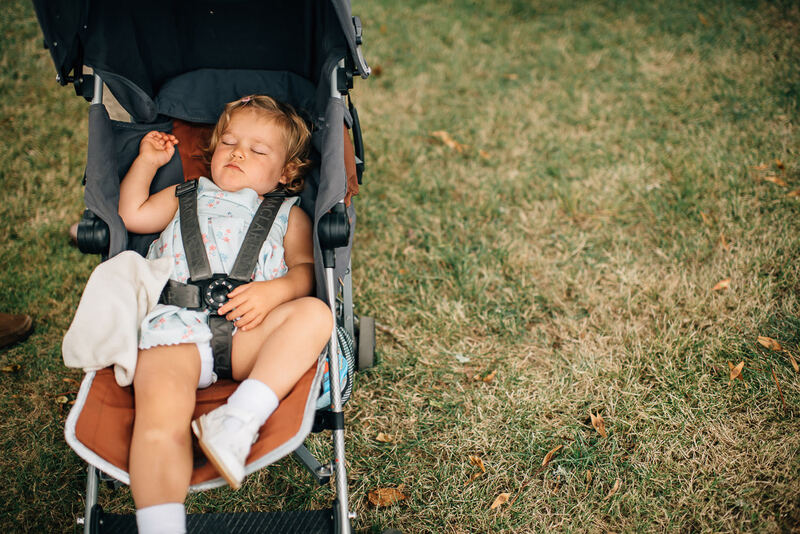 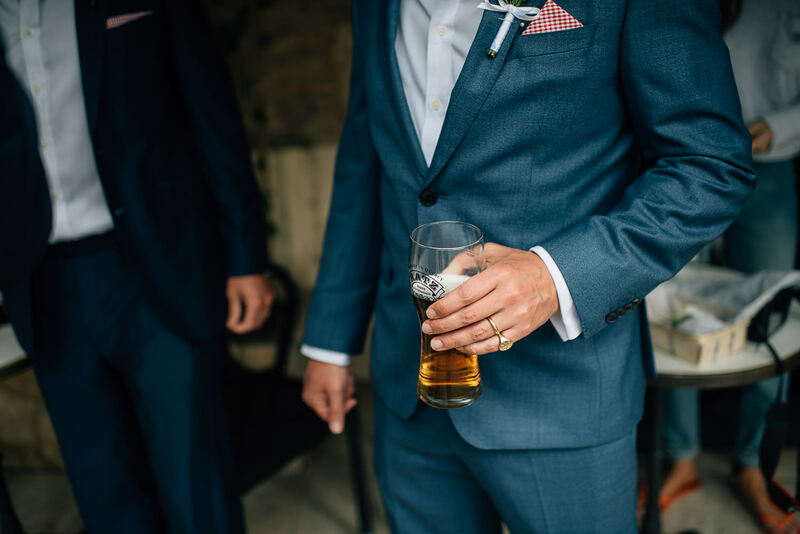 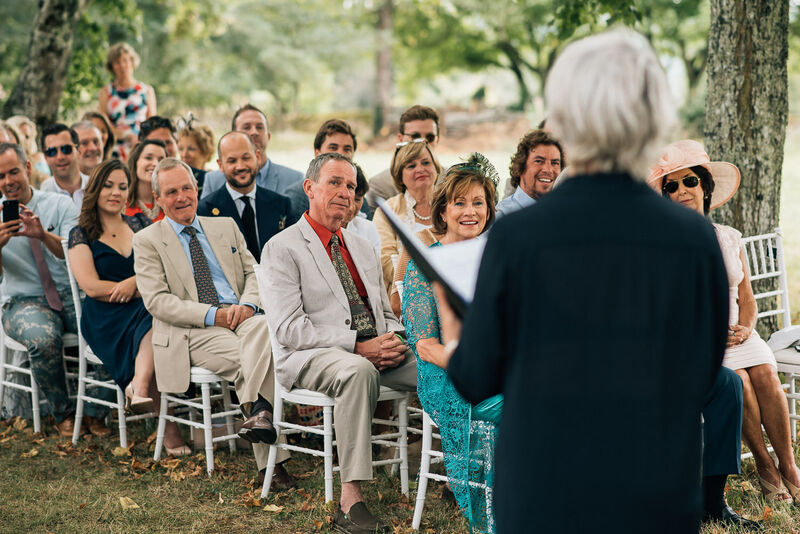 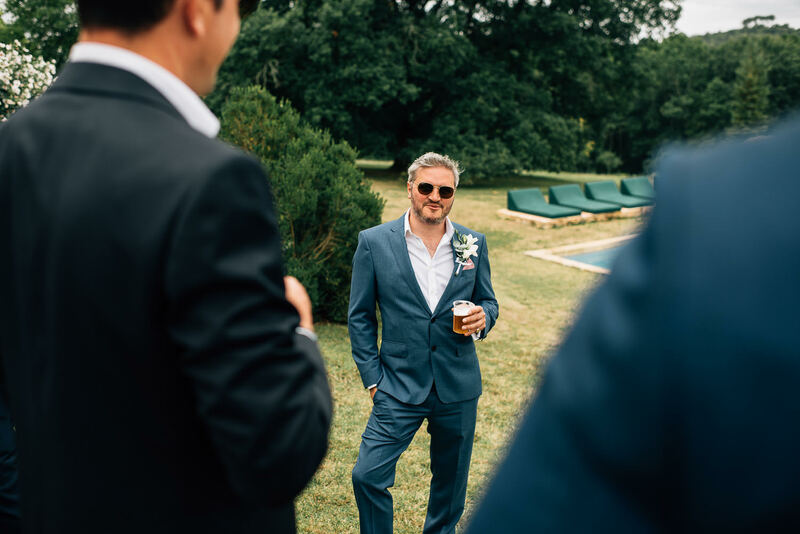 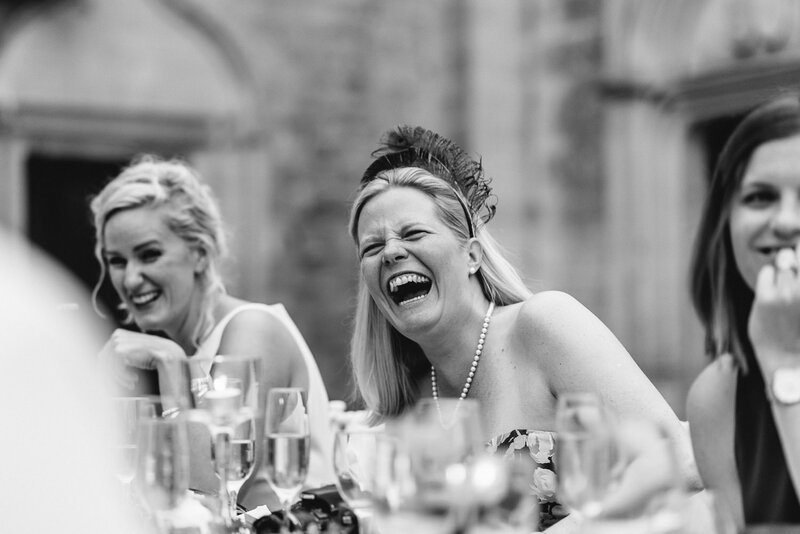 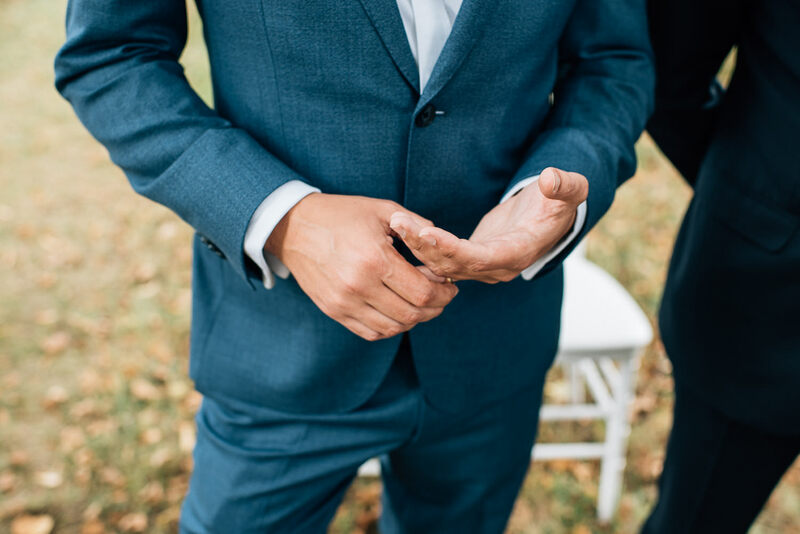 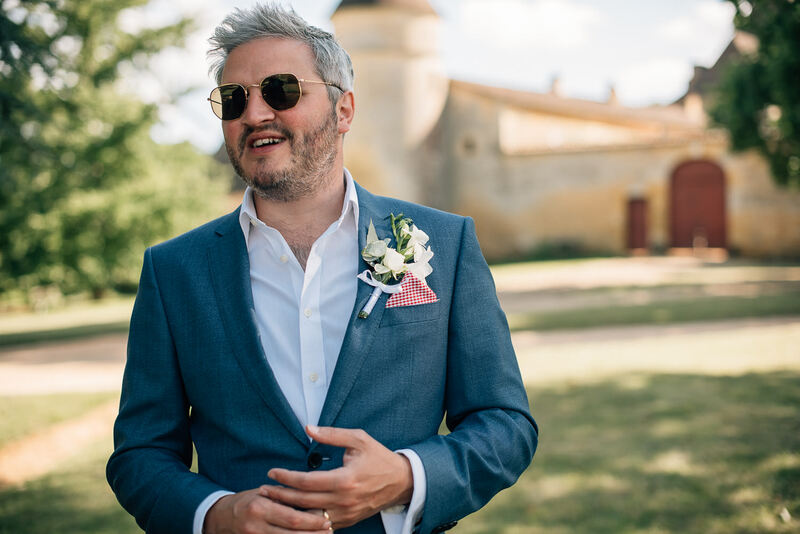 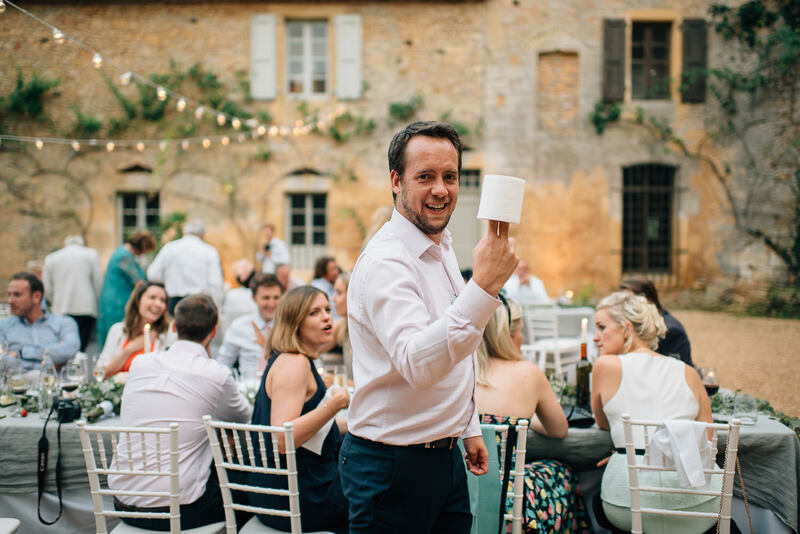 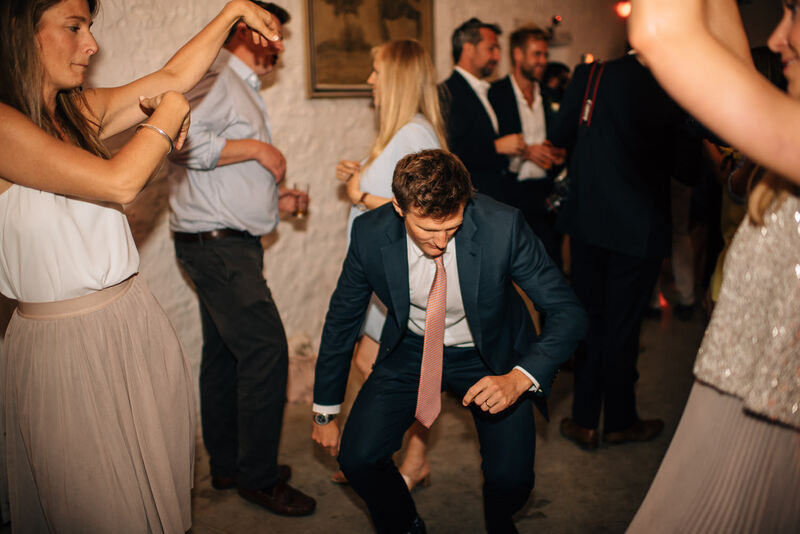 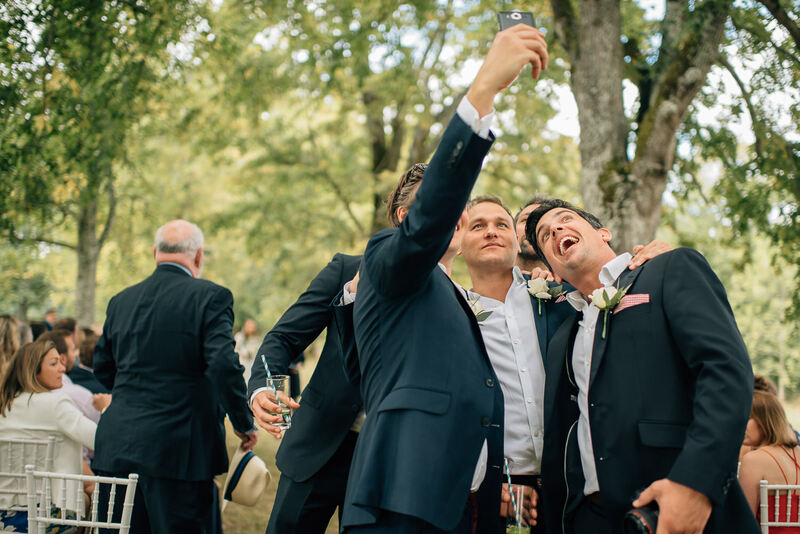 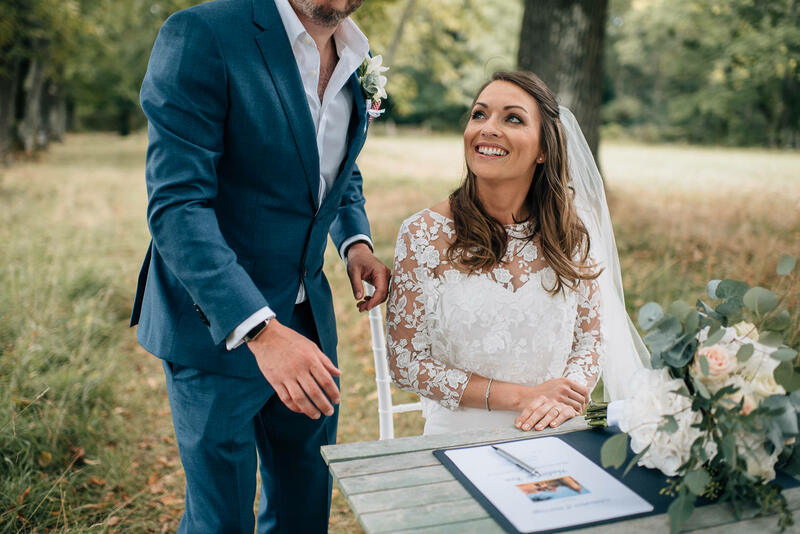 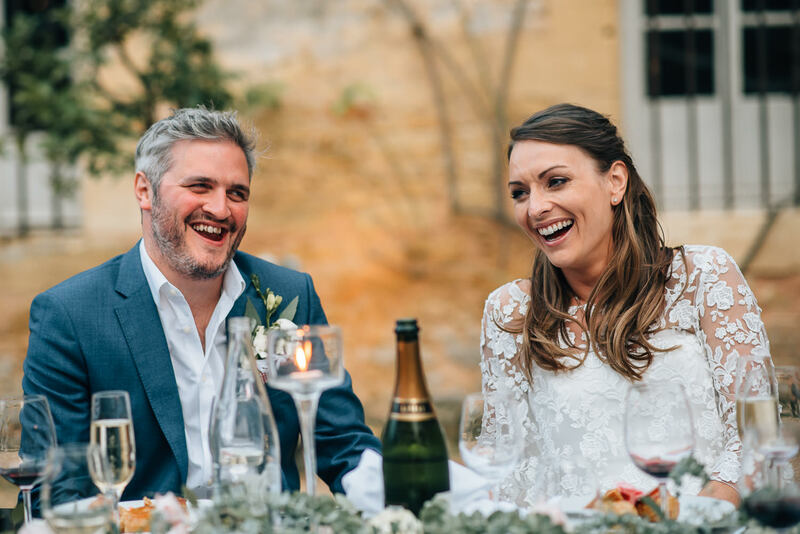 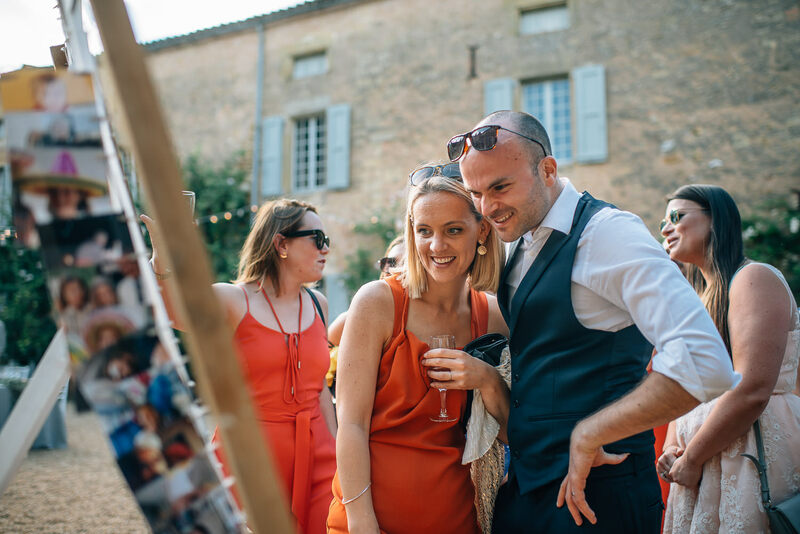 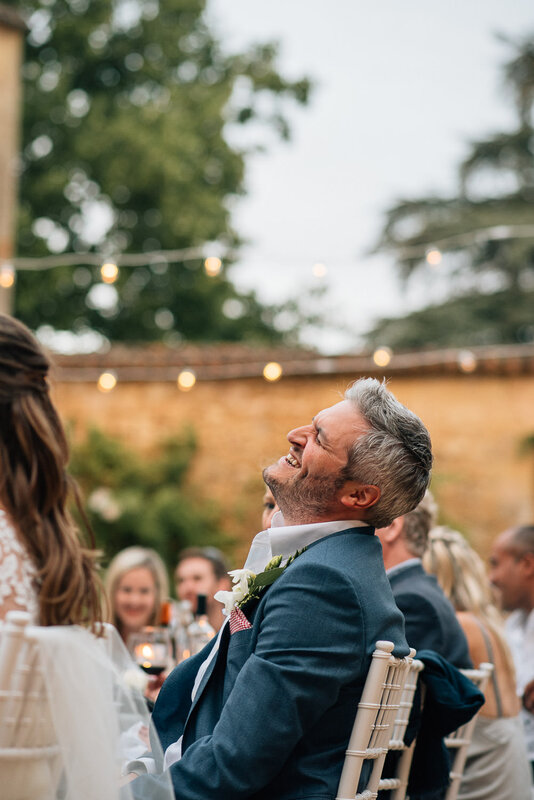 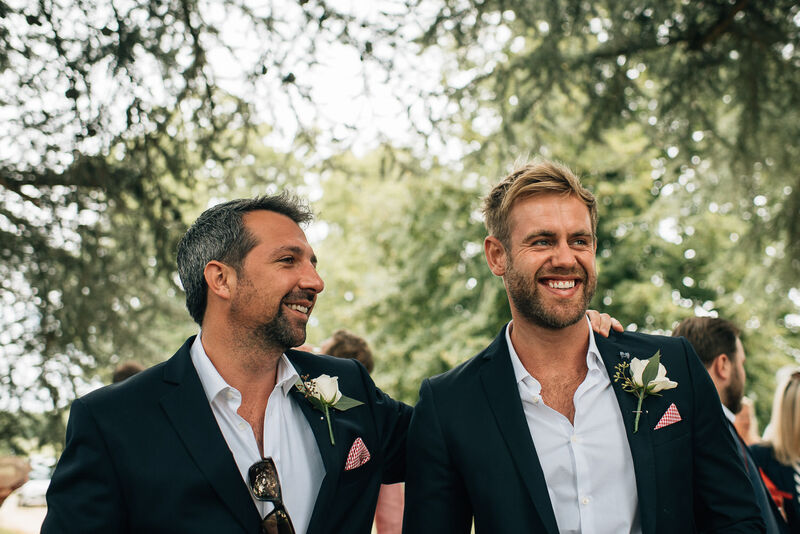 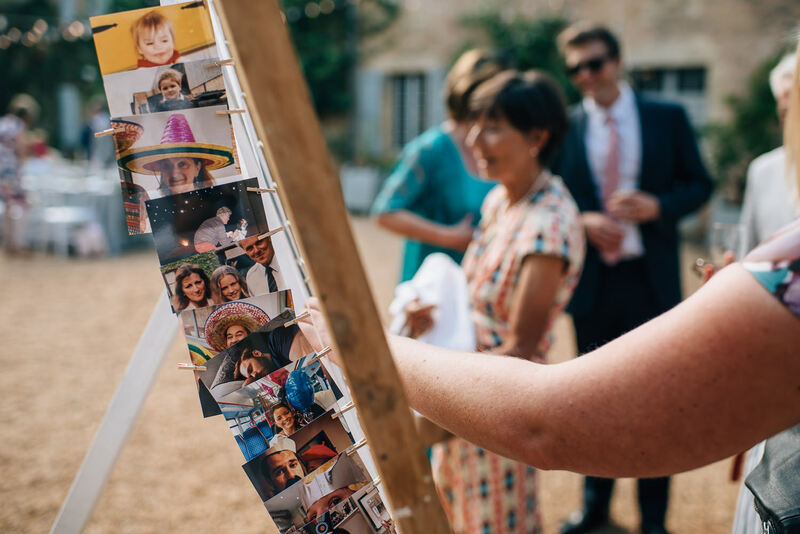 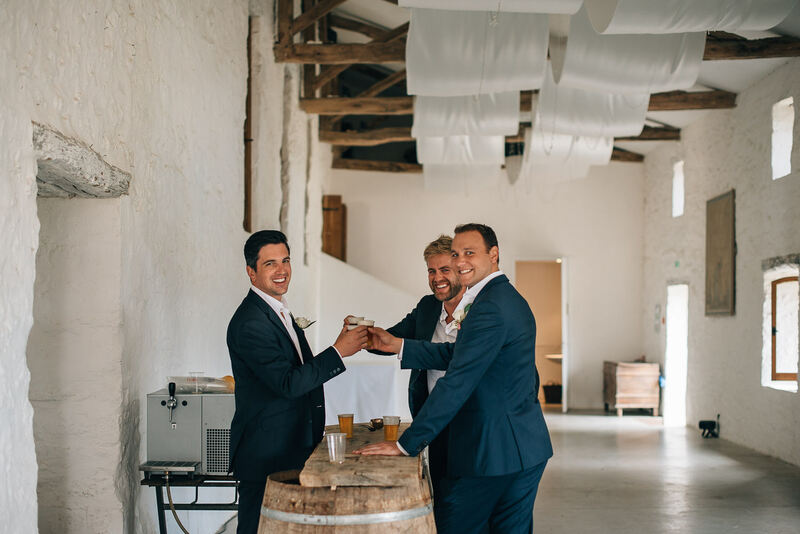 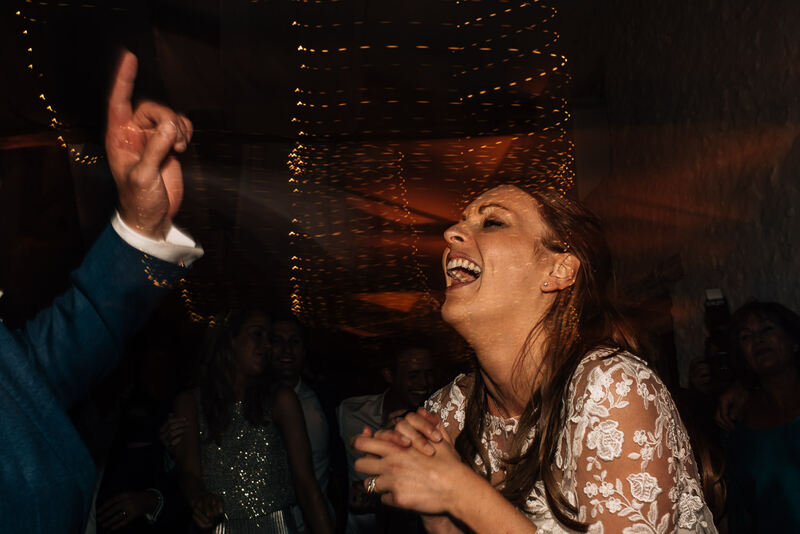 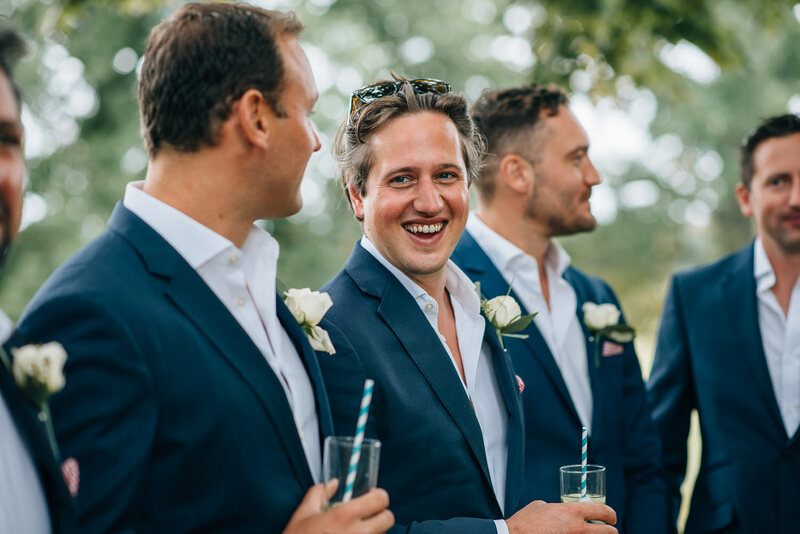 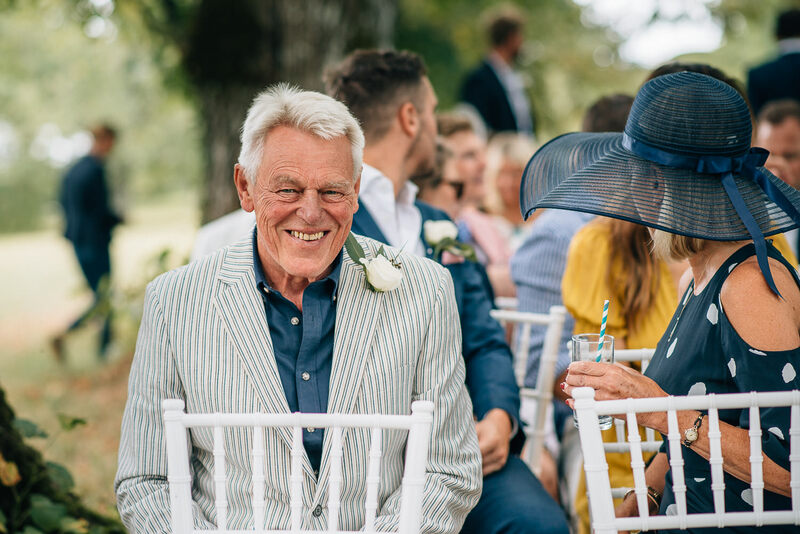 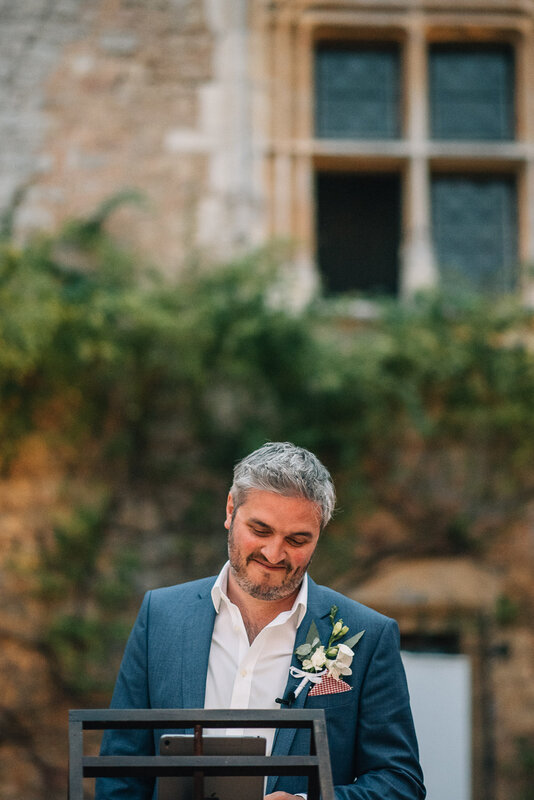 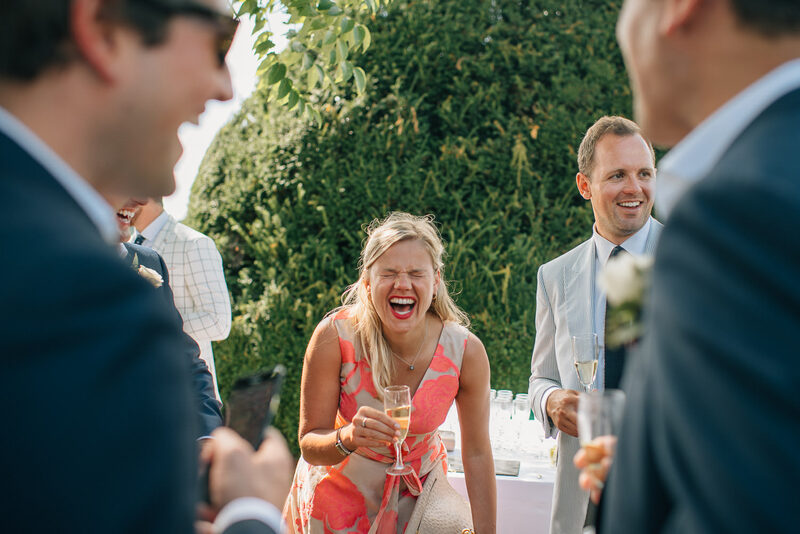 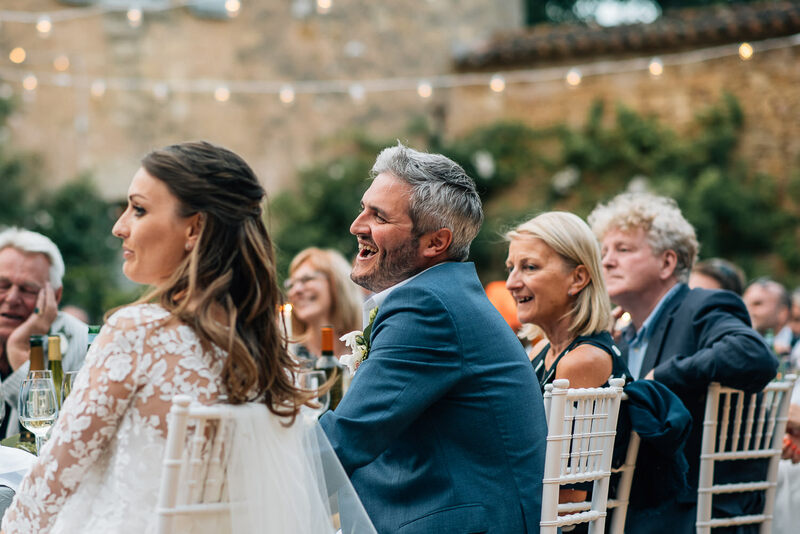 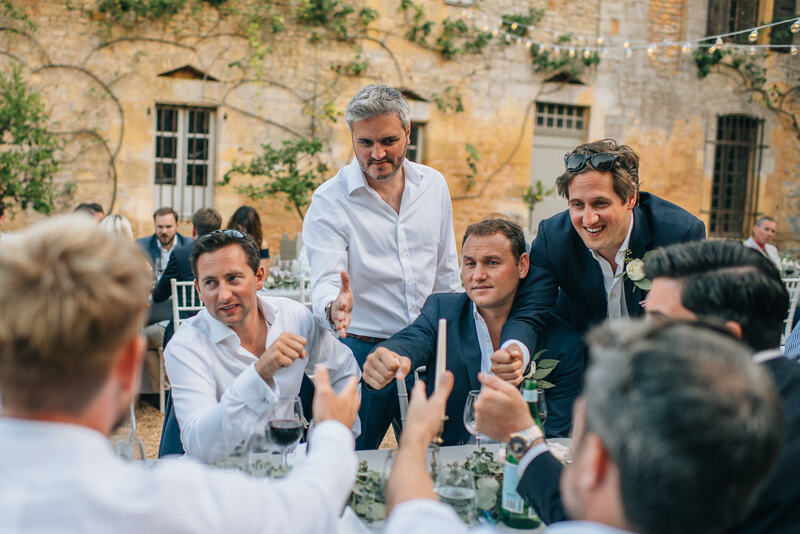 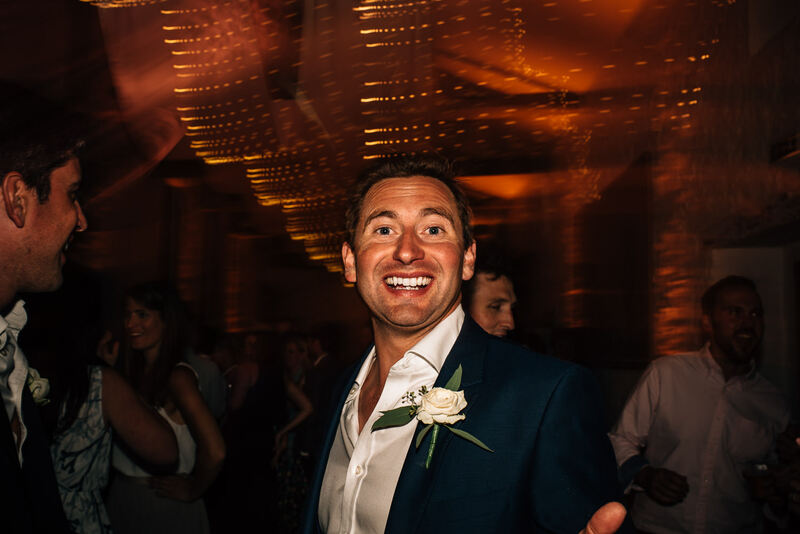 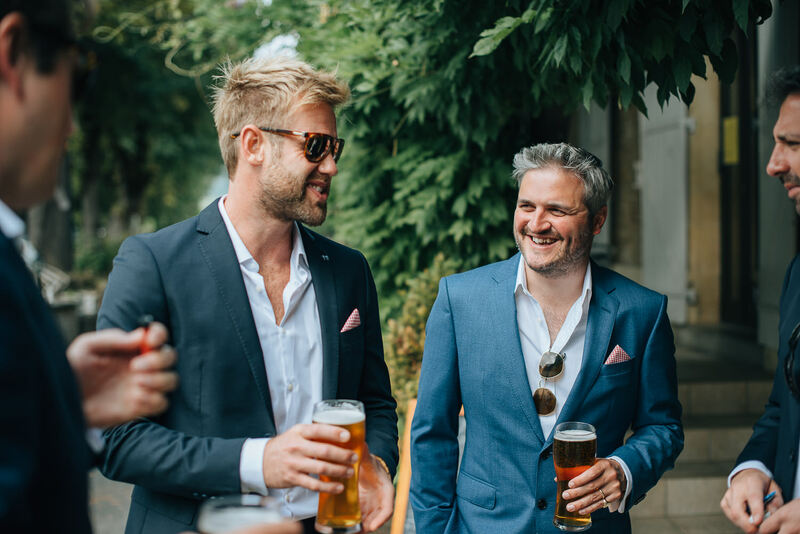 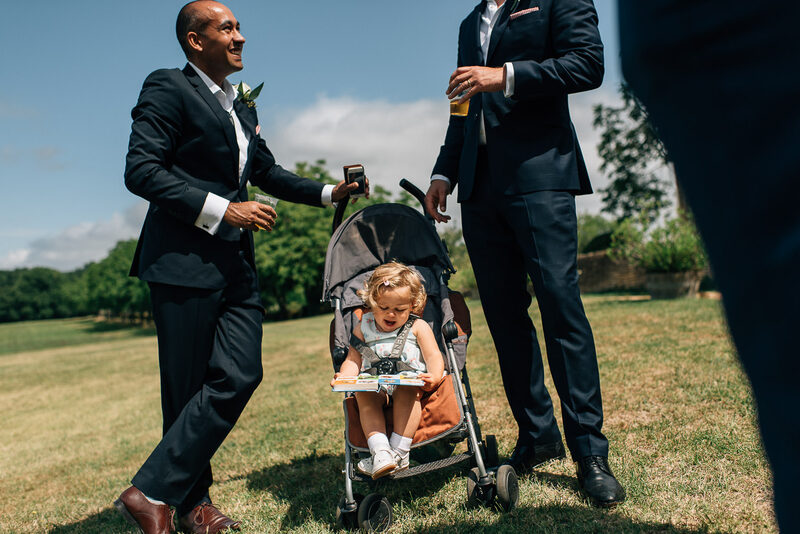 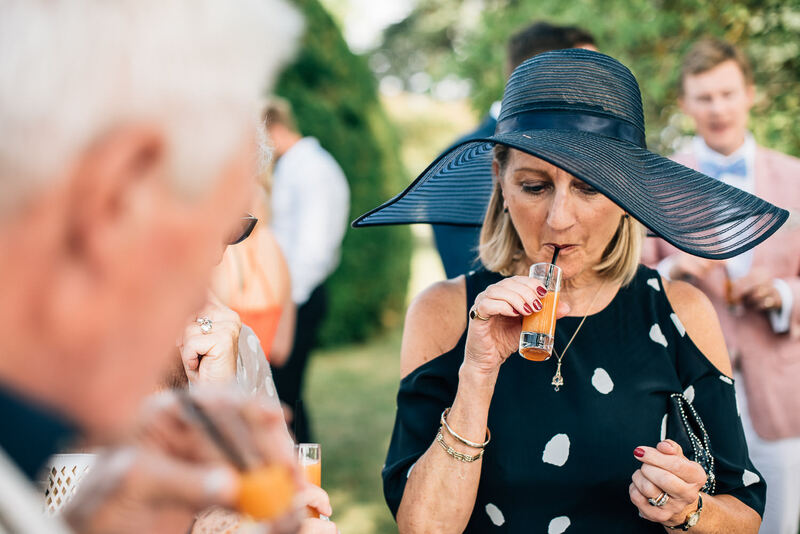 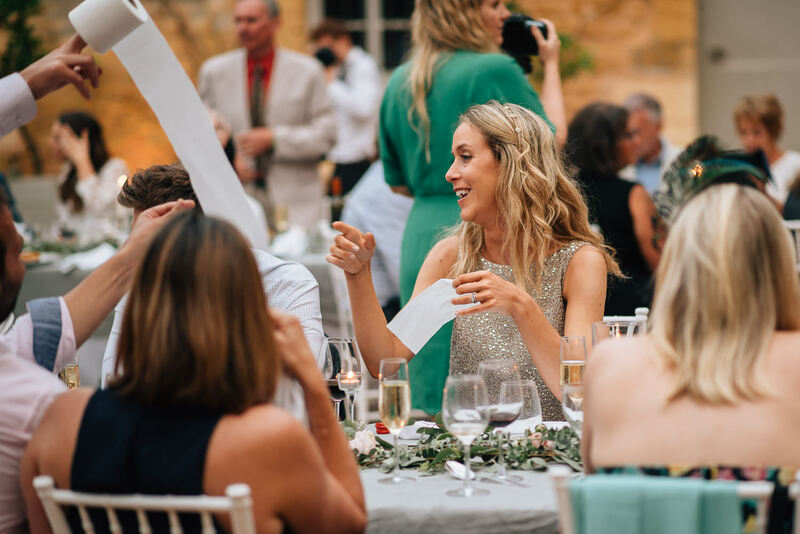 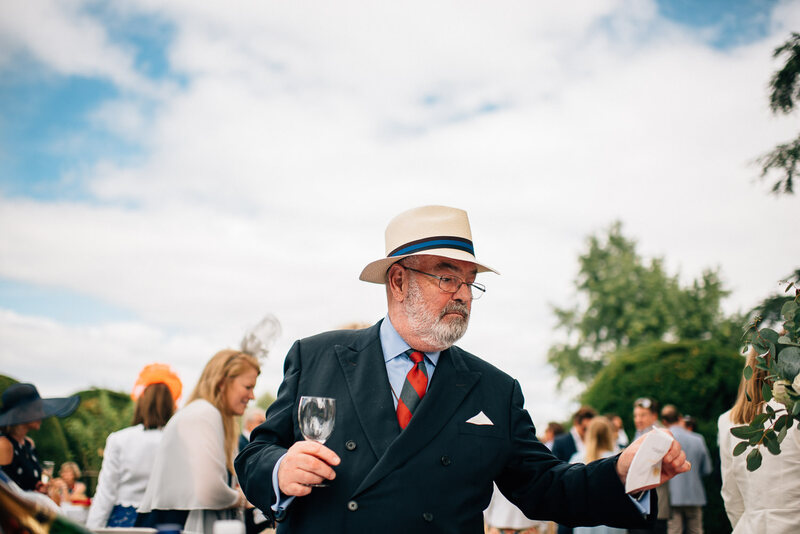 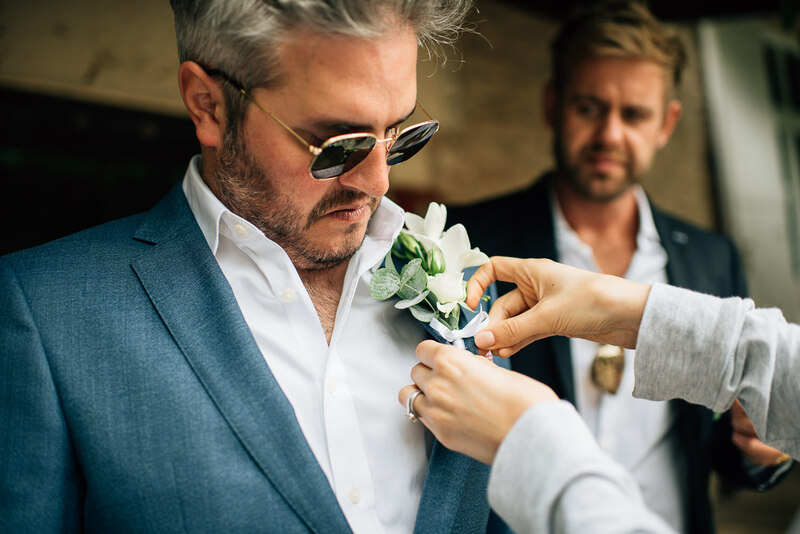 The best man’s speech was supplied via video link which included a hilarious cameo appearances from none other than Simon Callow and BBC political correspondent Laura Kuenssberg…needless to say Ben’s face was priceless!